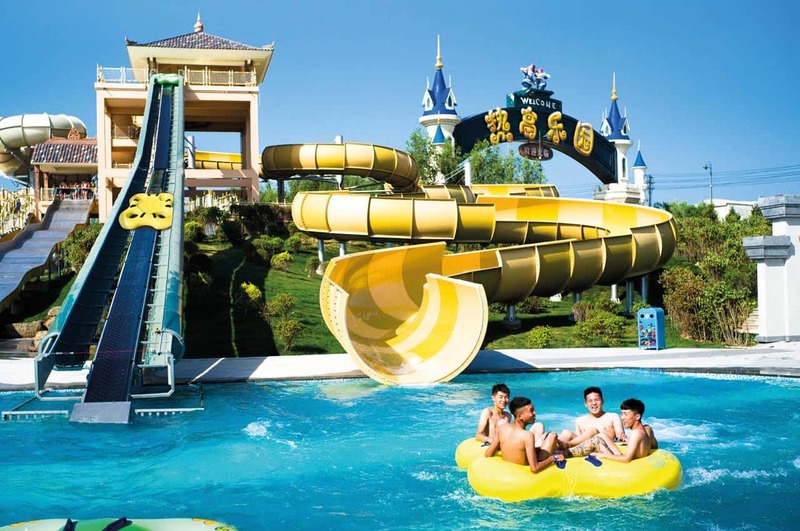 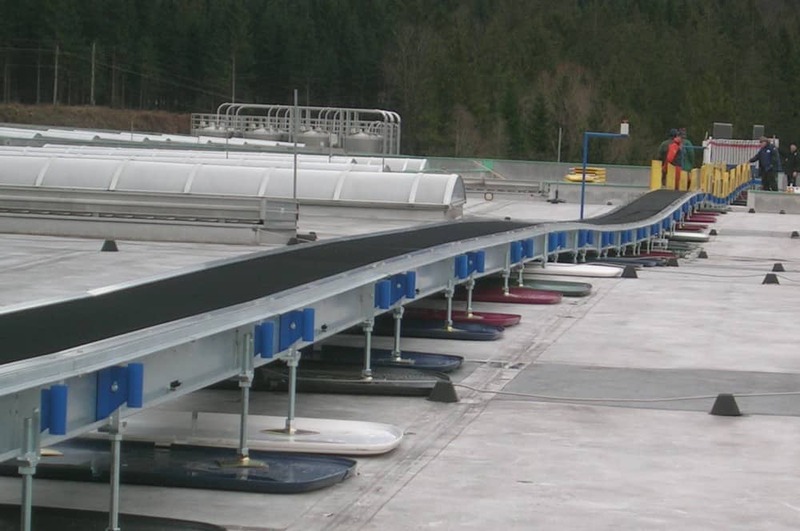 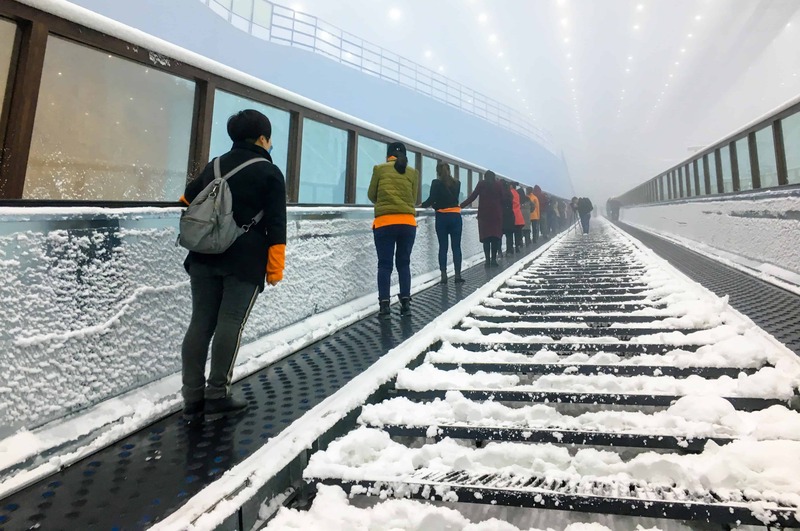 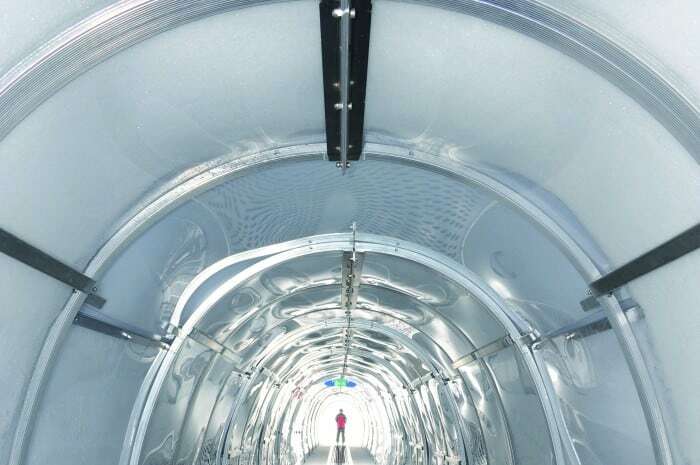 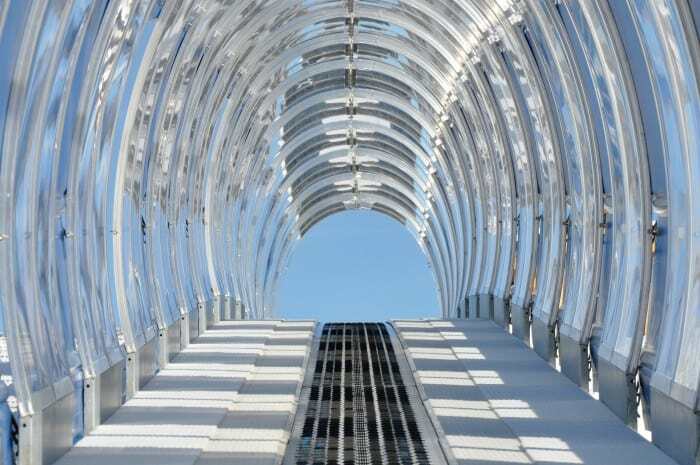 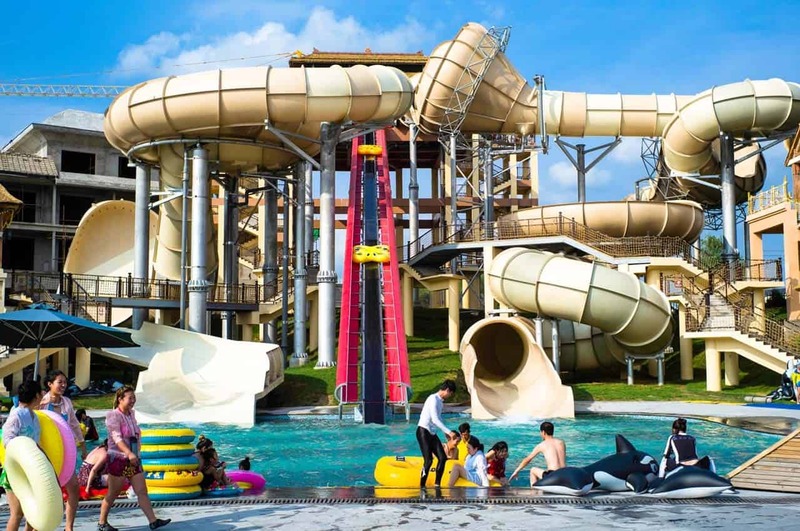 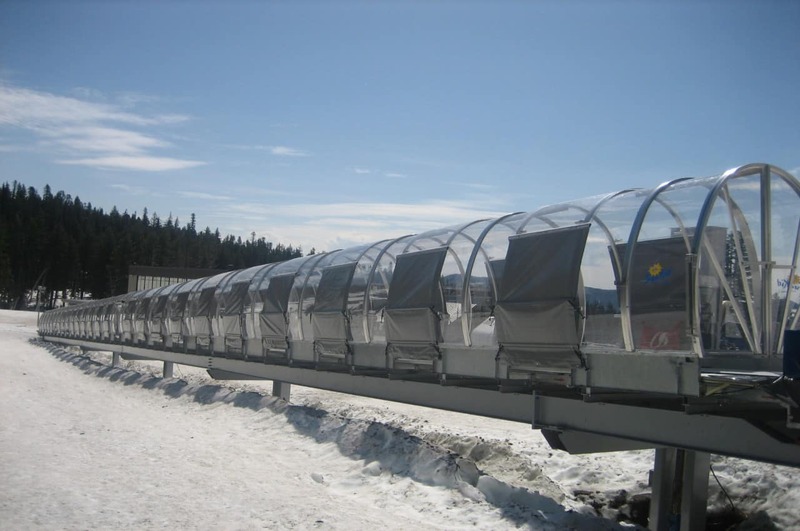 We have become the global market leader in the area of the outdoor conveyor belt because we can combine the competence for all processes of the production chain under a single roof. Literally so: Both planning and construction, as well as production and final production, are located at the same site. 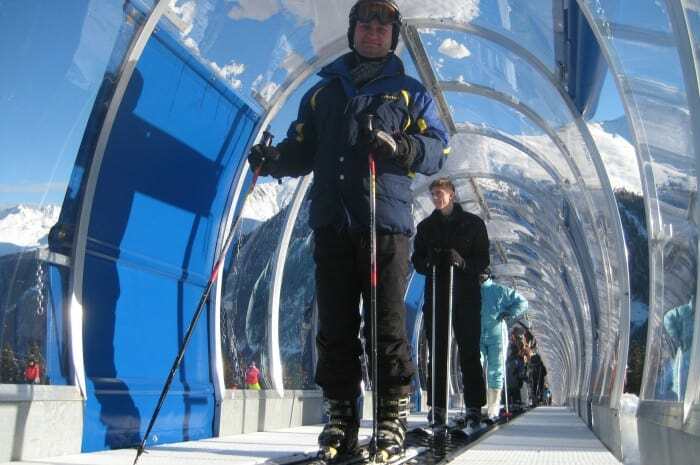 For you as customer, that means that you will have ONE contact from the first meeting to the key handover. 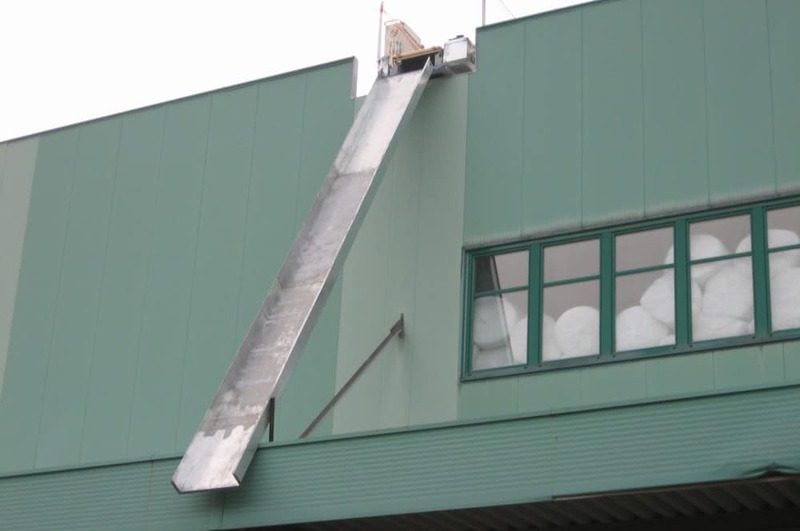 This philosophy continues in the after-sales service. 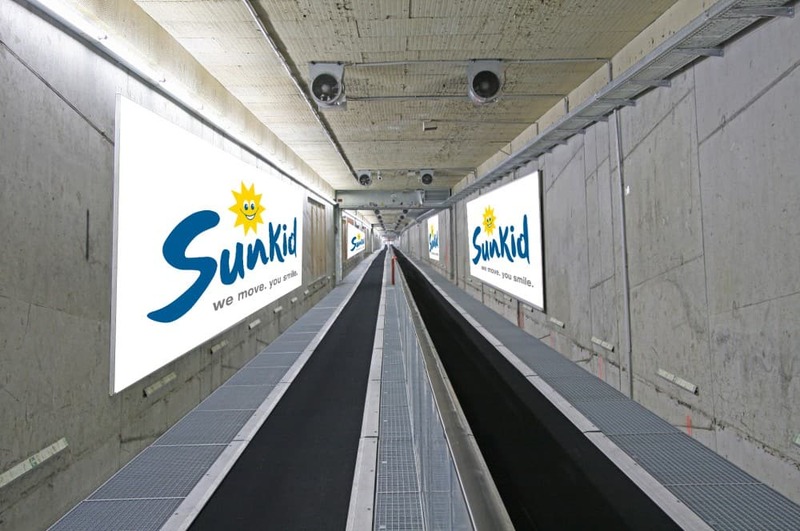 Info: The Sunkid conveyor belt is not just an ordenary conveyor belt. 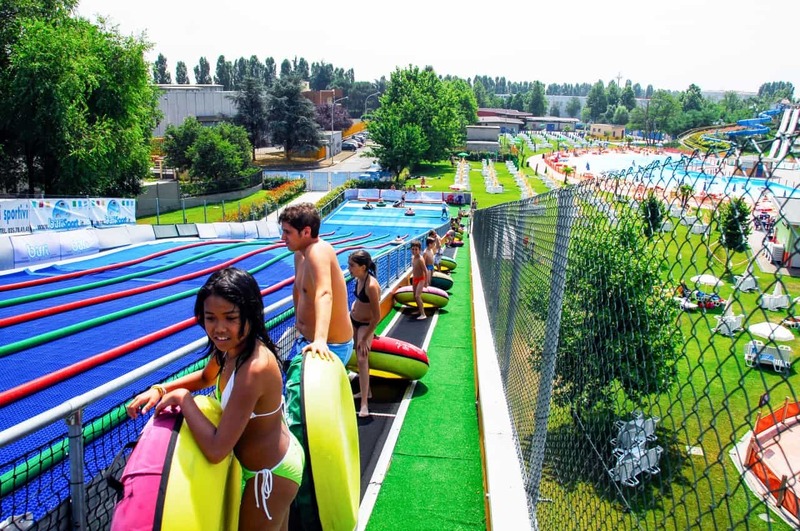 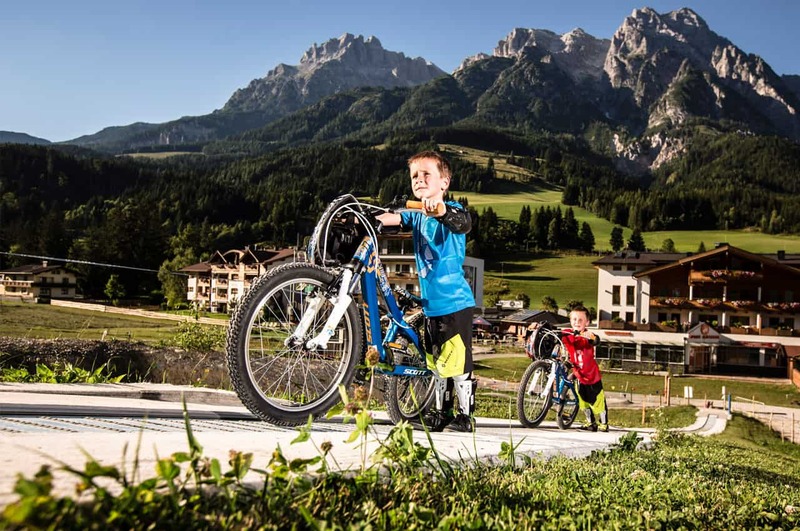 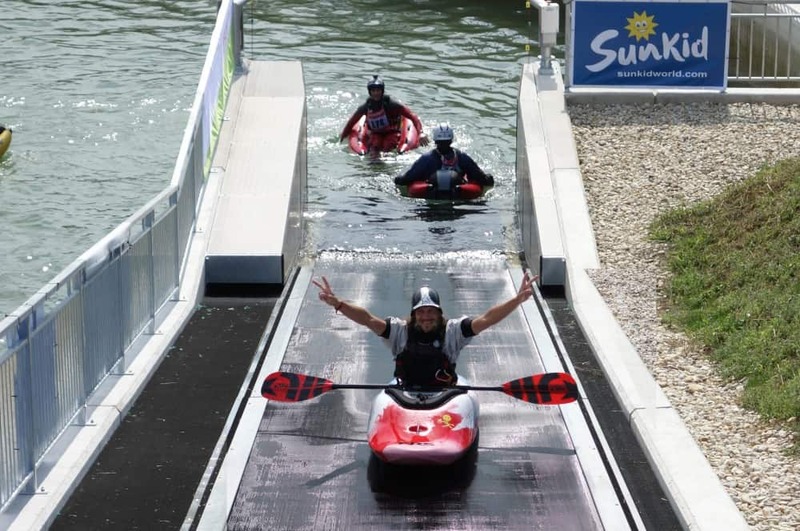 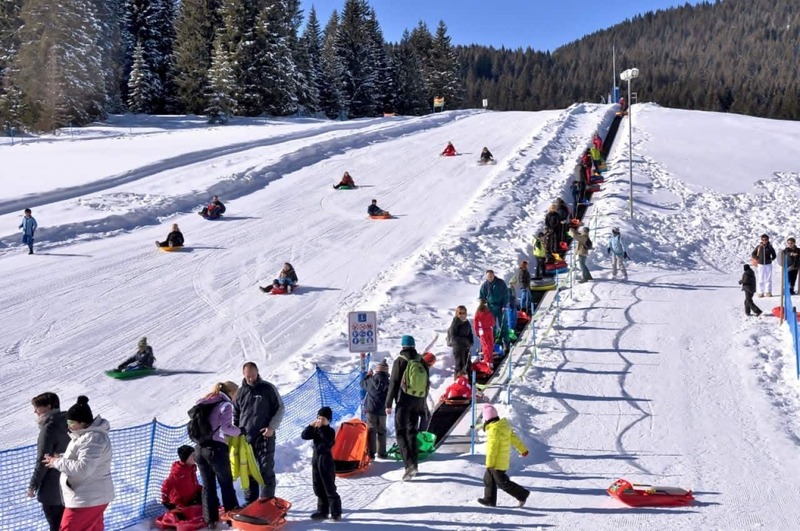 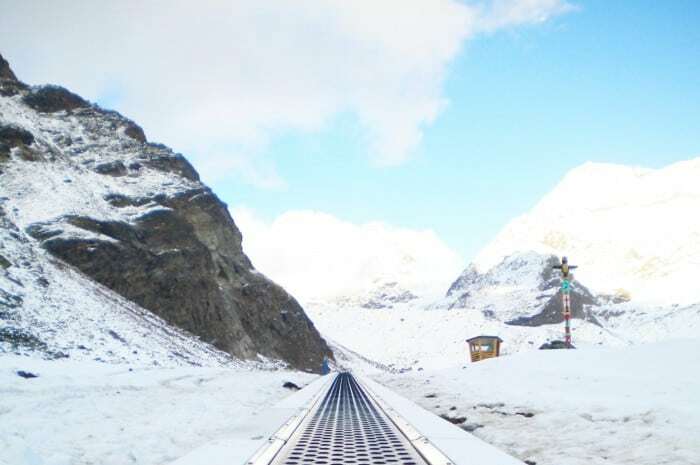 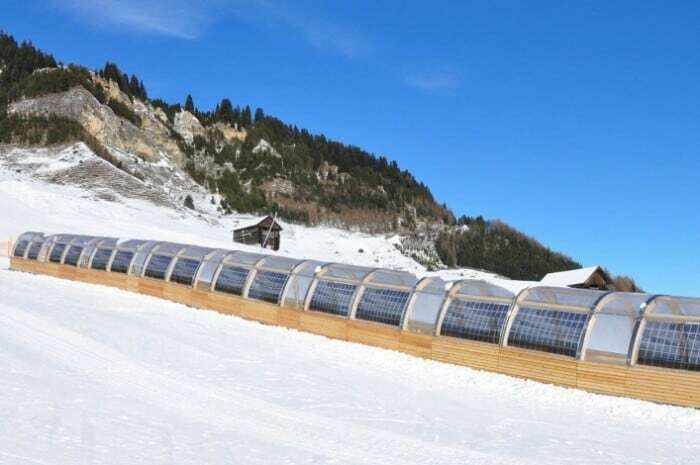 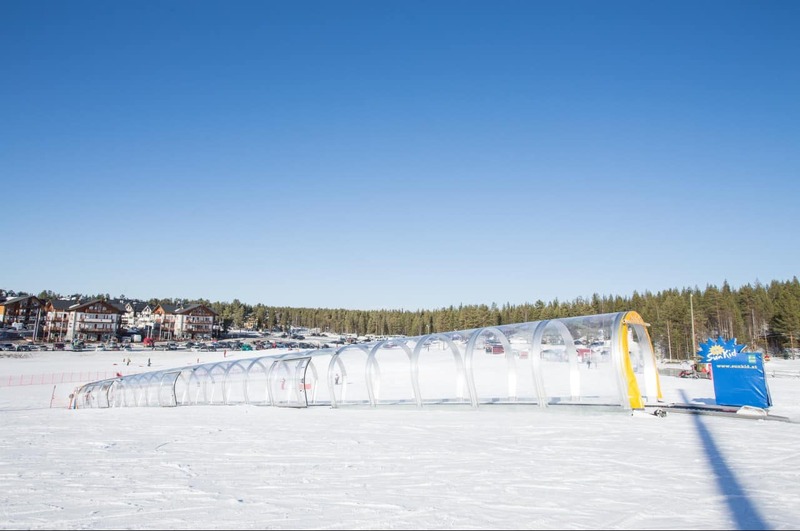 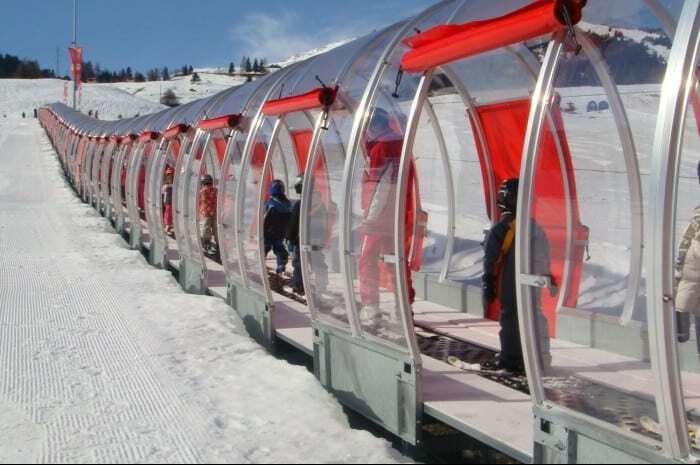 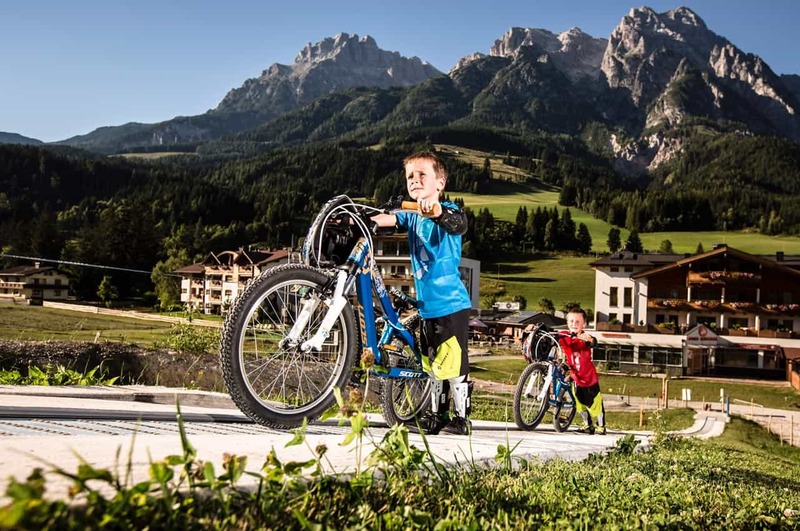 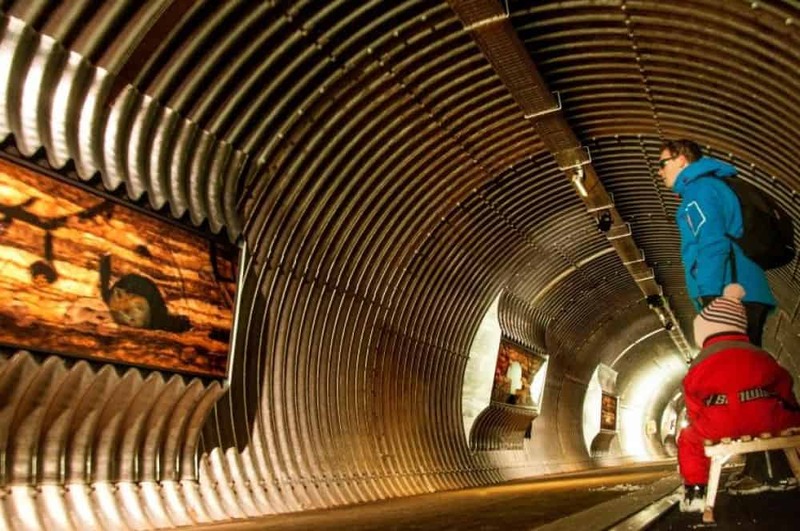 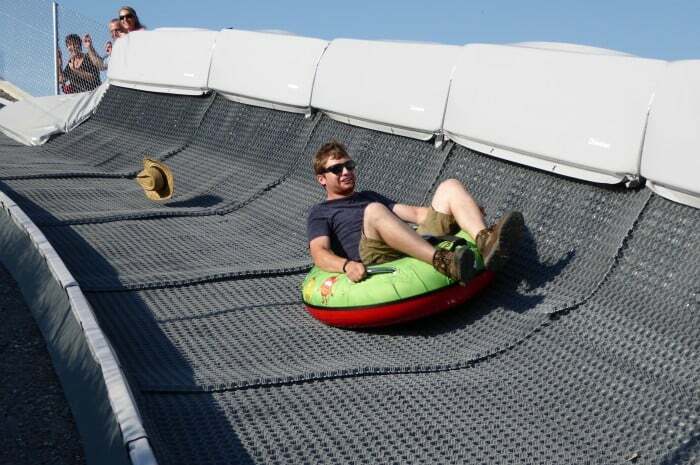 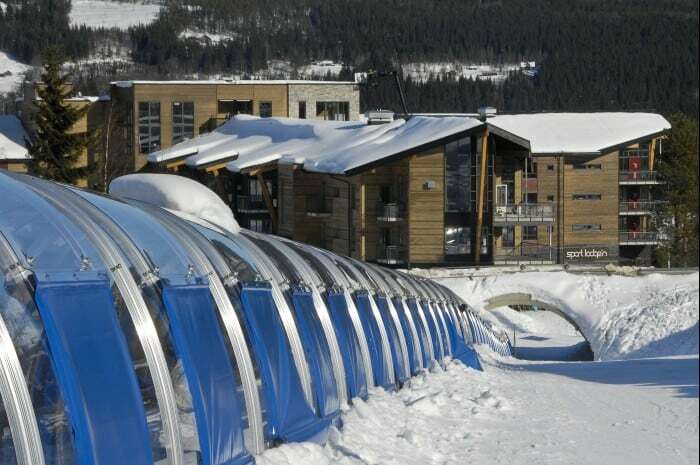 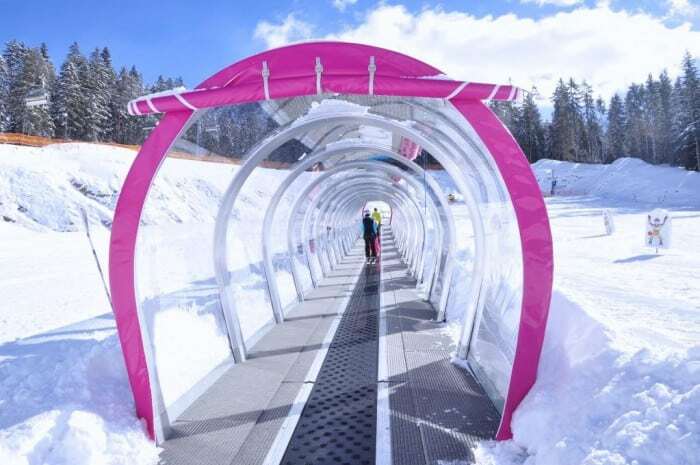 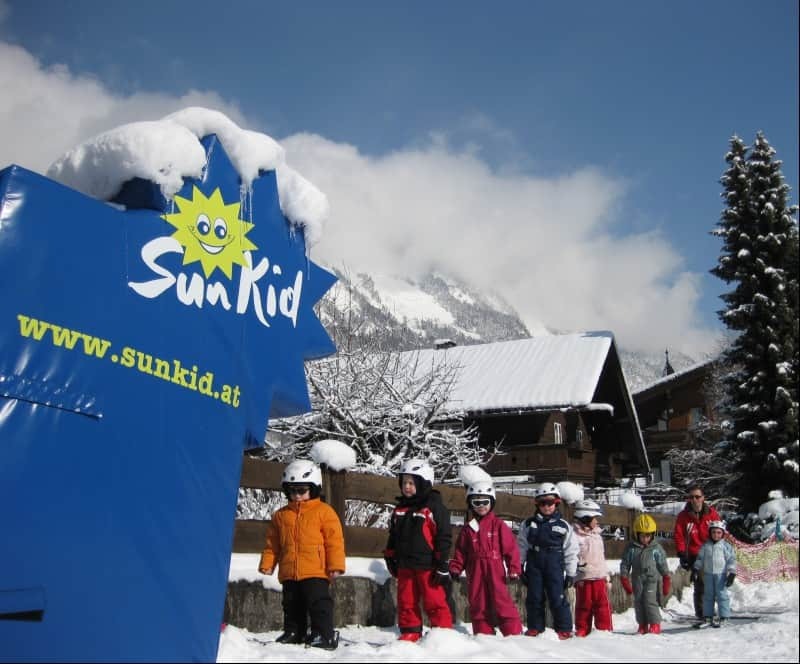 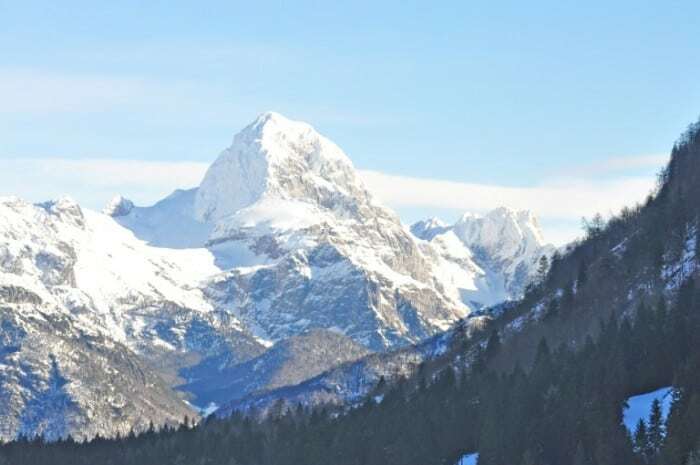 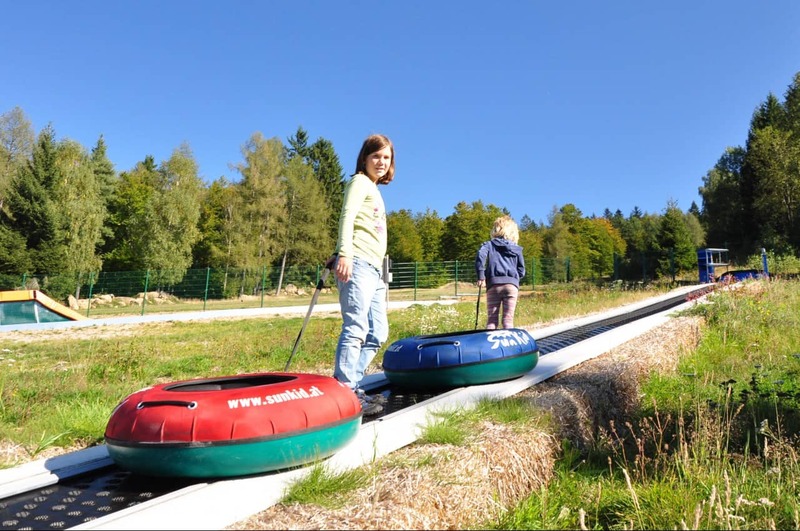 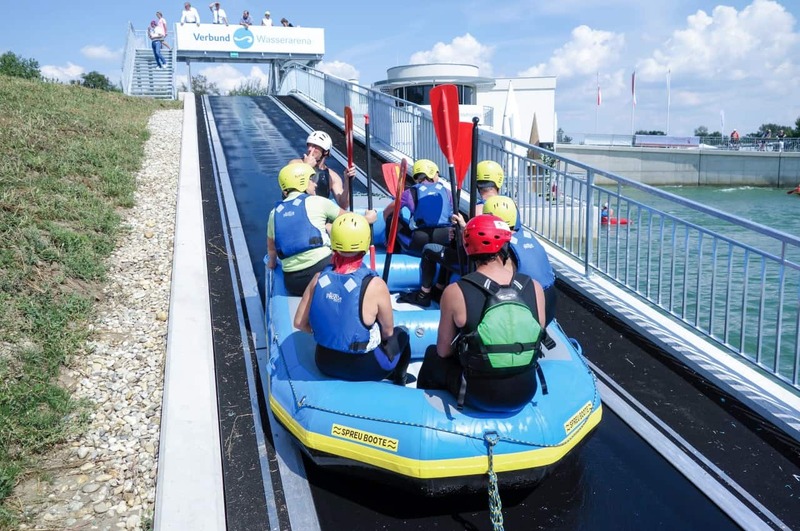 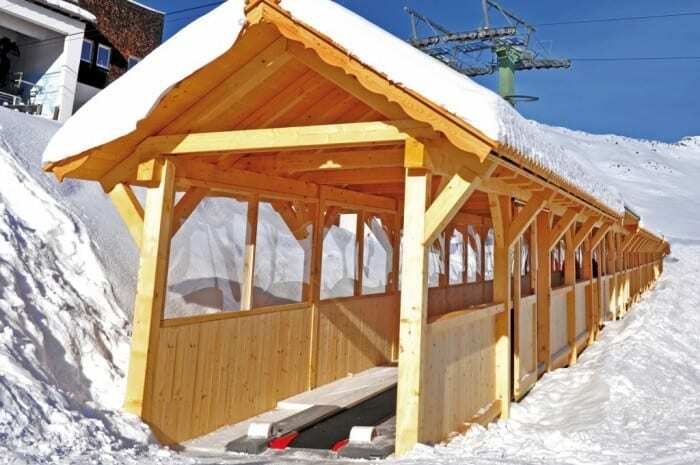 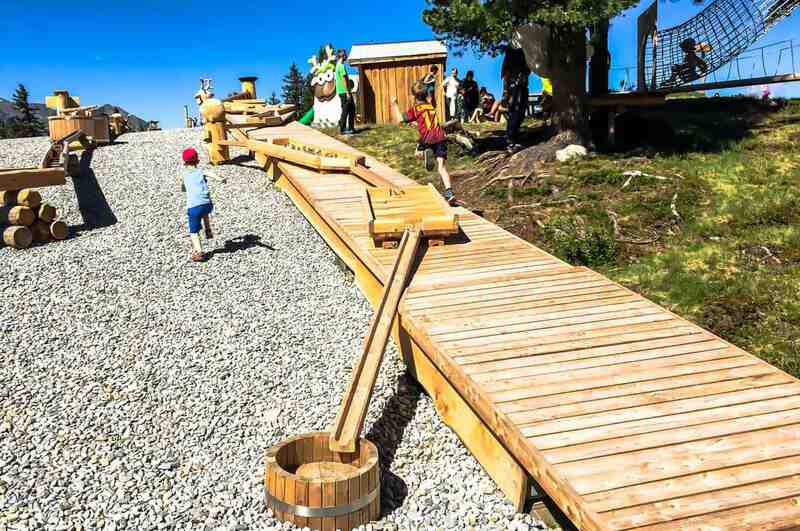 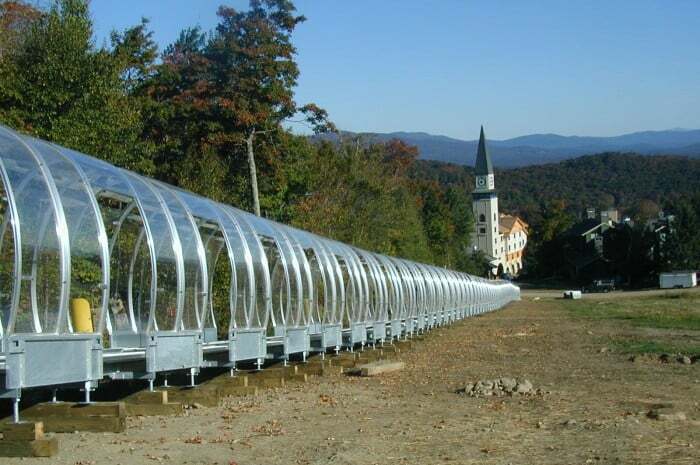 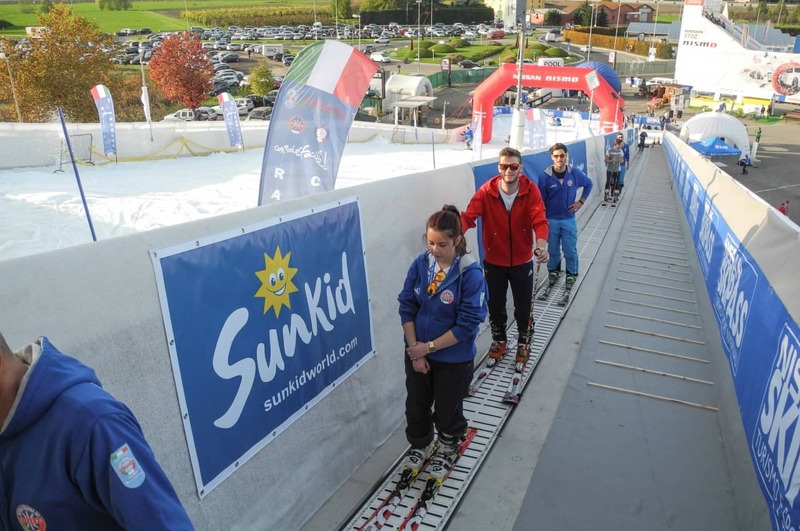 Developed more than two decades ago as a climbing aid for skiing schools, the Sunkid outdoor conveyor was continually developed further and is now a transport solution for persons, goods, boats and tubes on 365 days of the year that is almost impossible to surpass in terms of diversity. 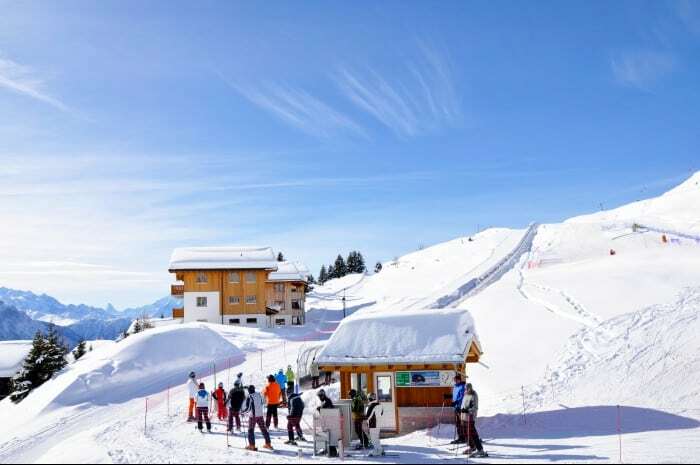 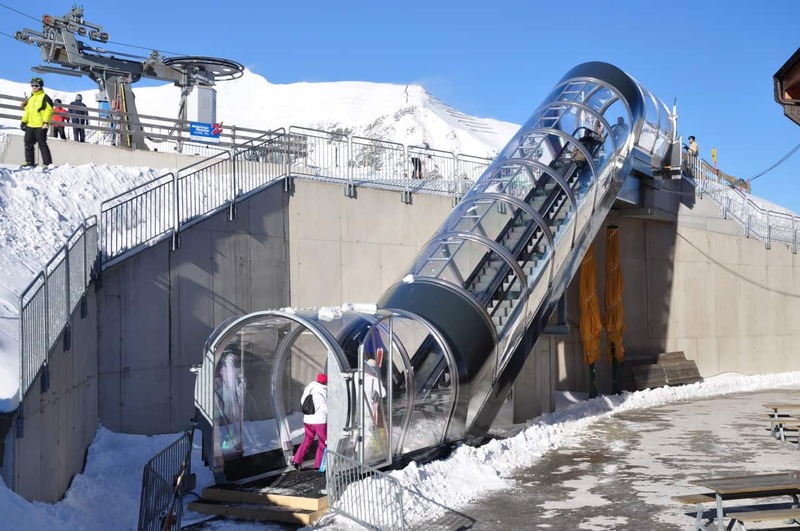 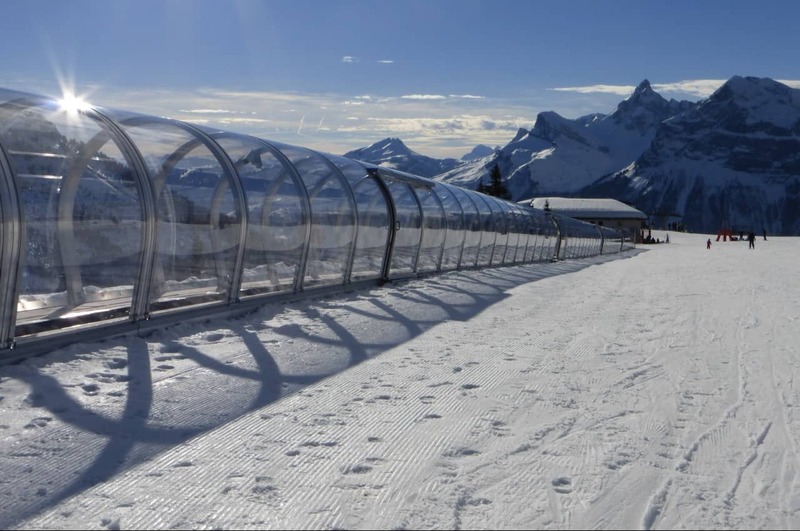 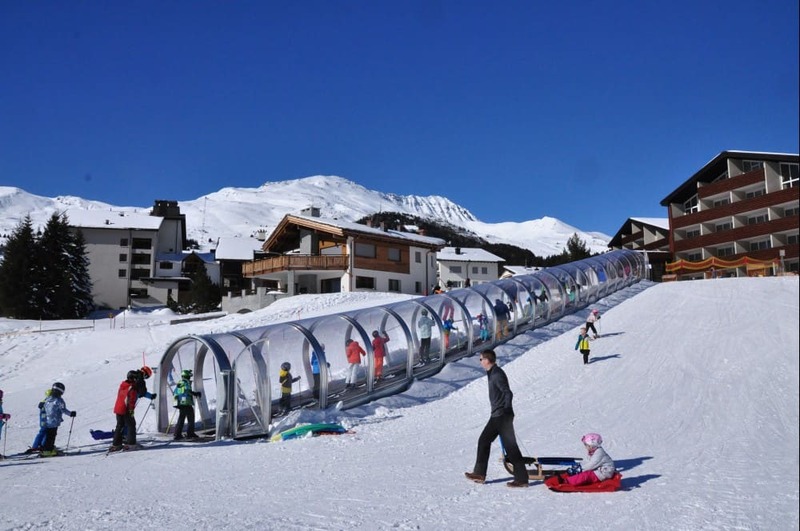 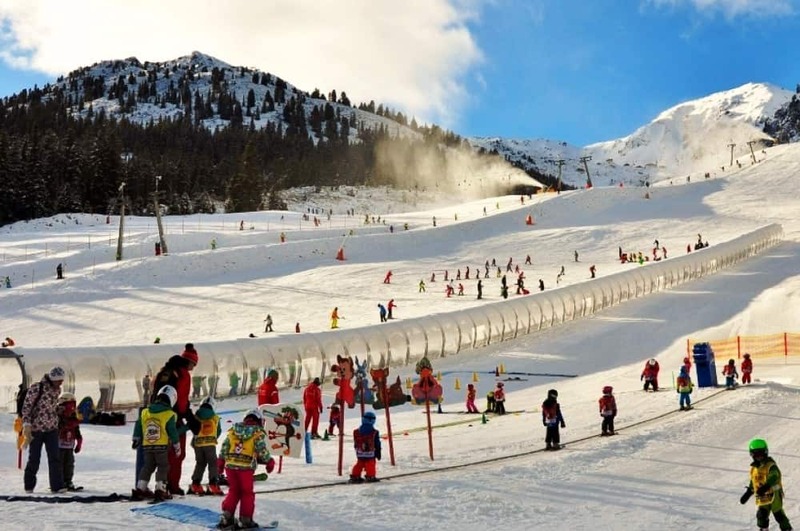 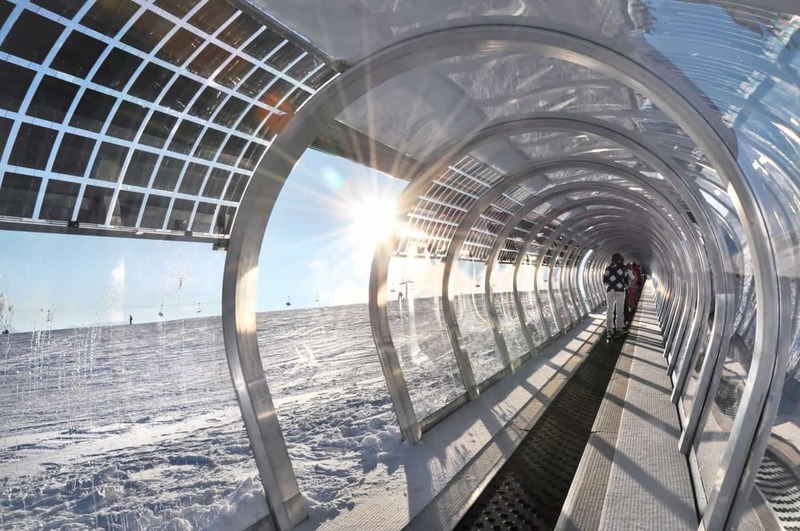 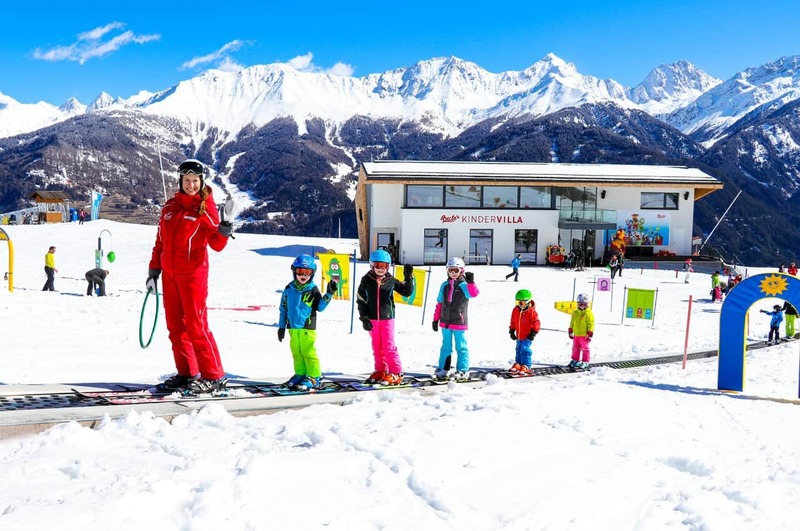 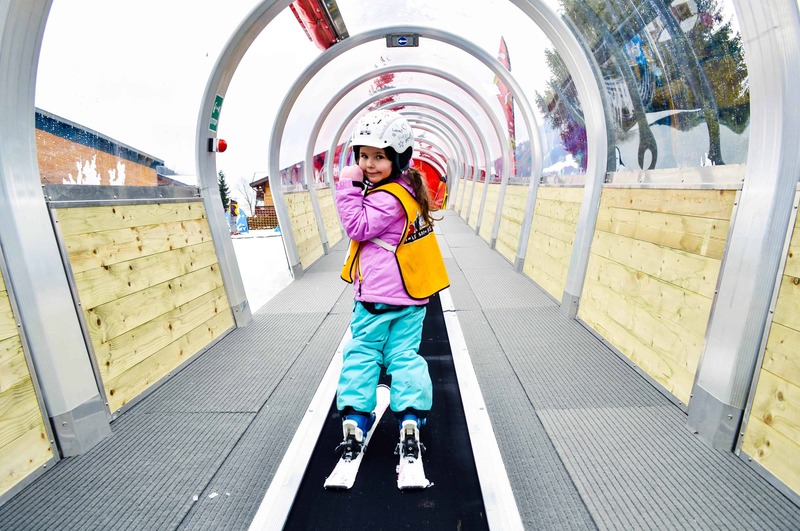 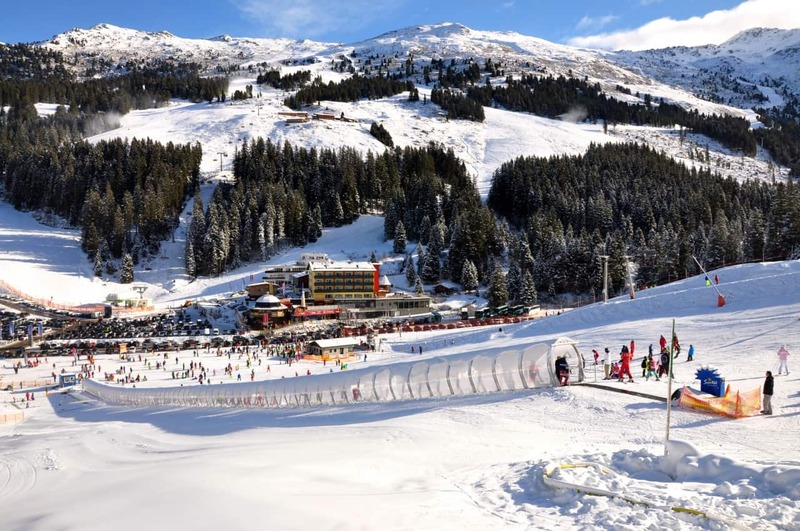 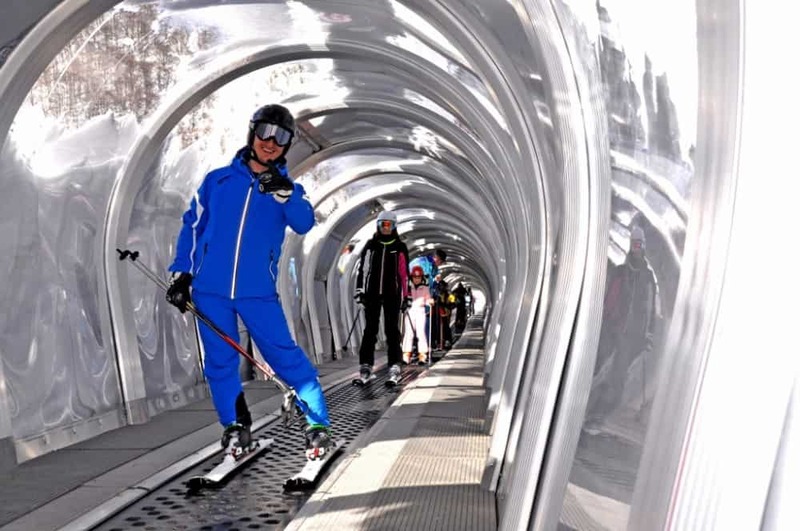 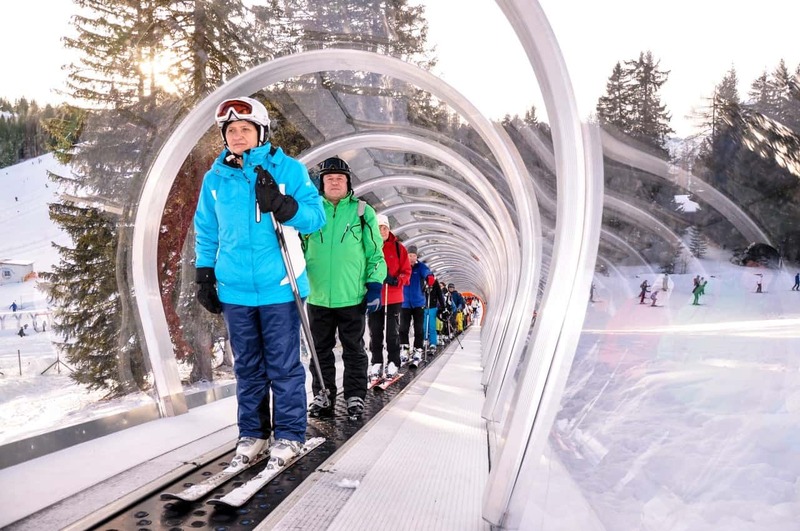 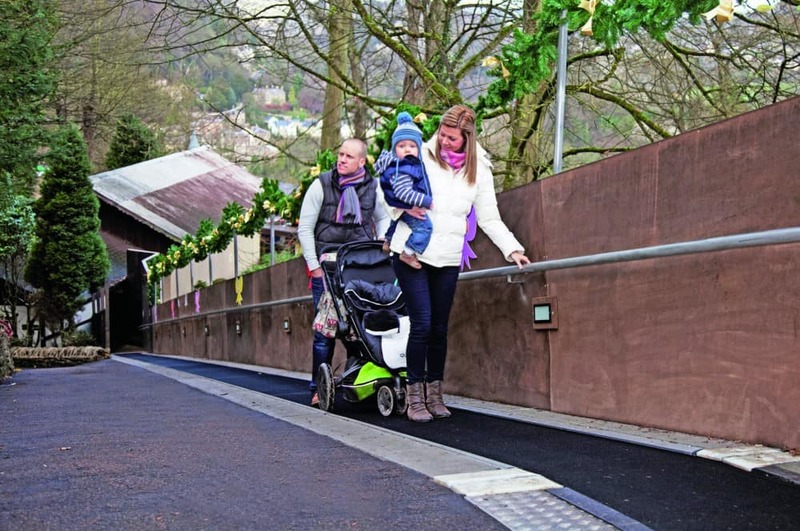 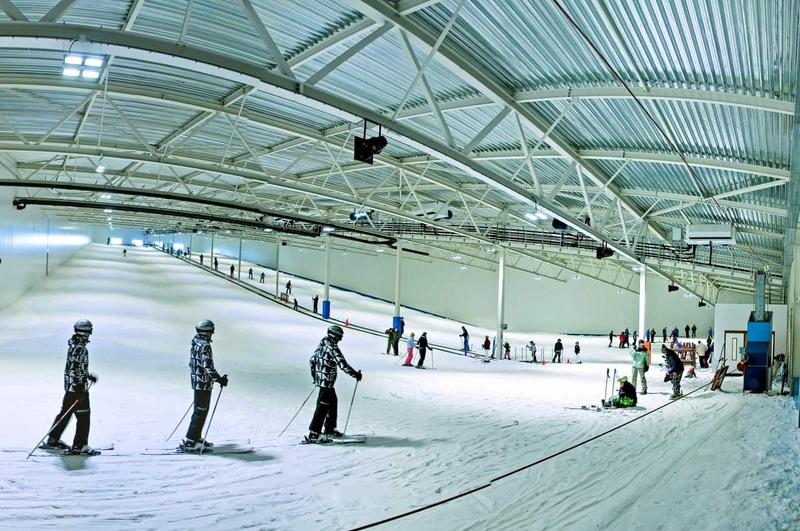 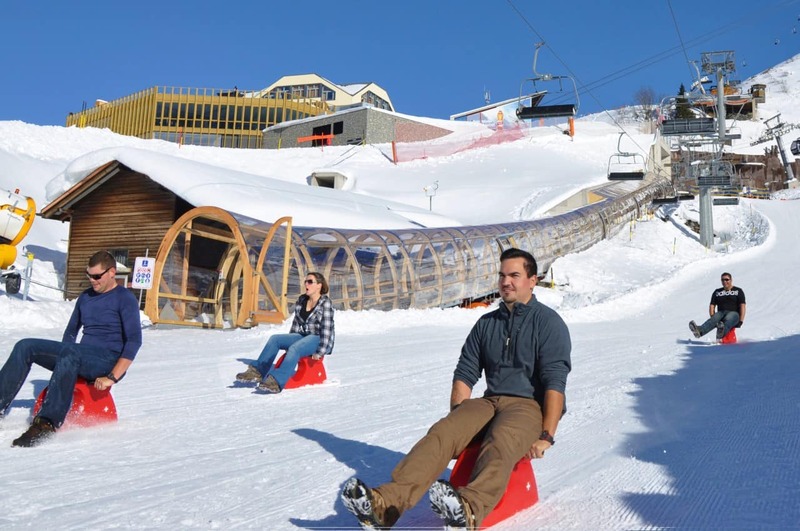 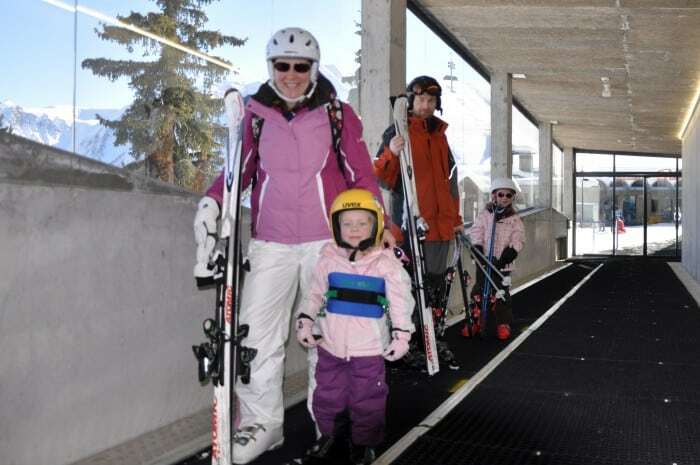 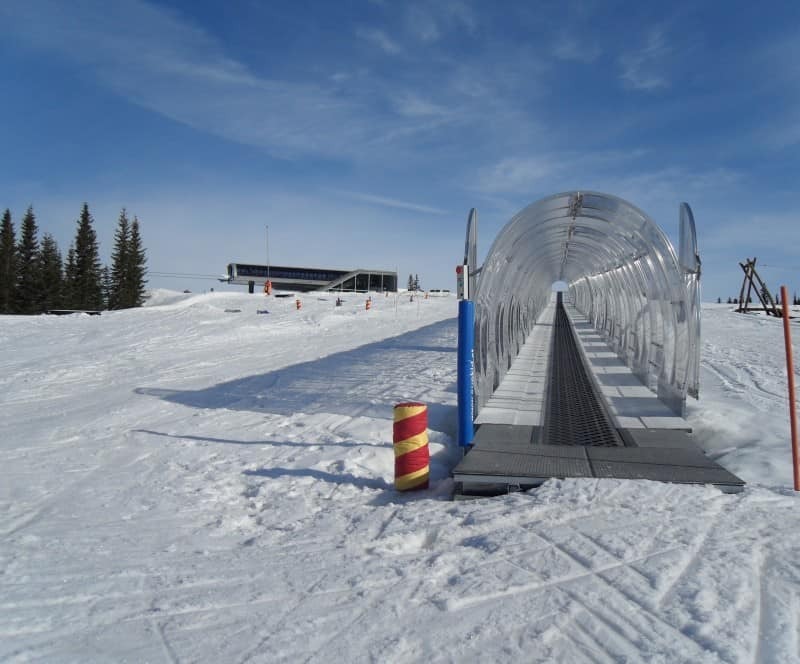 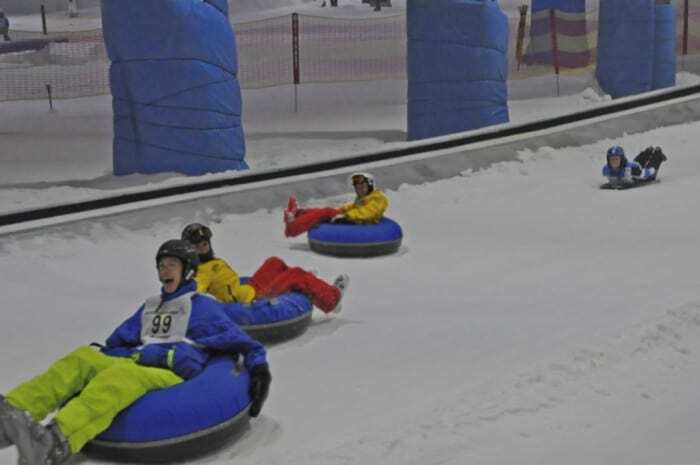 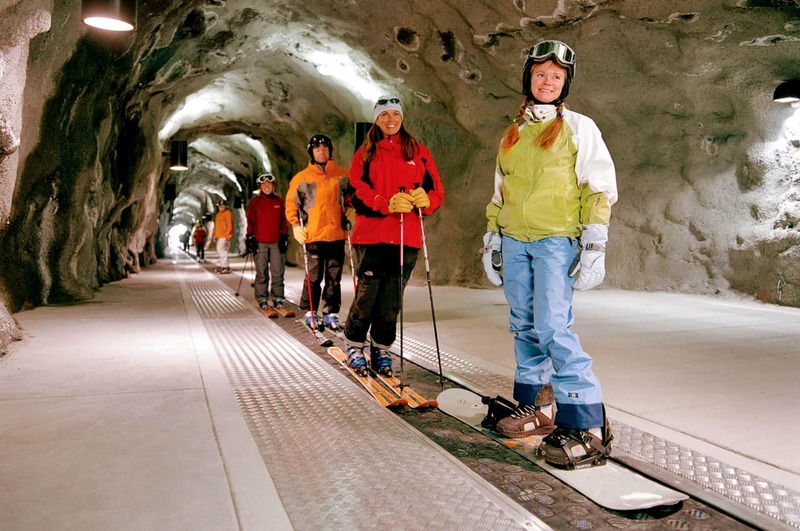 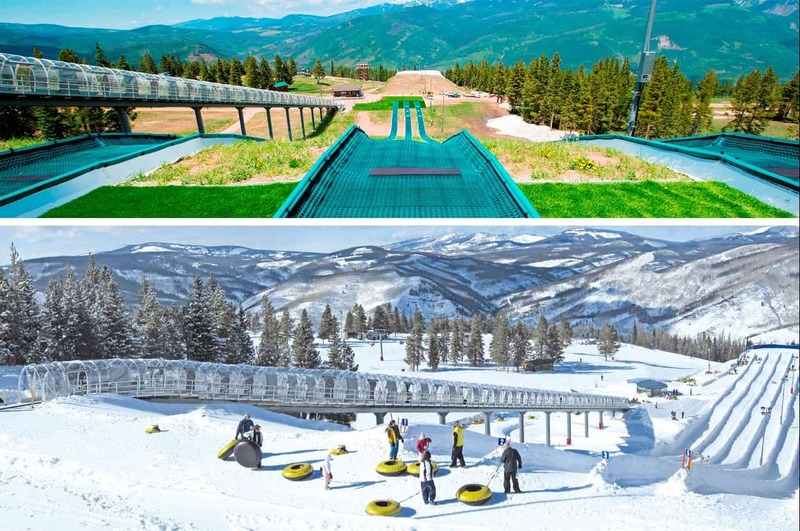 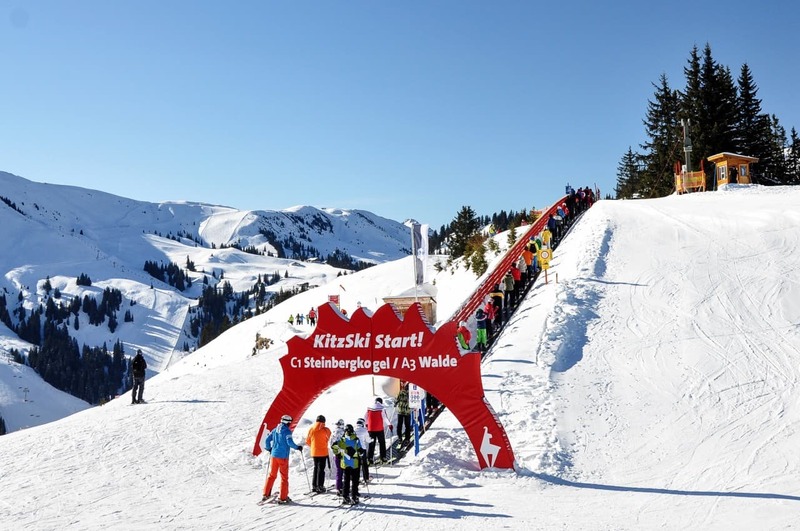 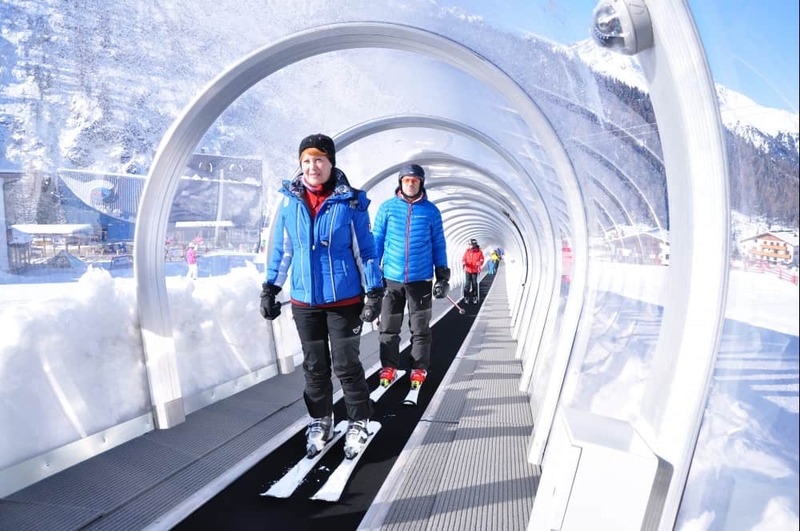 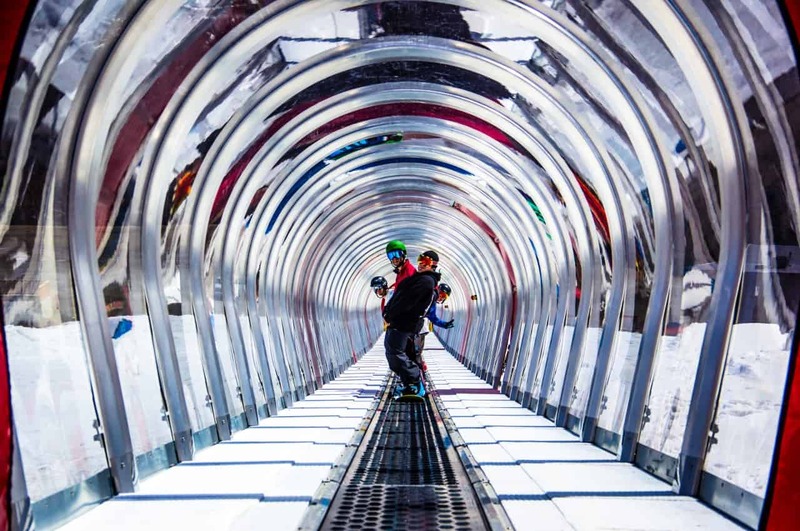 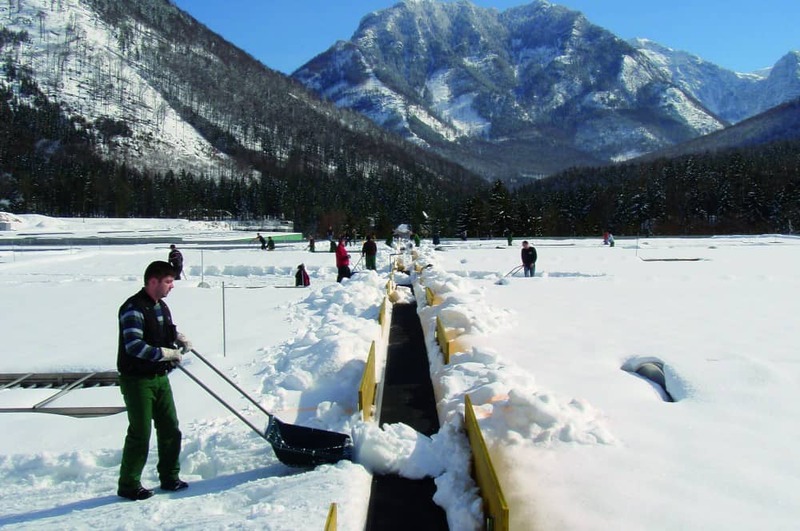 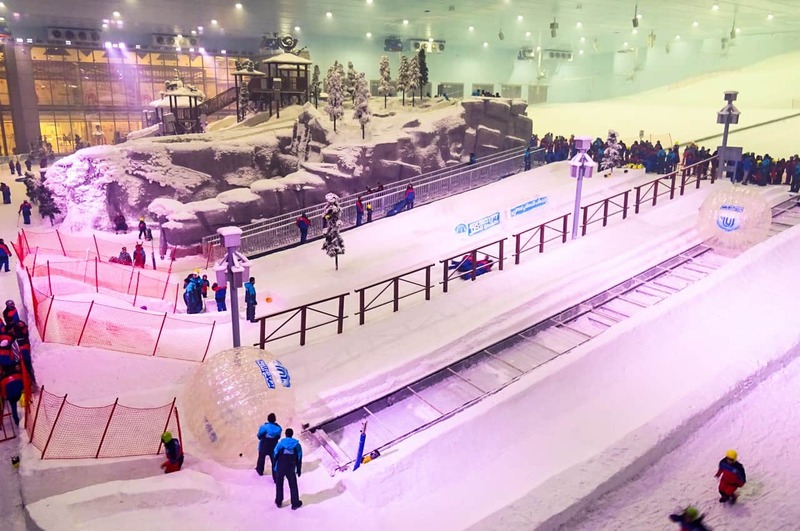 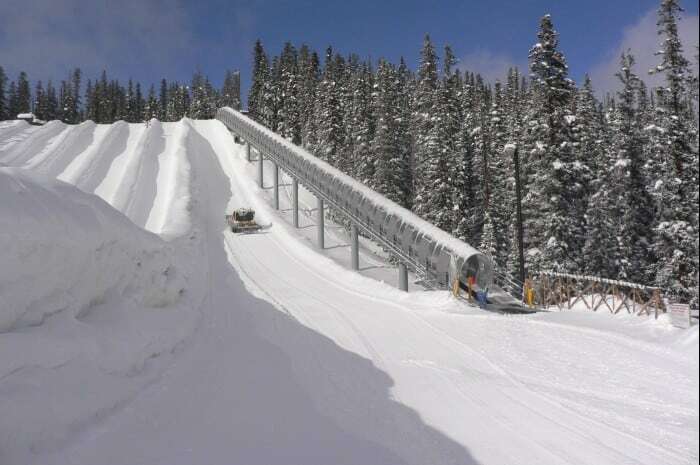 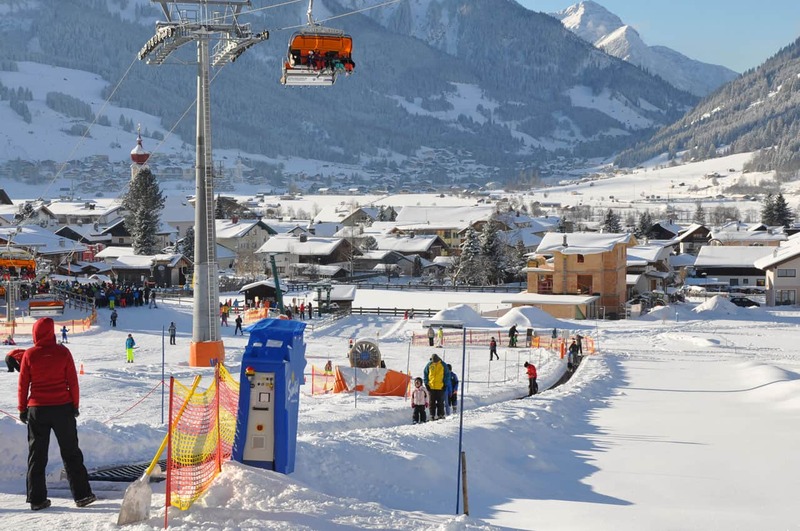 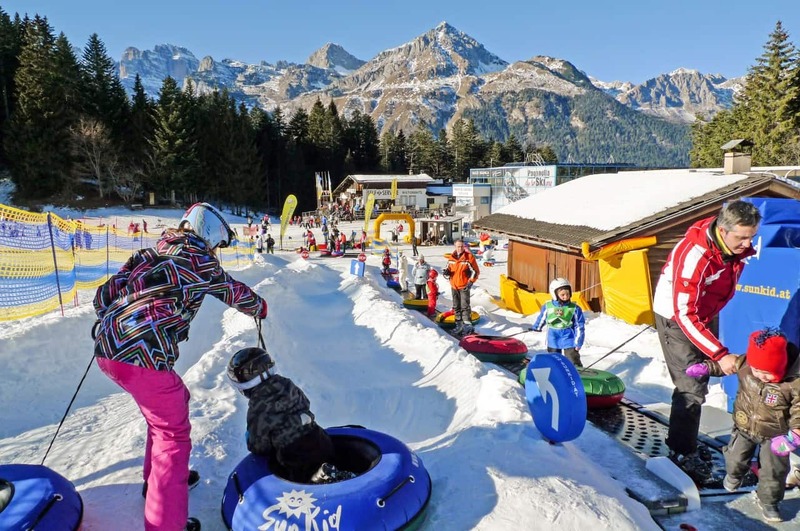 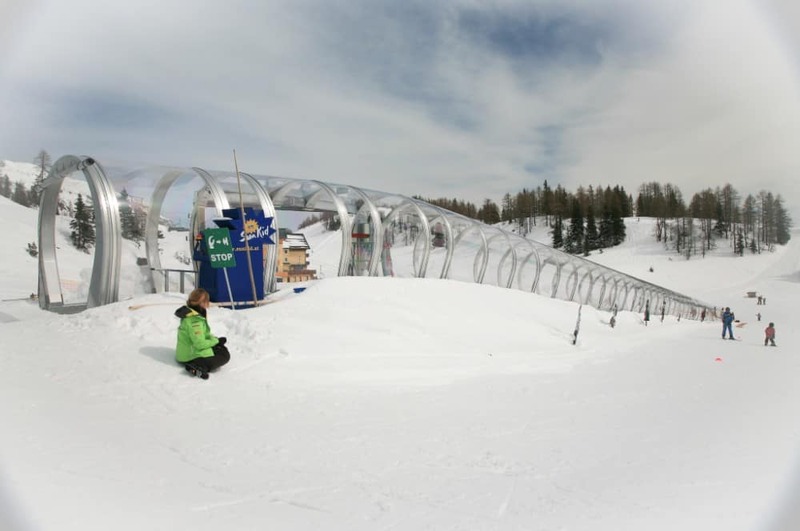 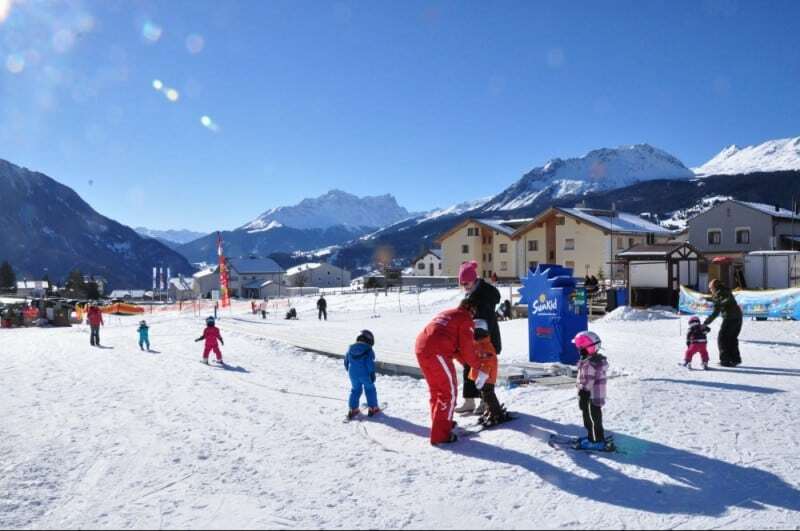 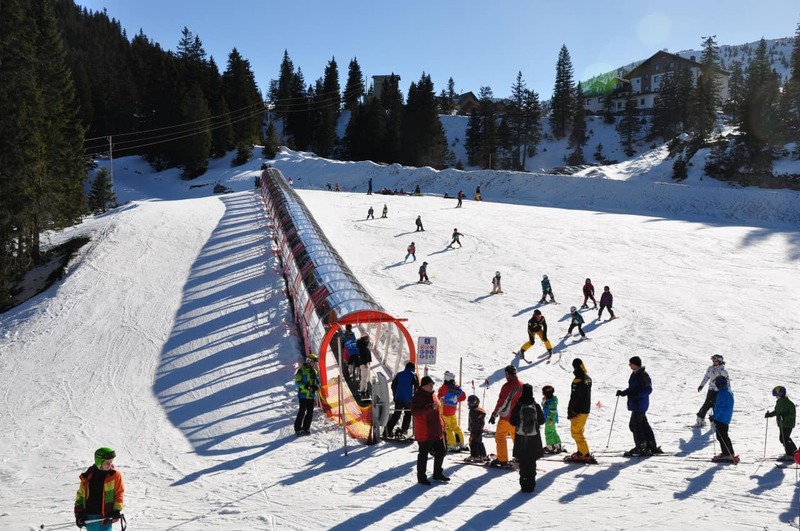 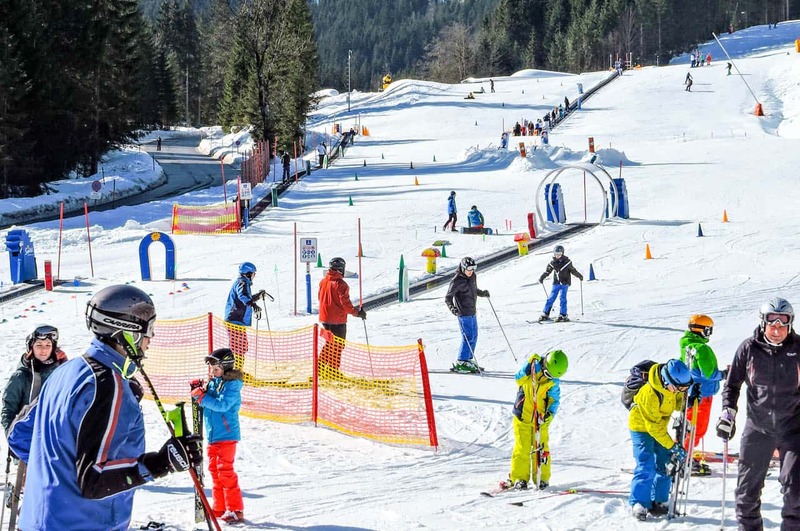 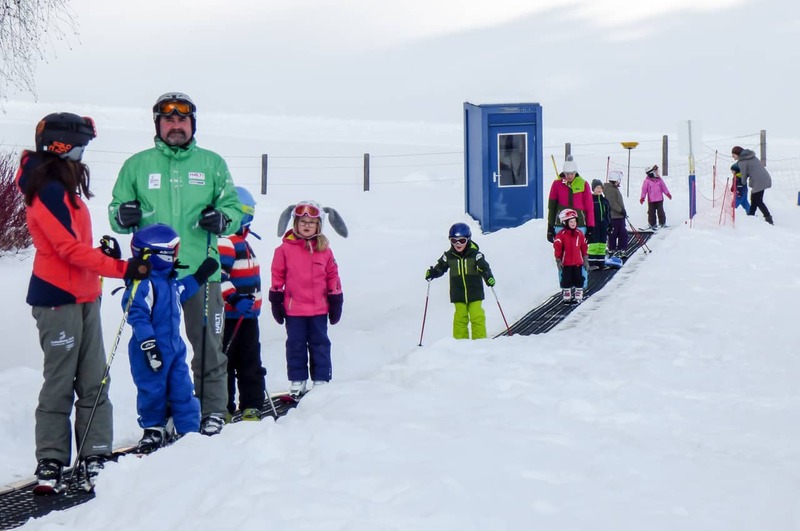 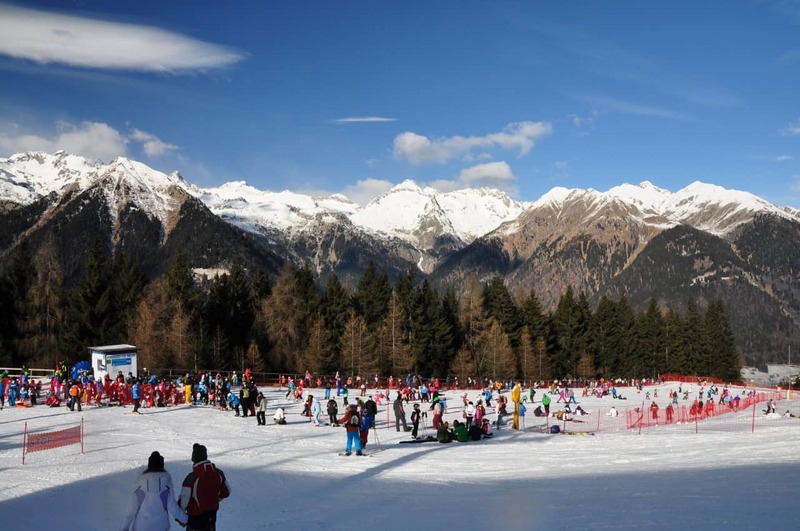 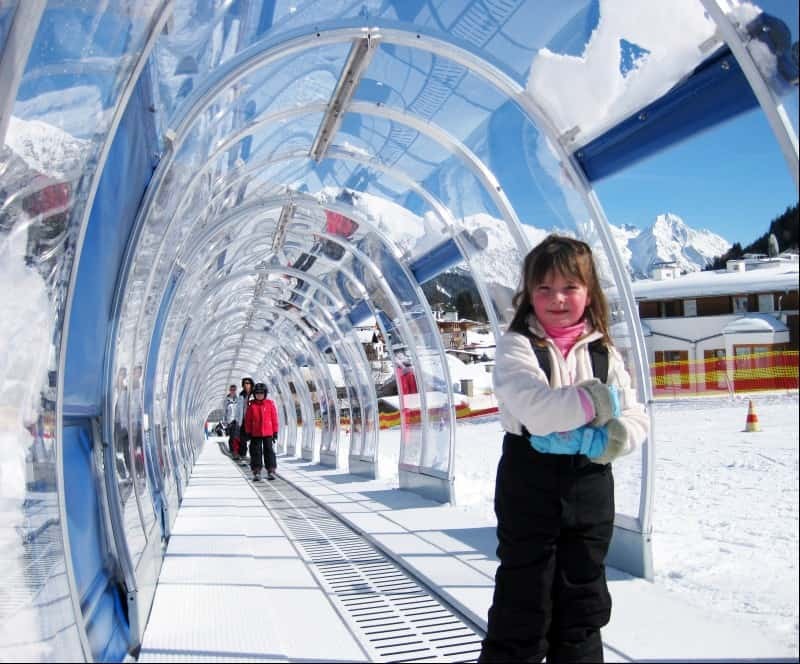 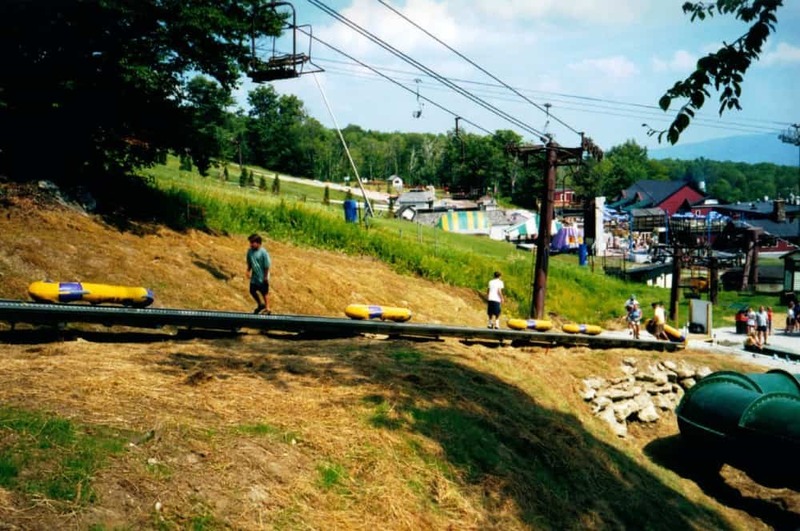 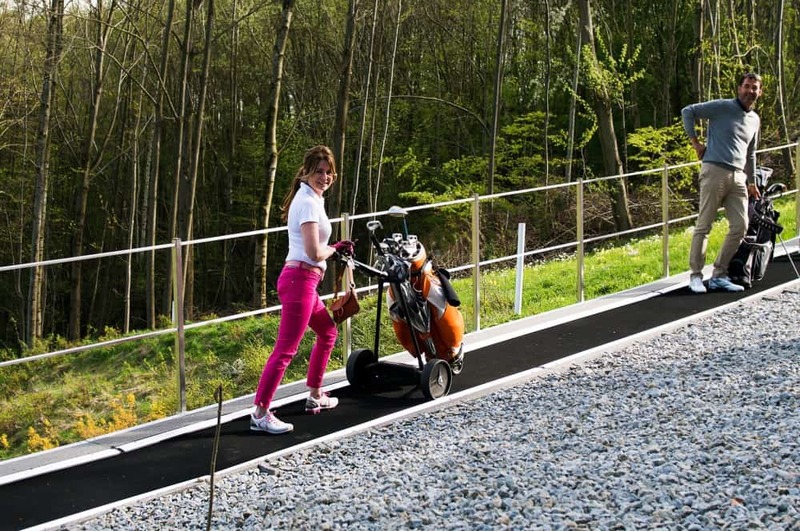 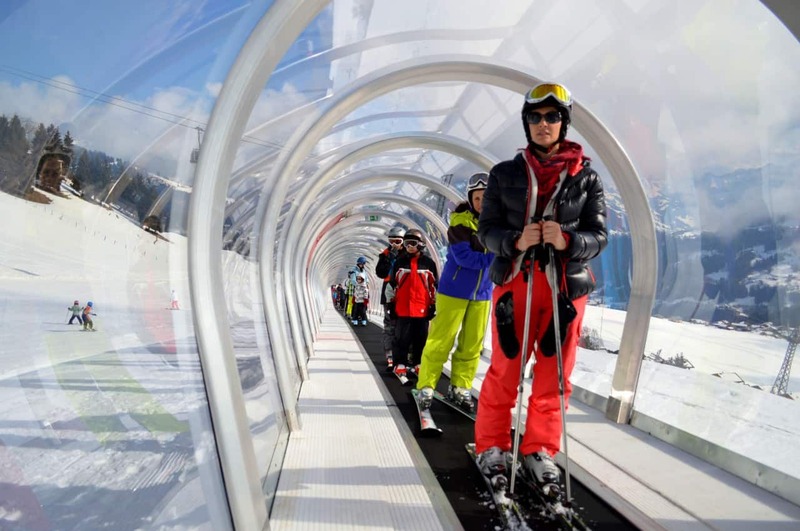 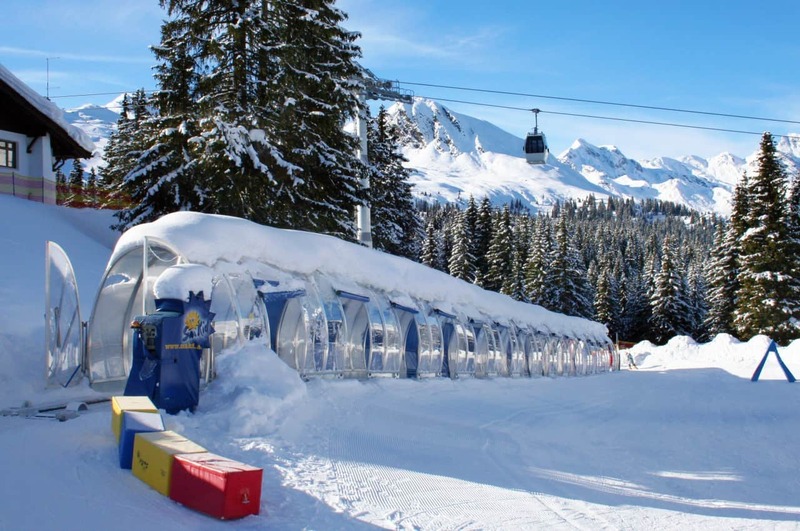 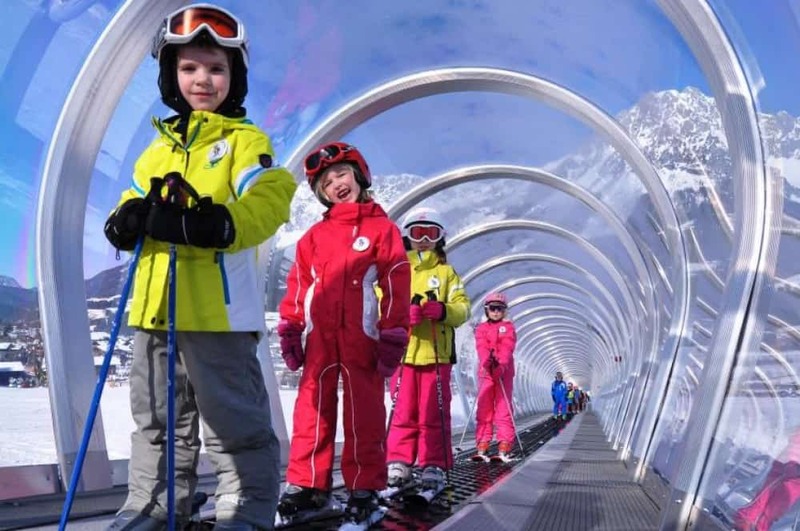 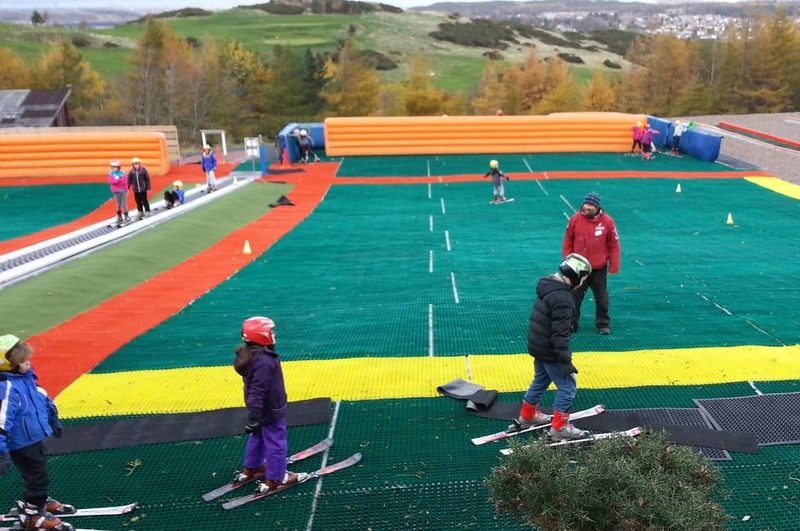 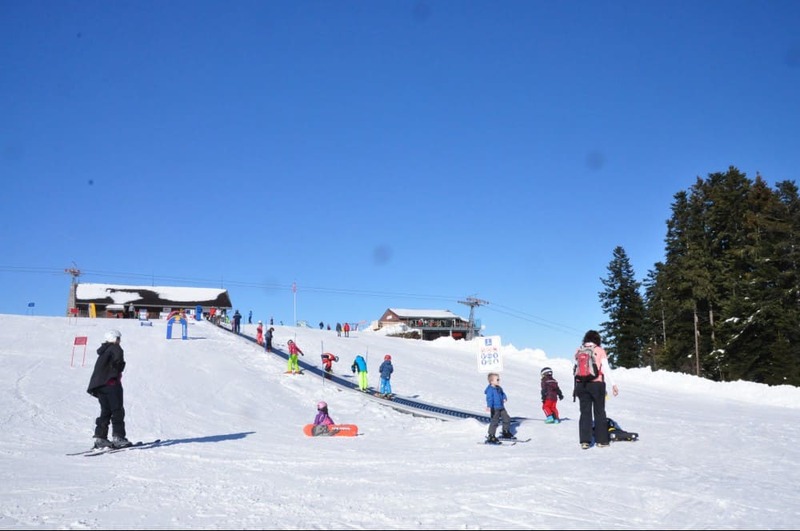 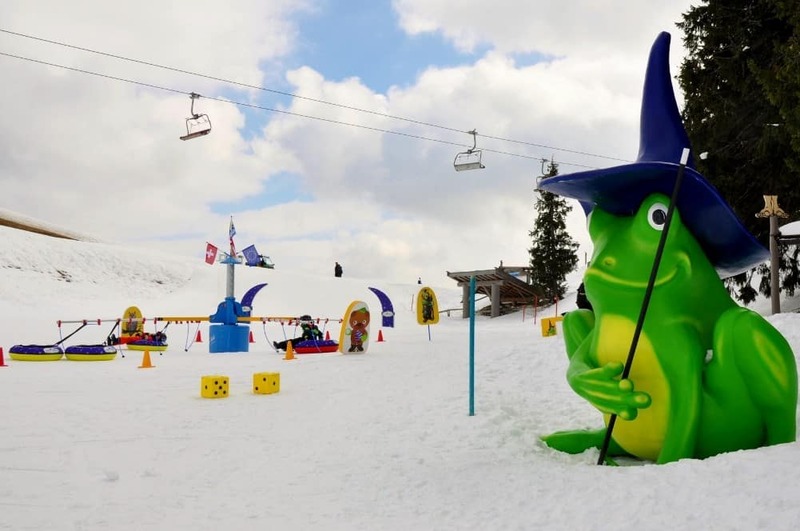 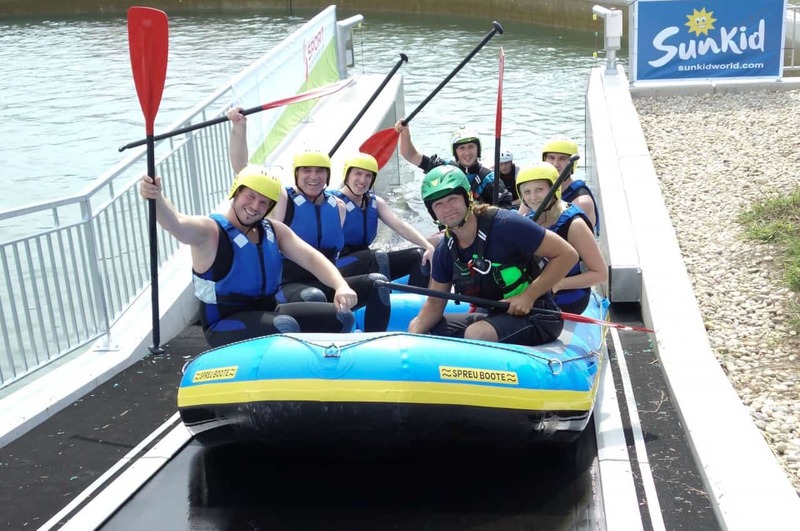 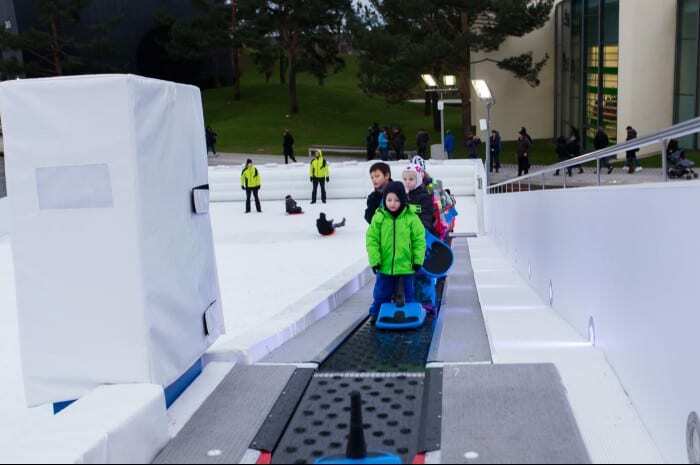 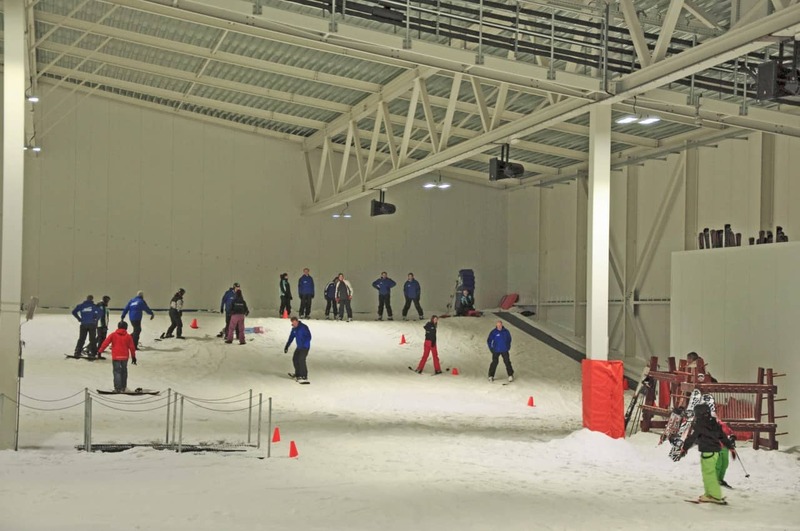 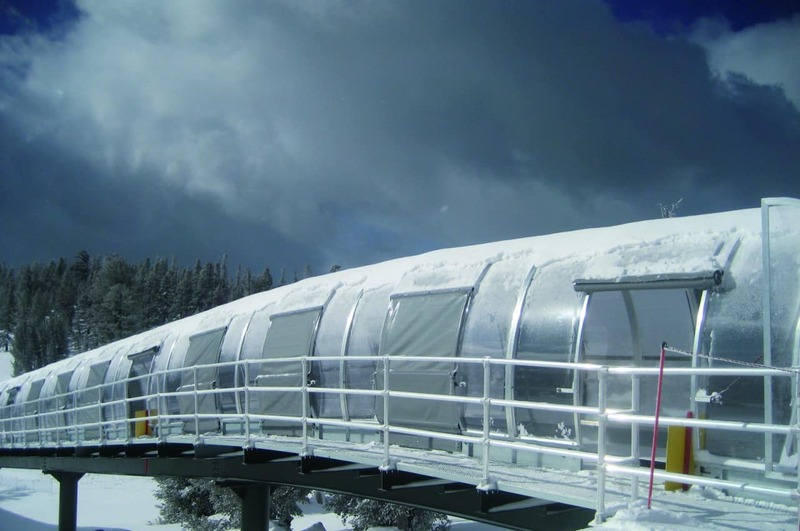 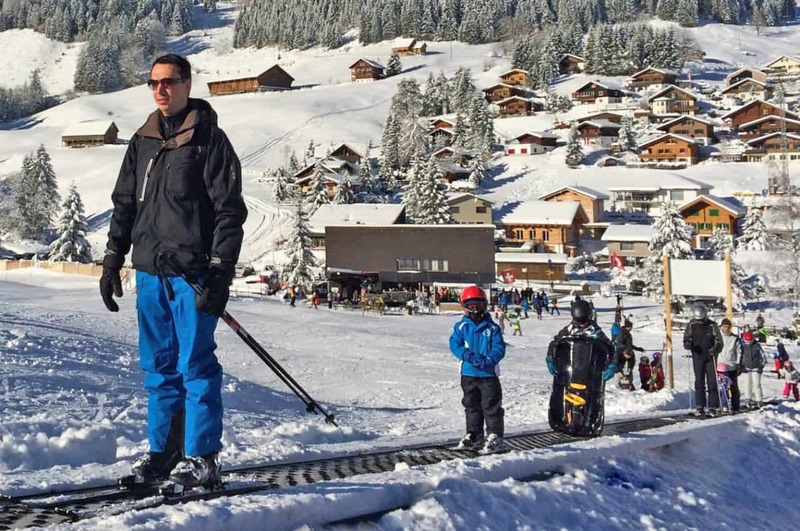 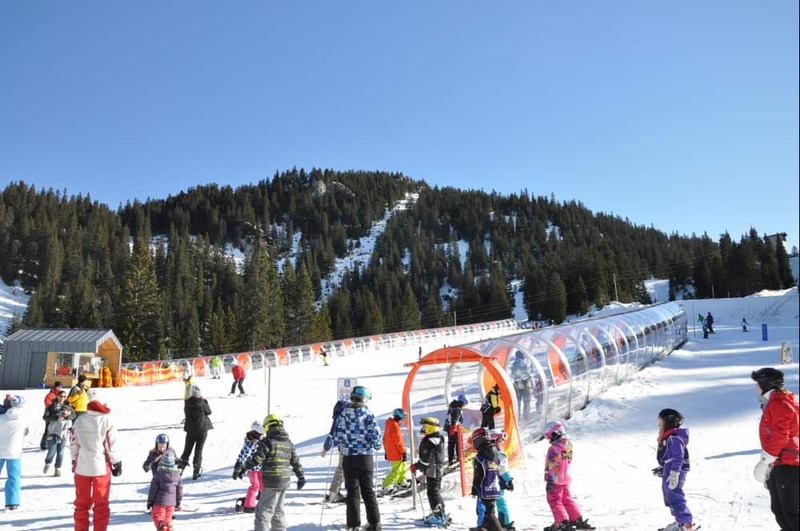 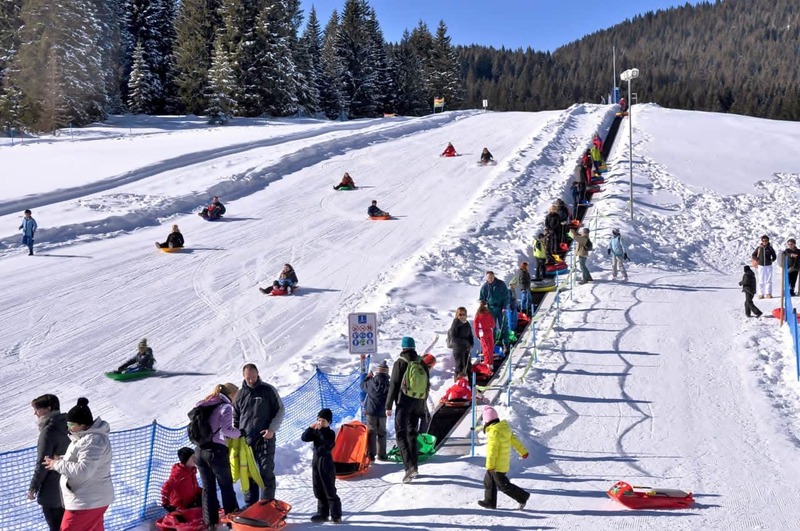 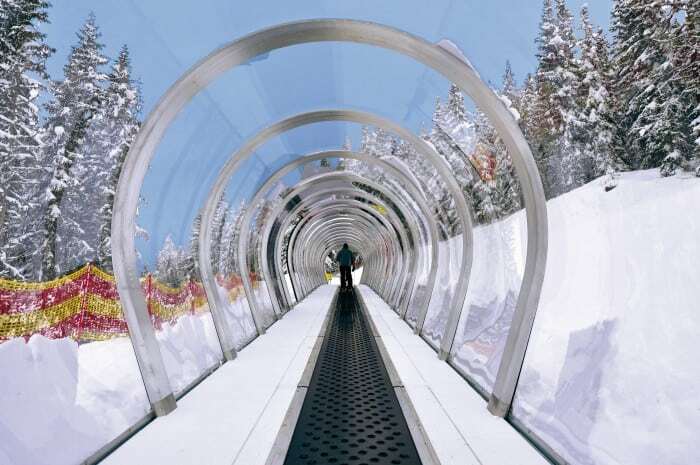 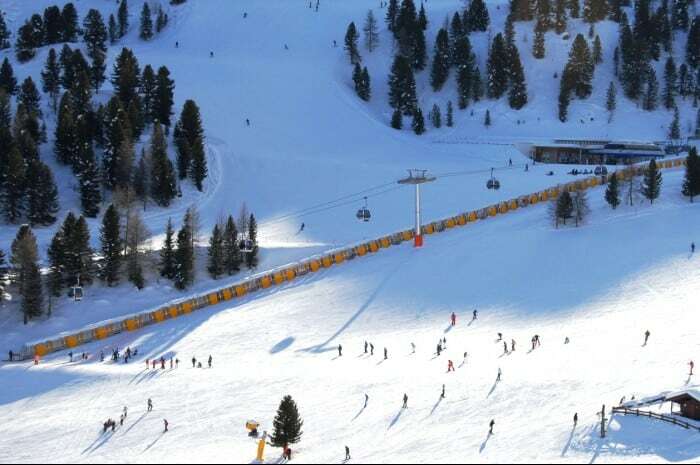 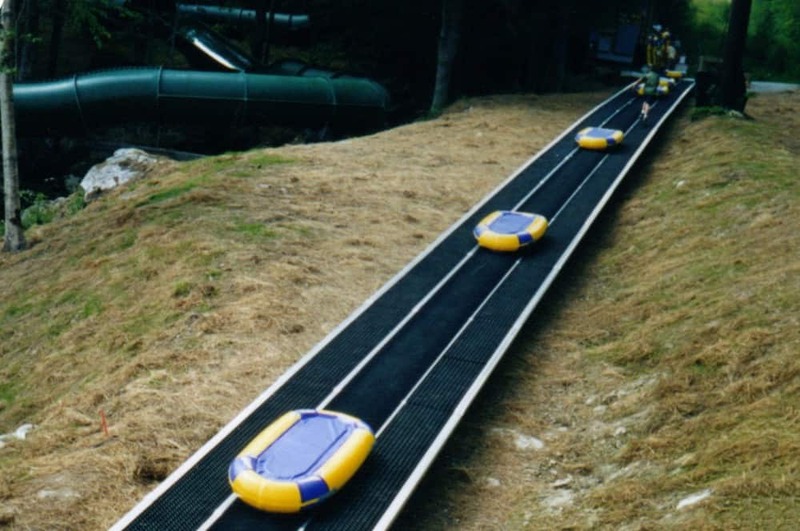 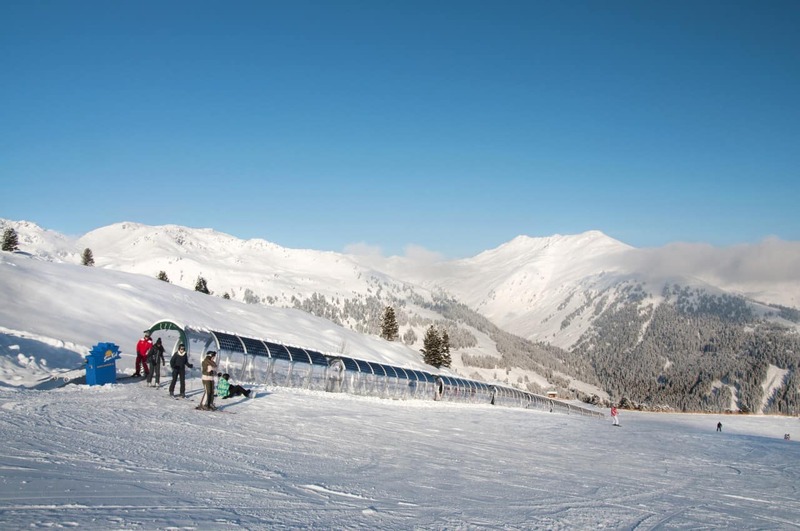 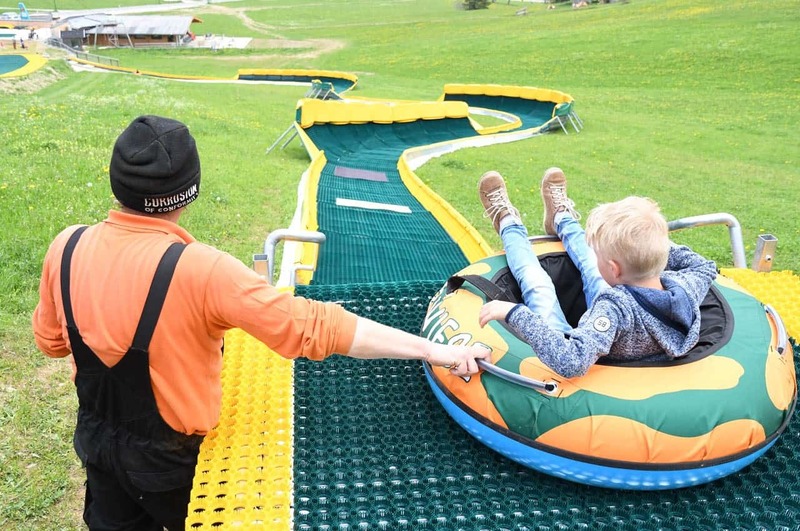 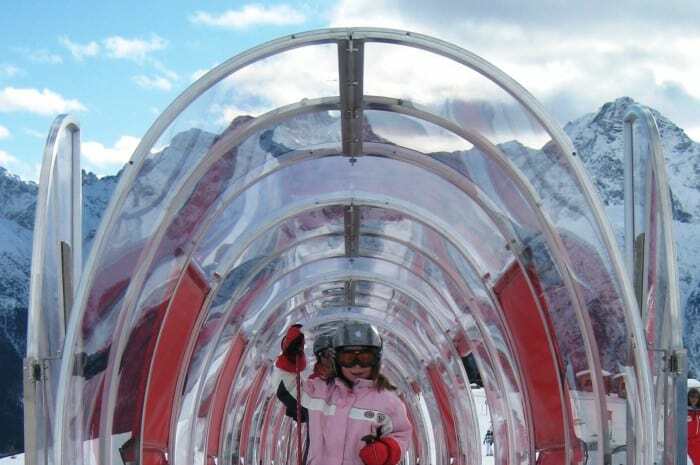 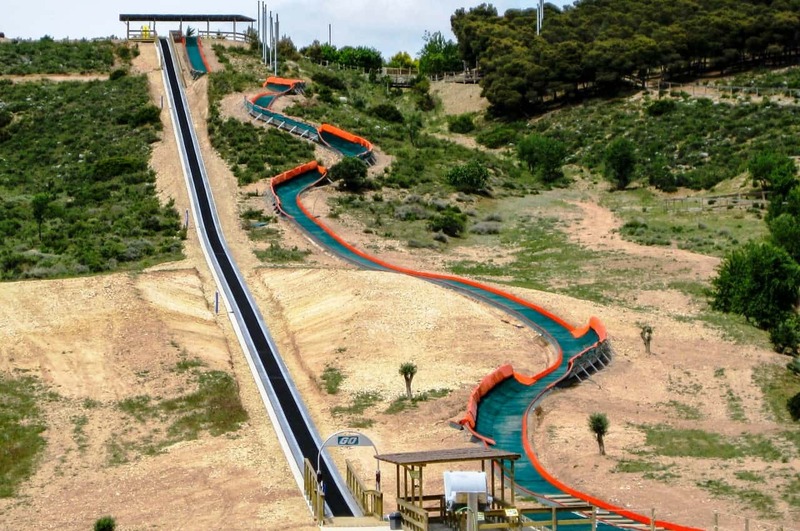 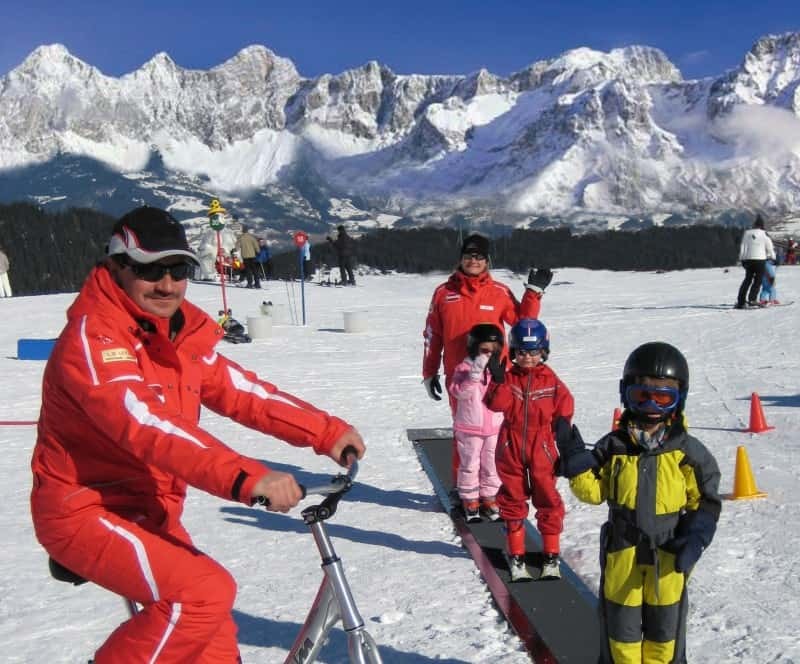 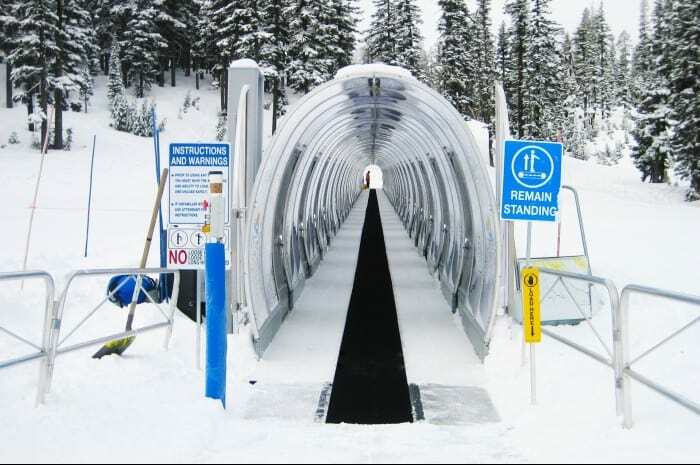 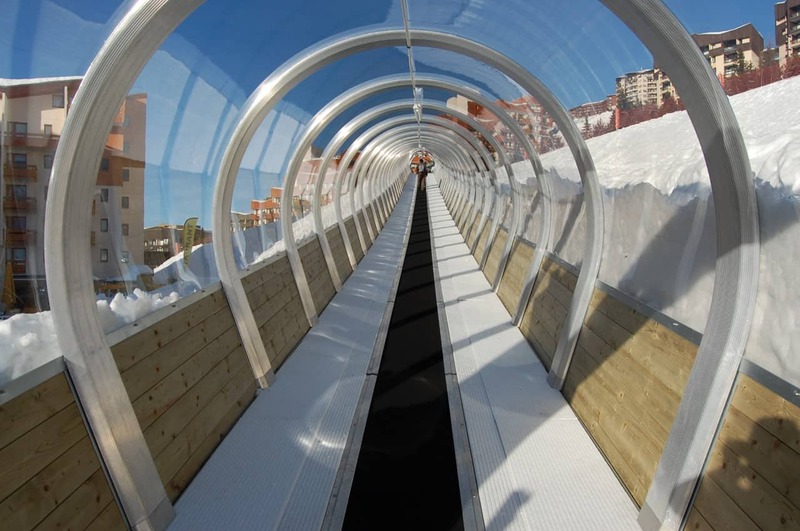 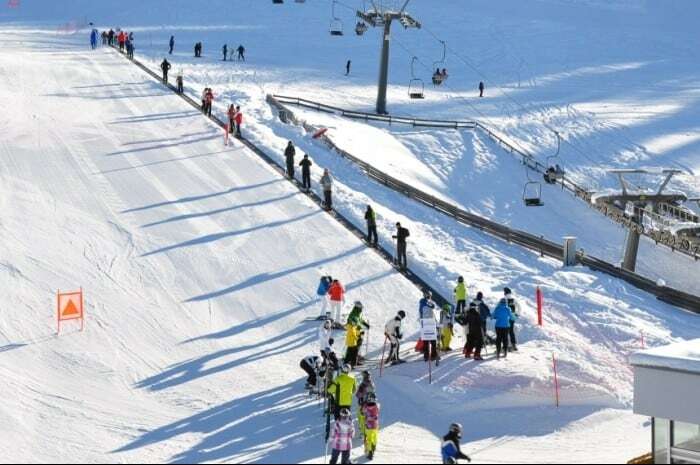 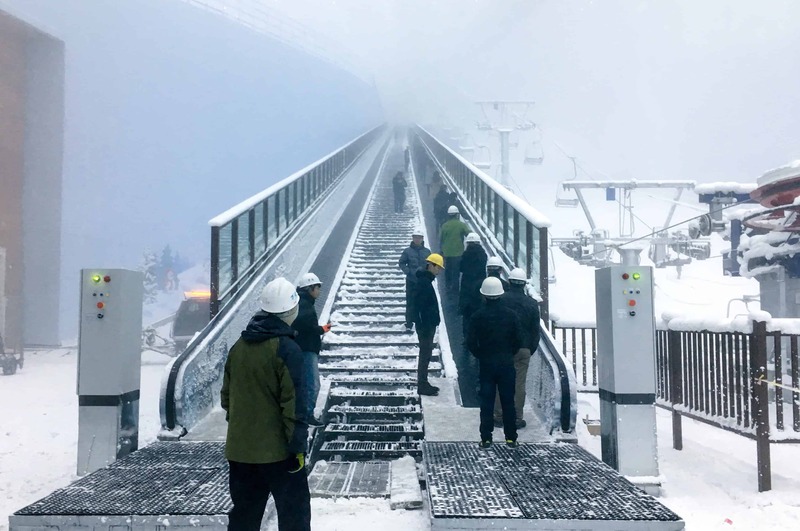 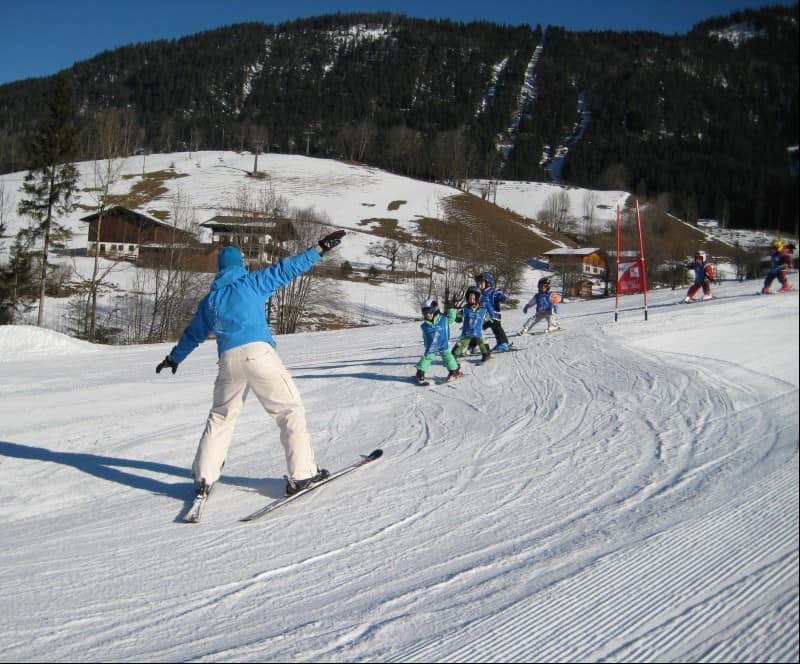 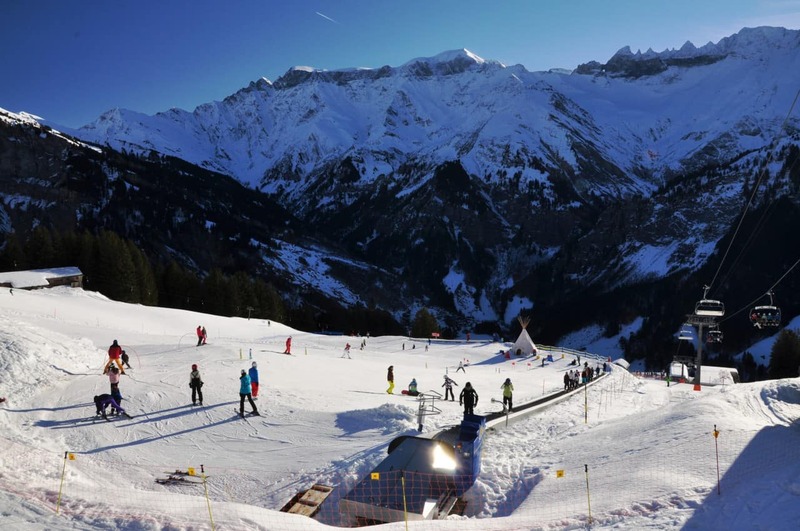 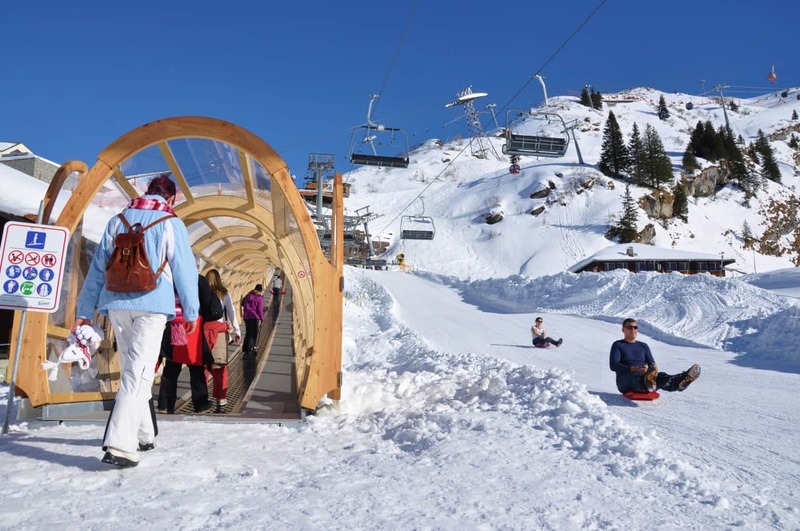 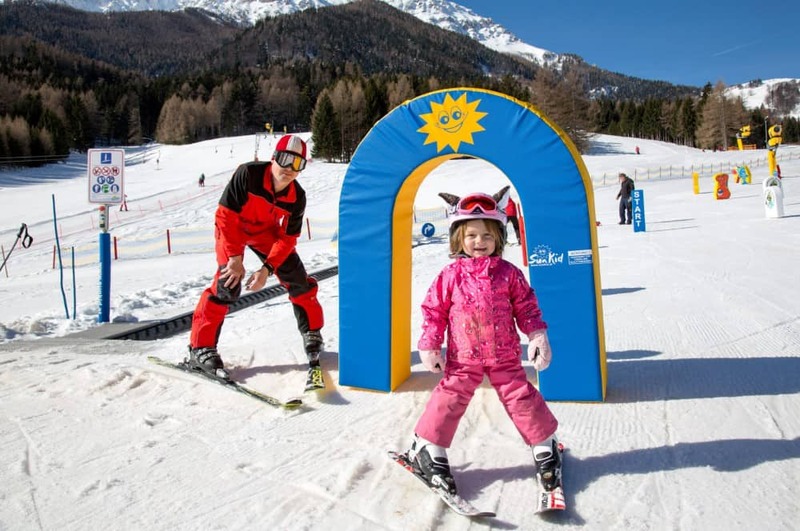 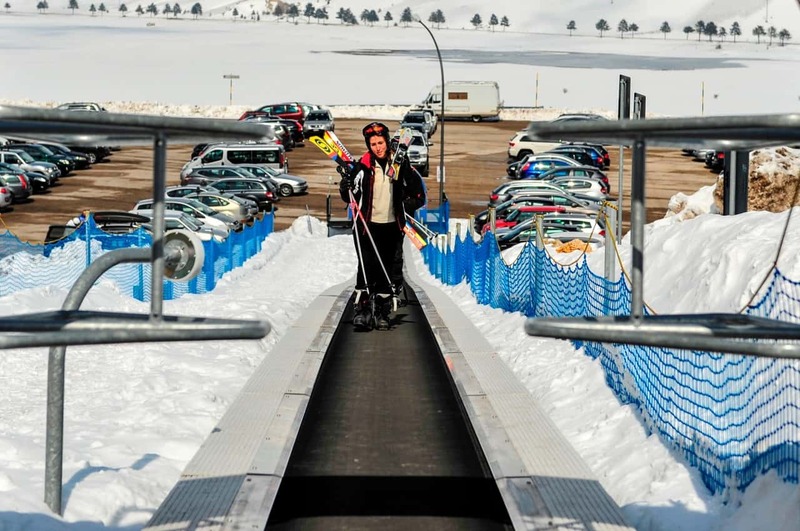 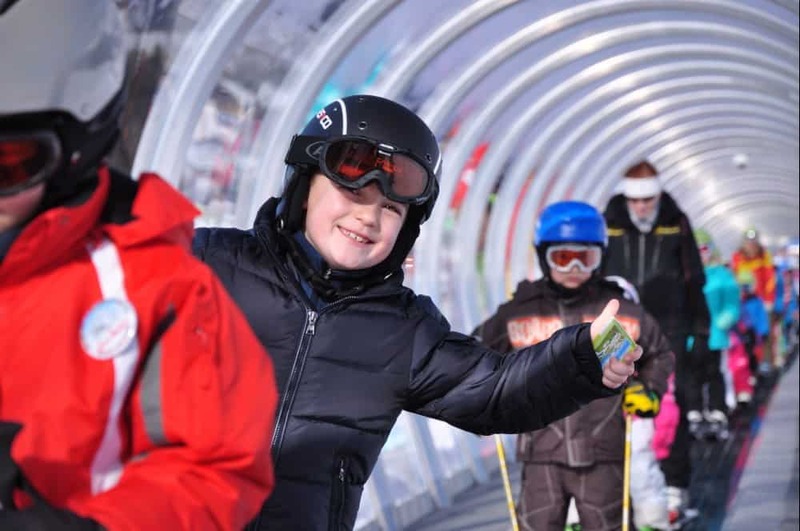 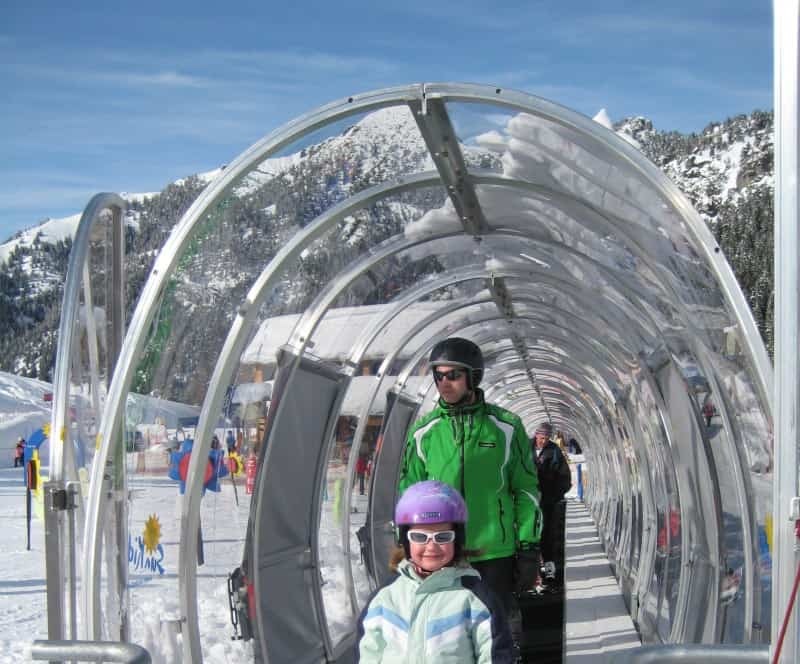 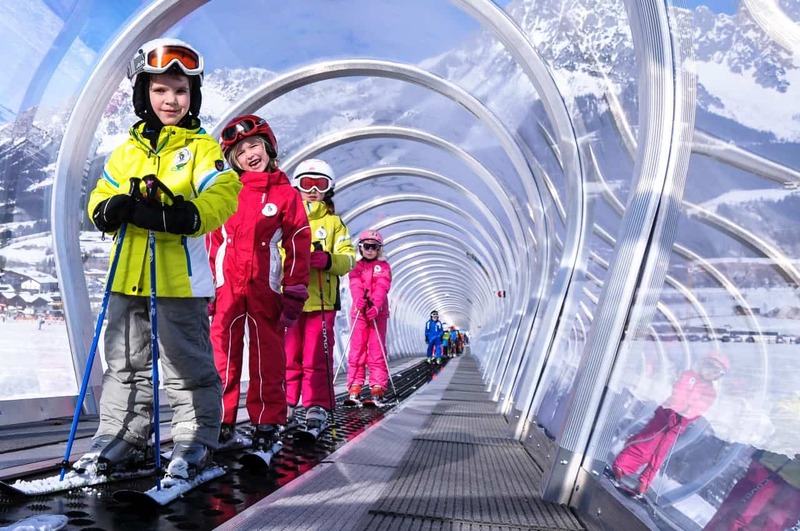 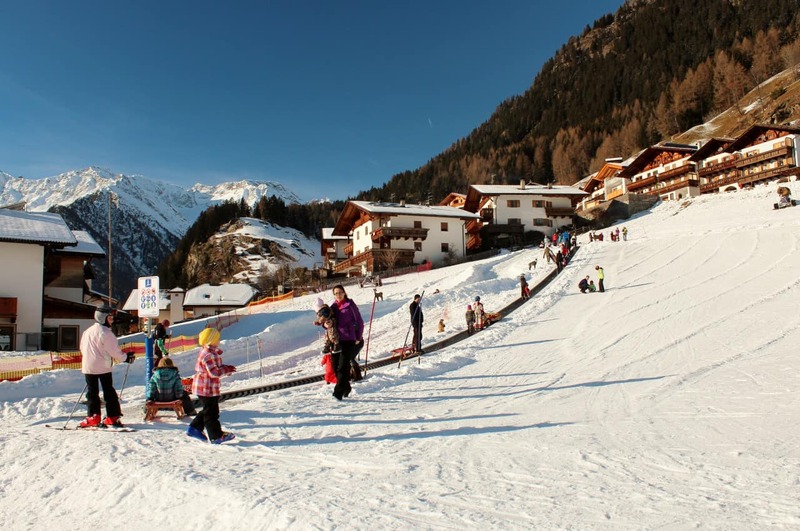 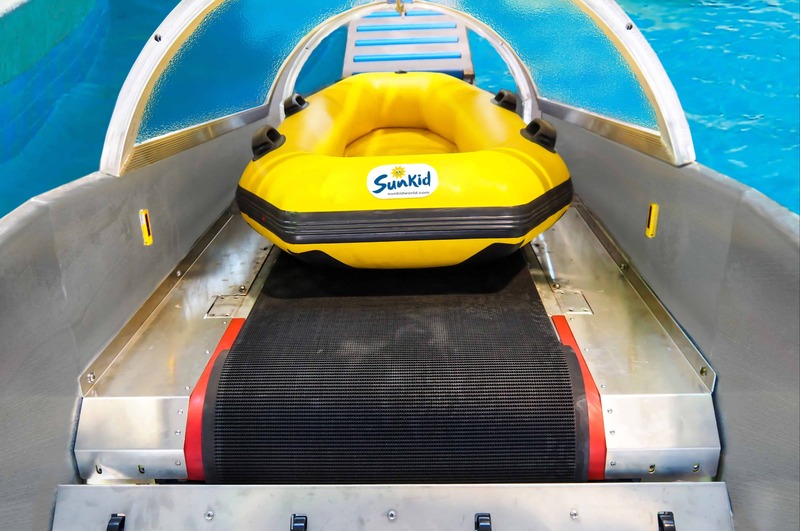 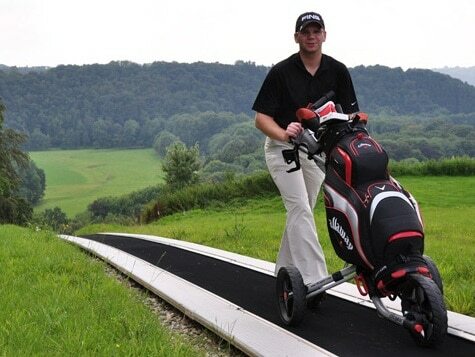 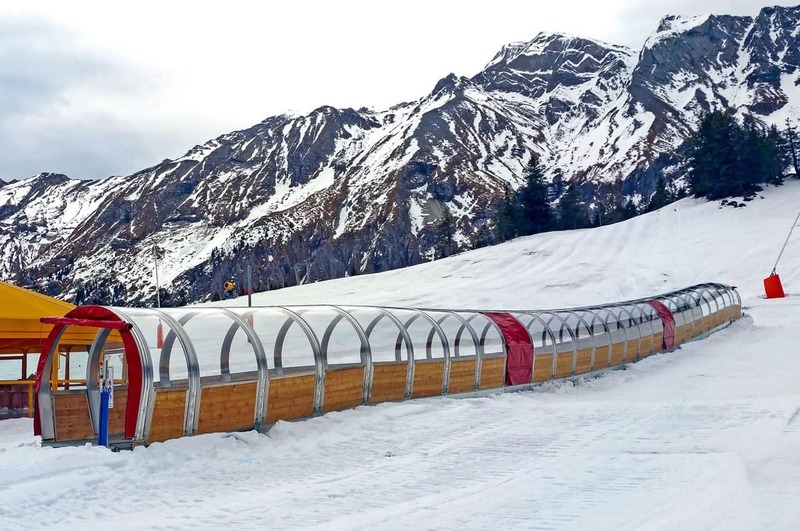 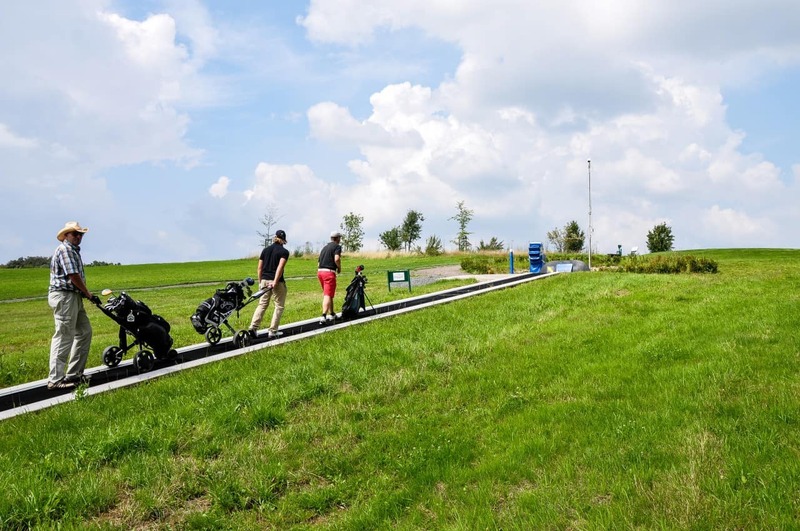 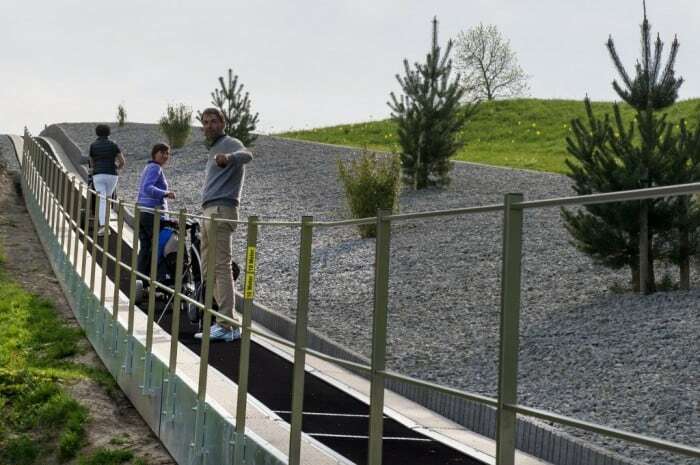 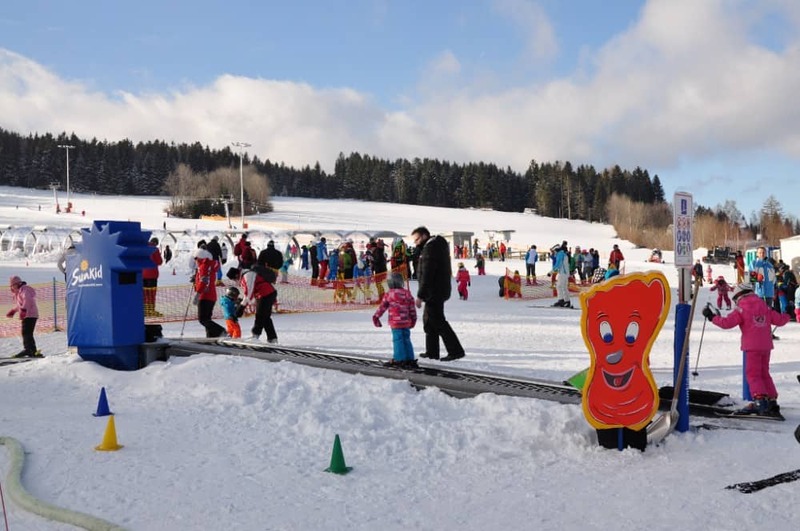 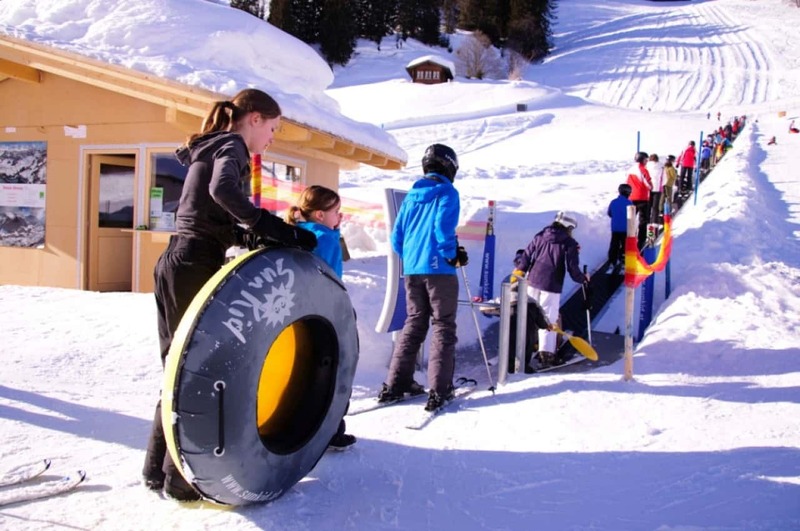 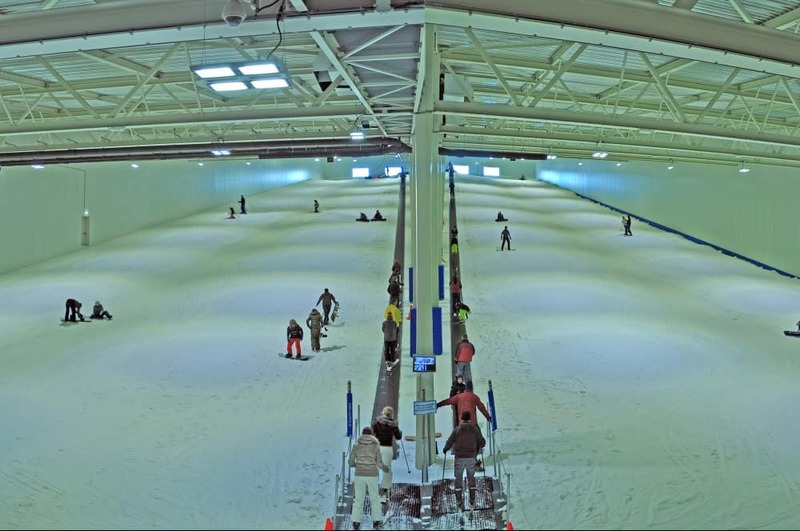 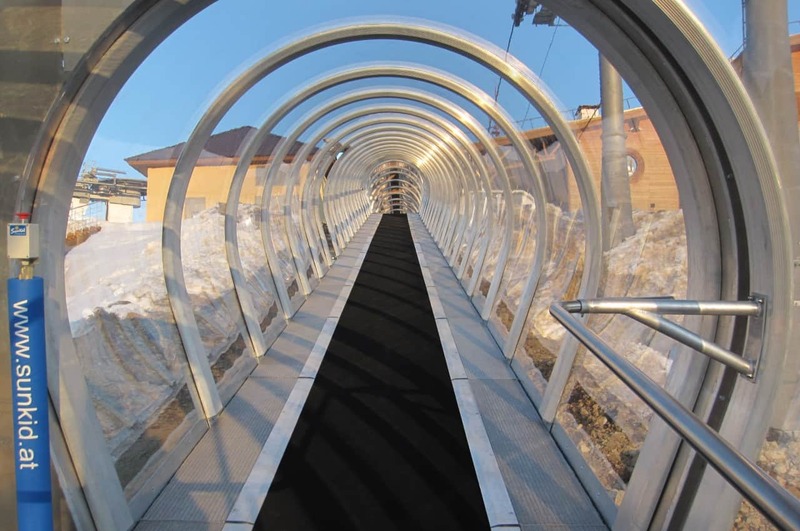 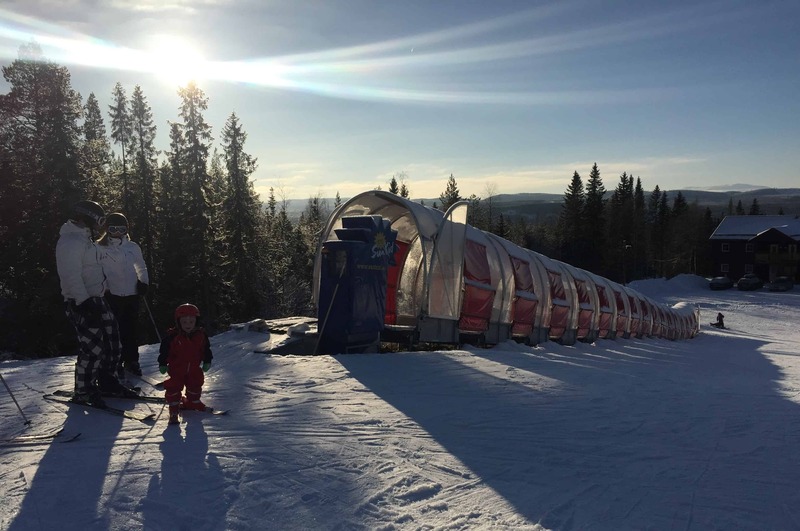 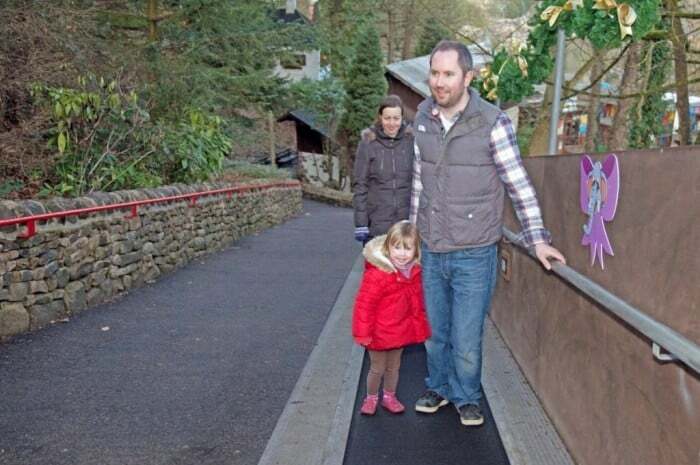 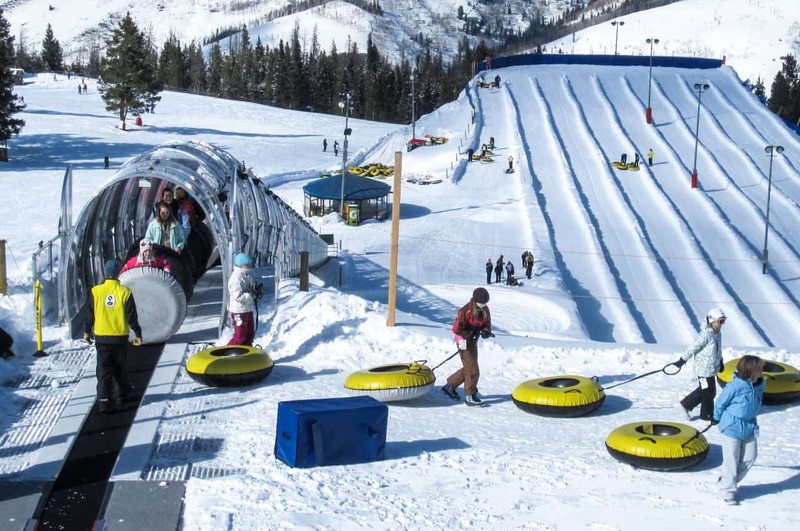 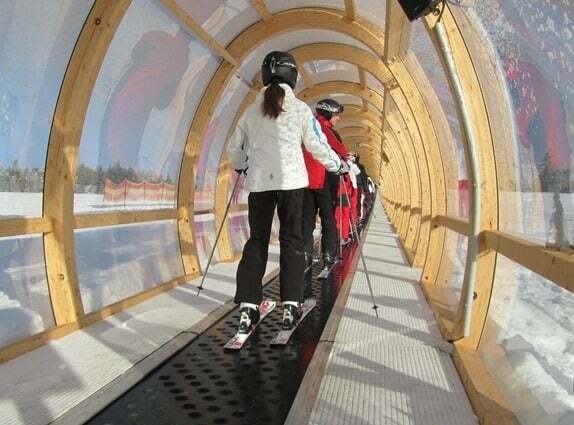 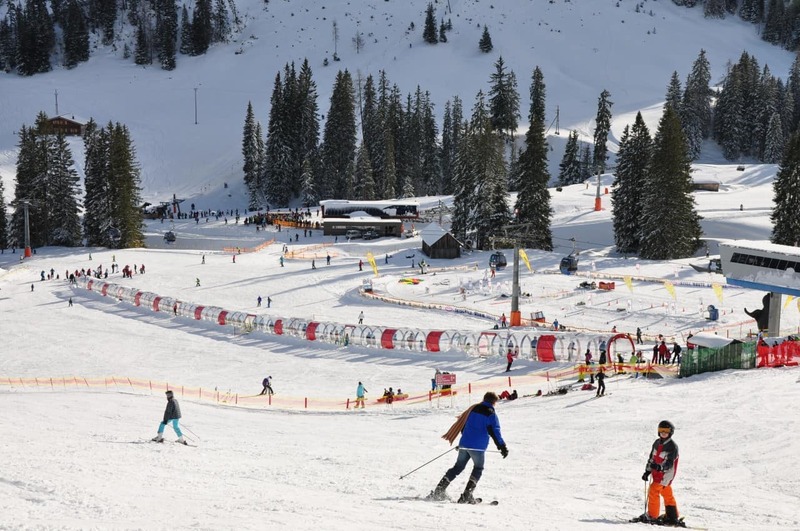 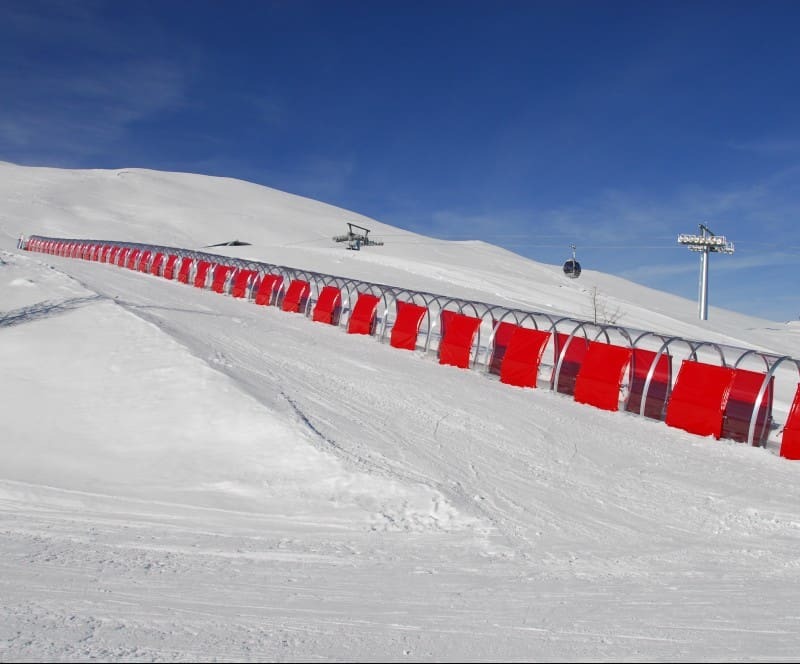 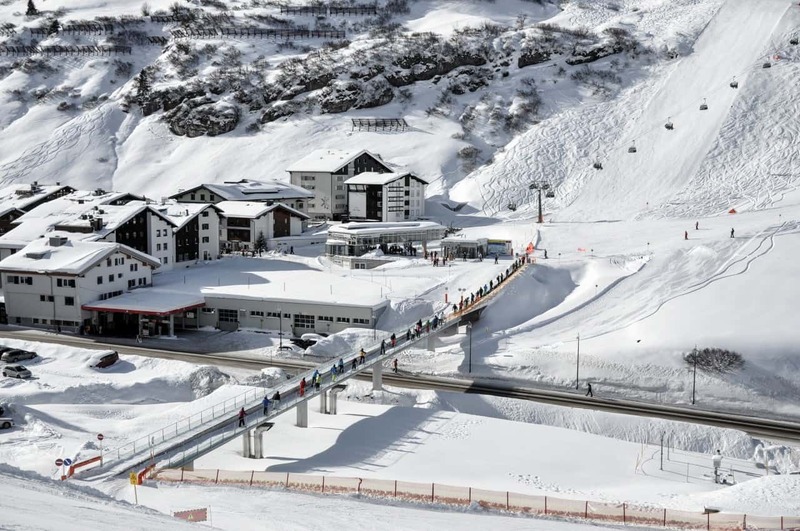 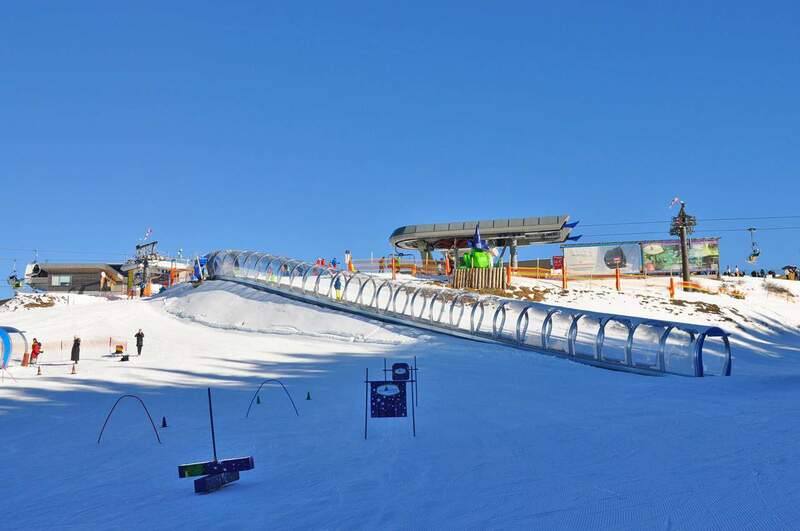 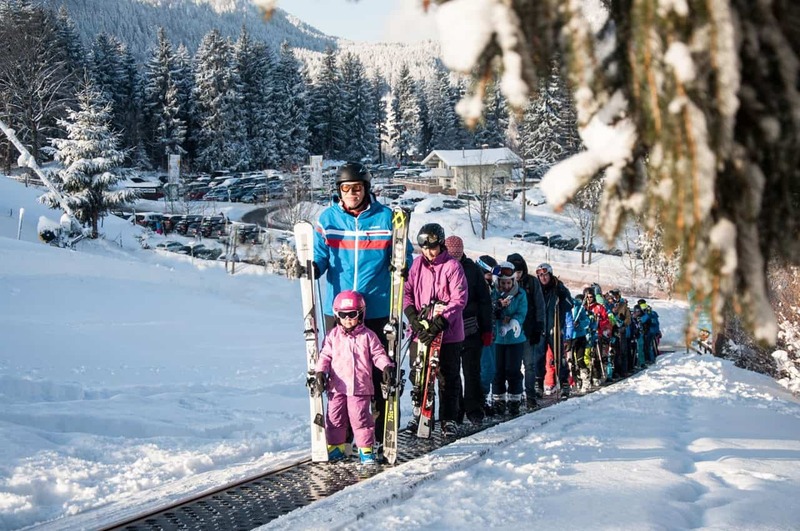 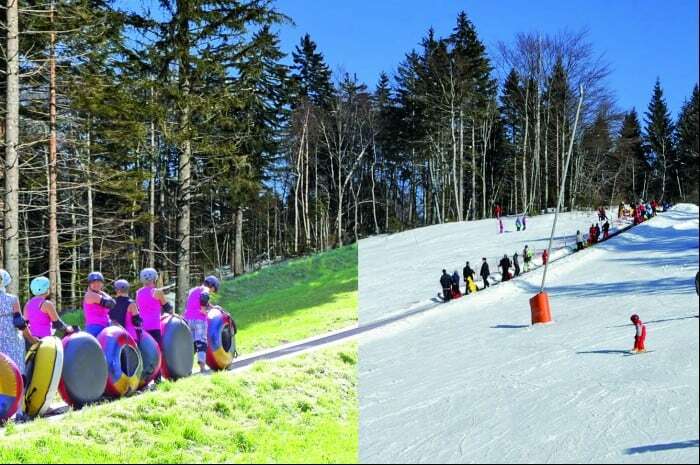 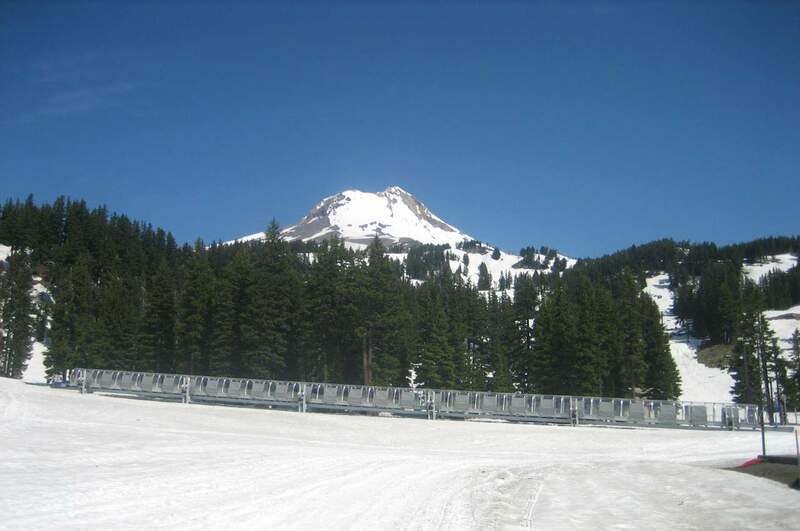 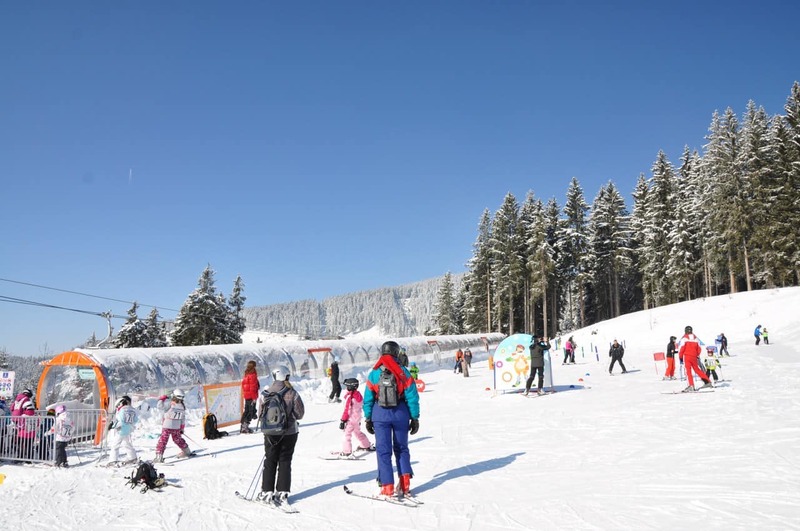 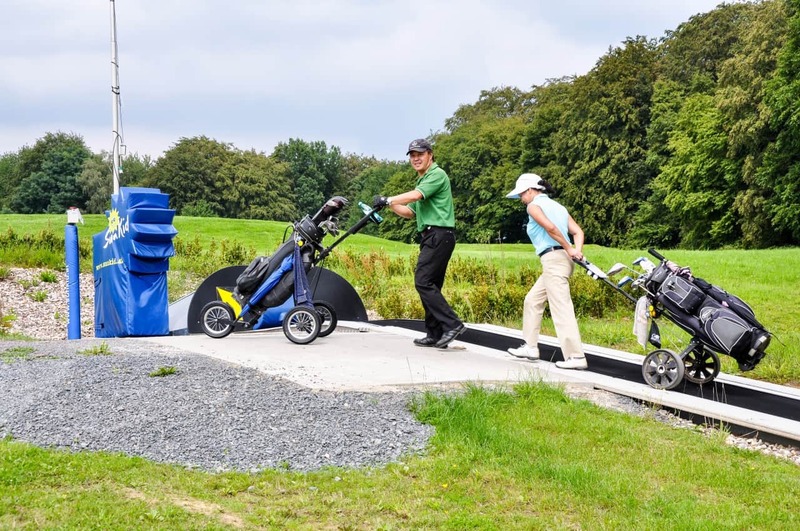 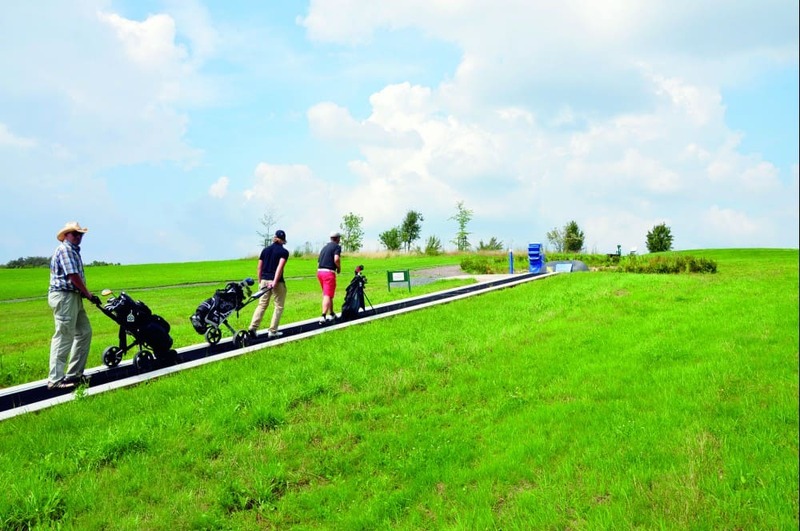 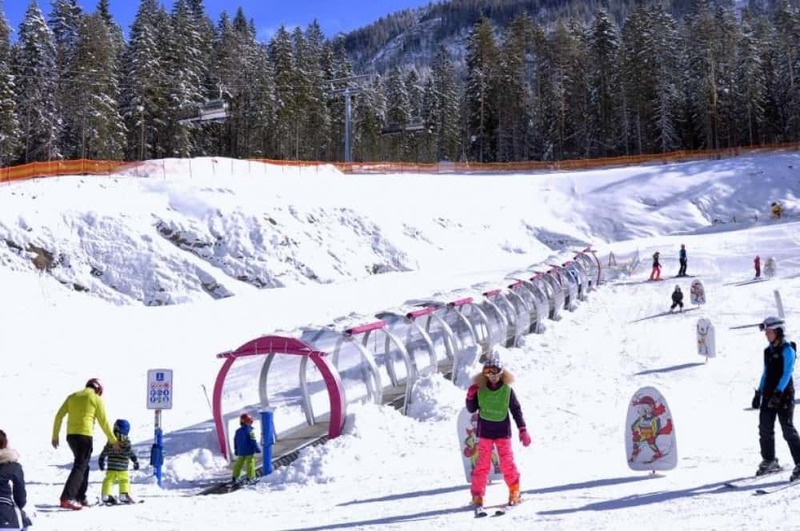 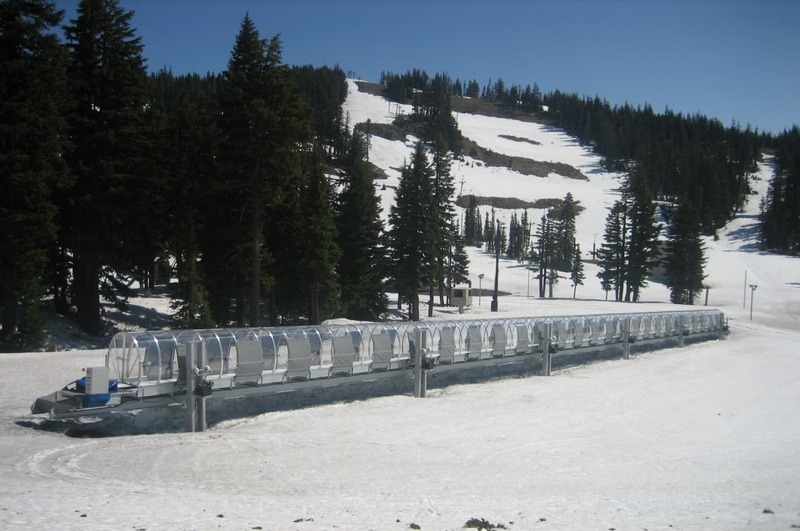 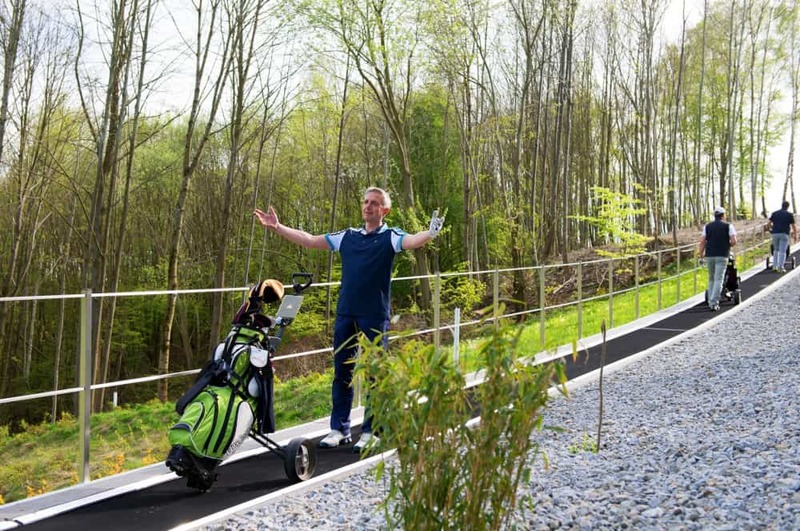 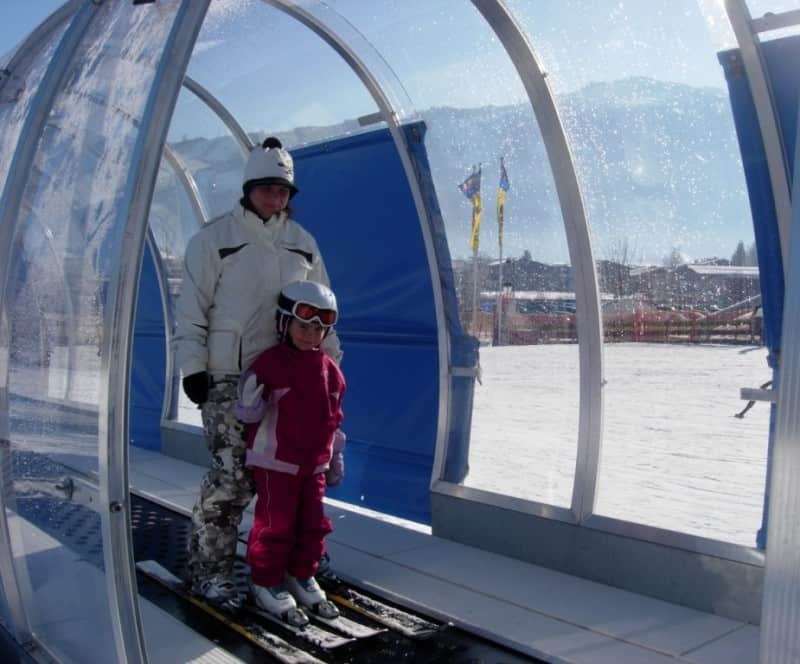 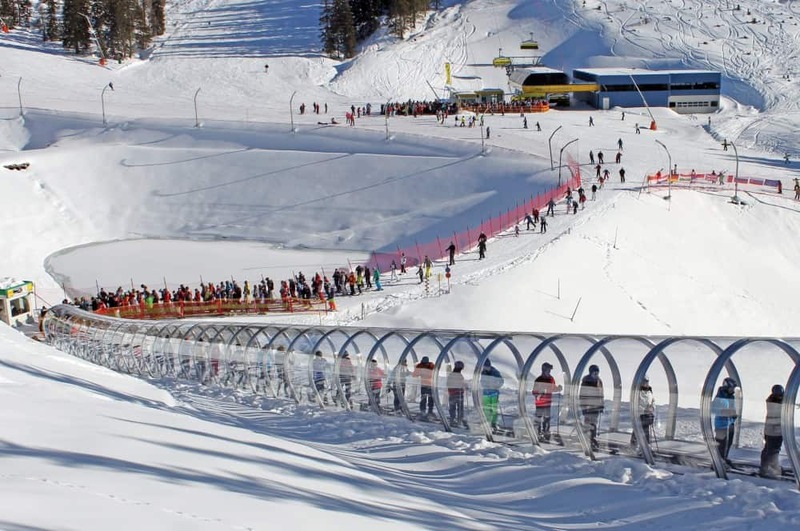 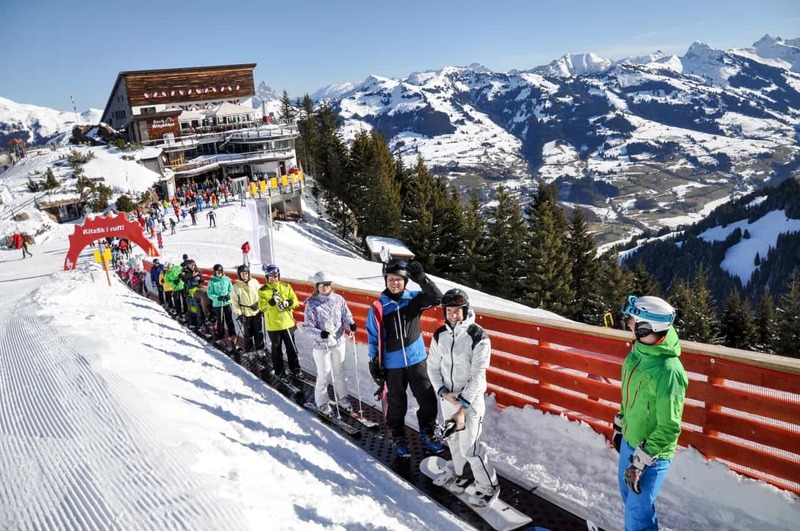 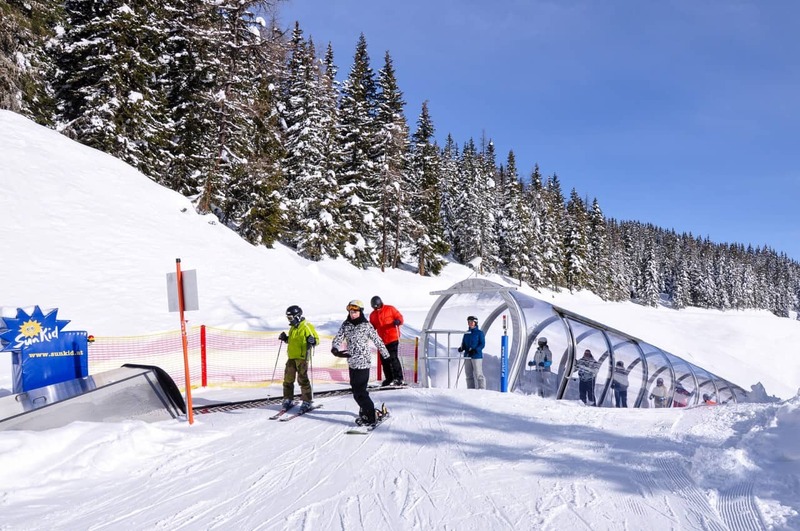 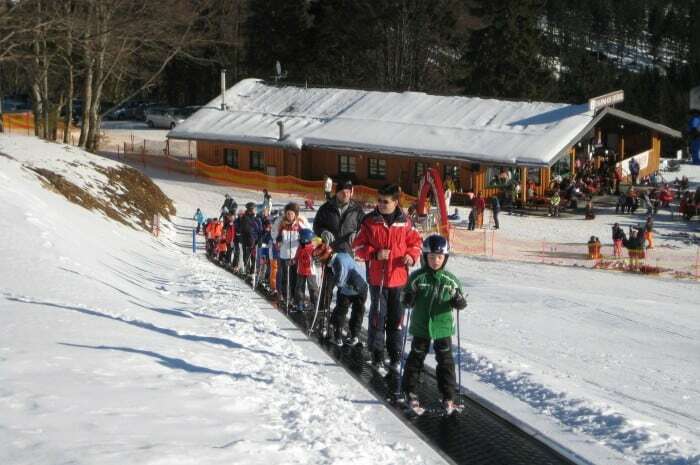 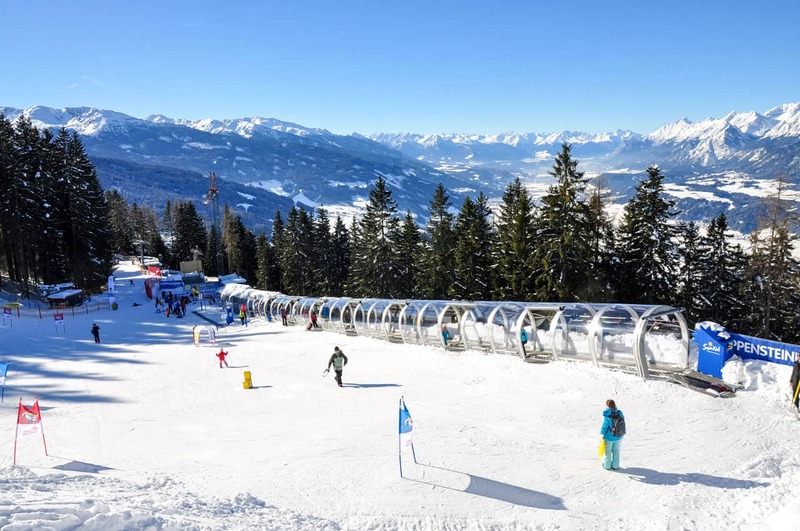 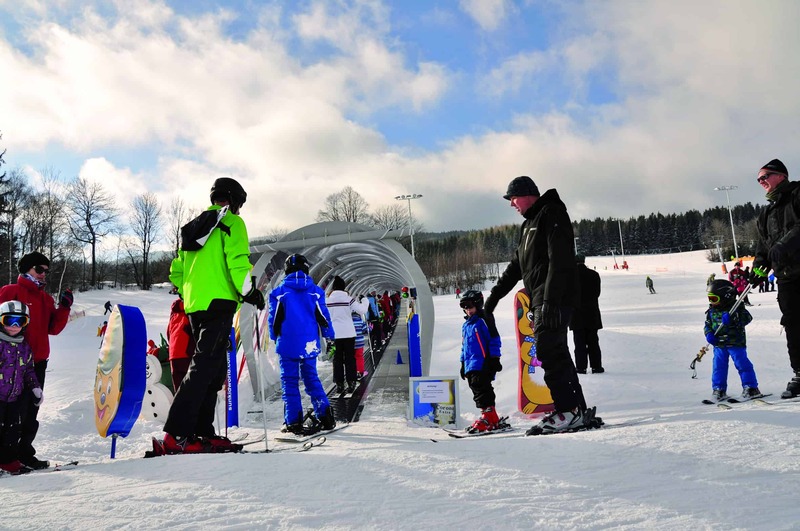 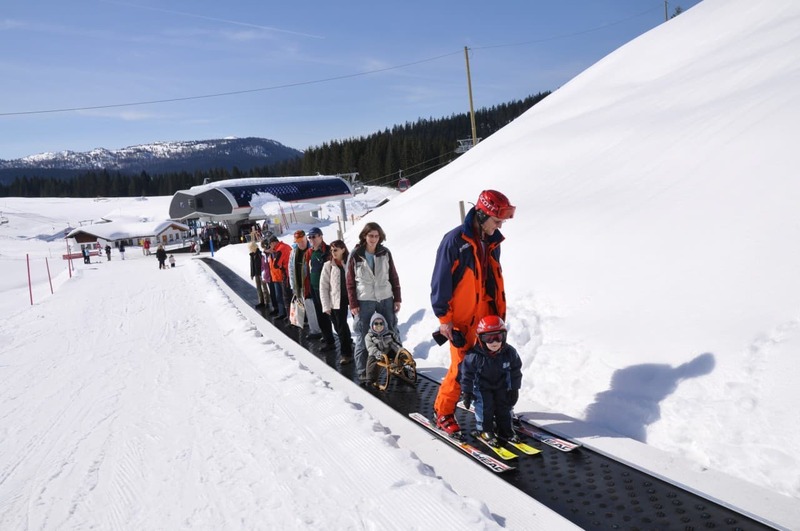 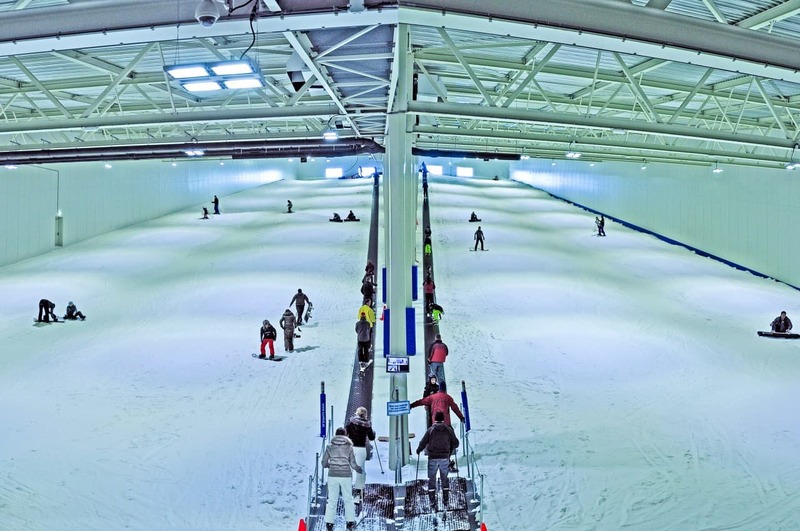 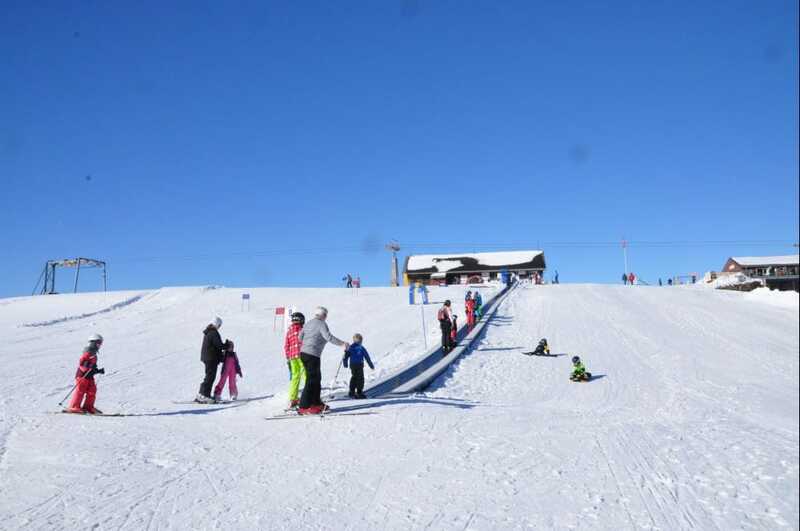 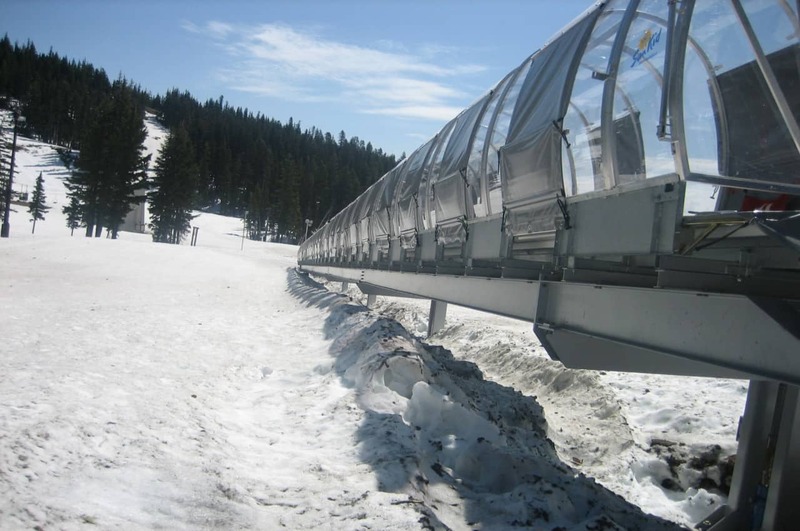 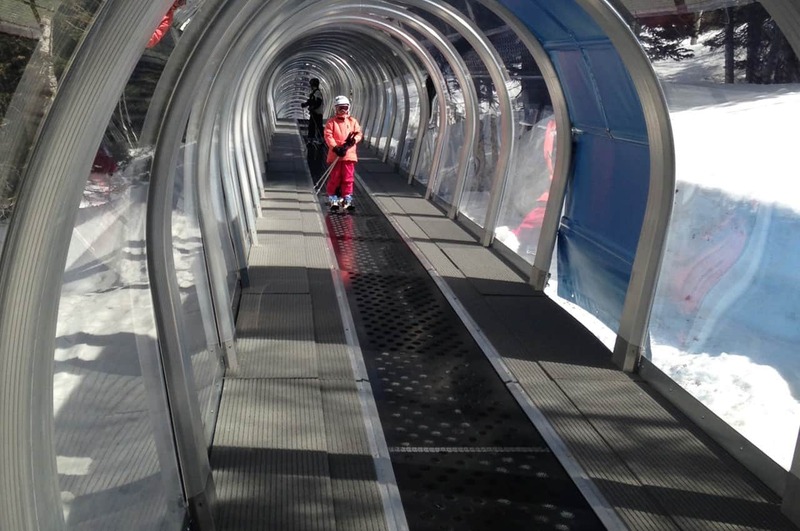 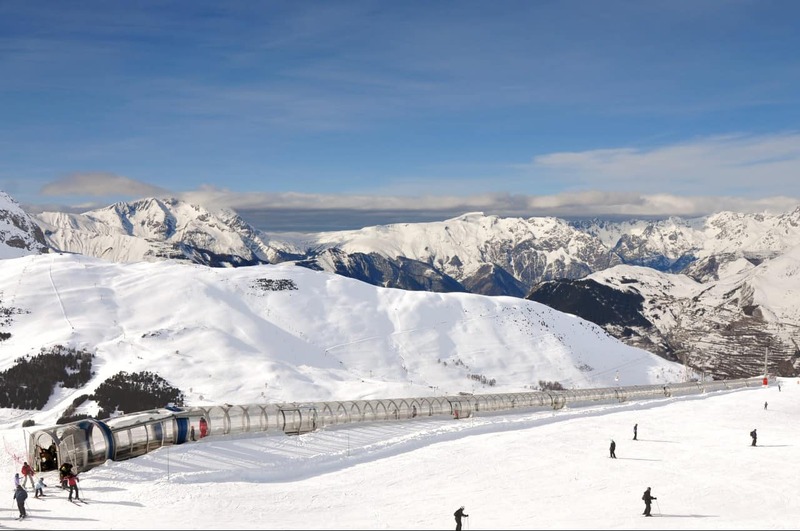 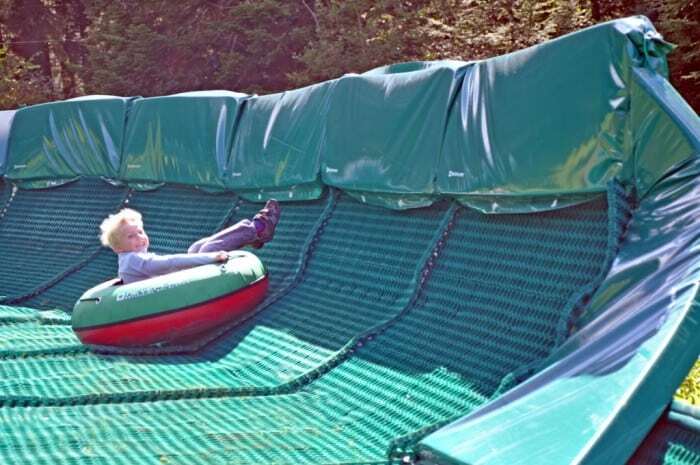 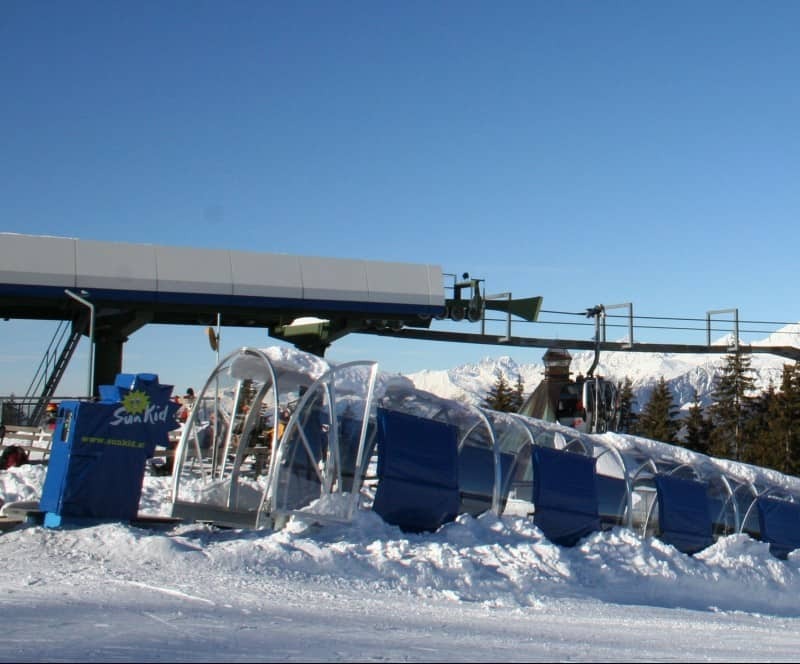 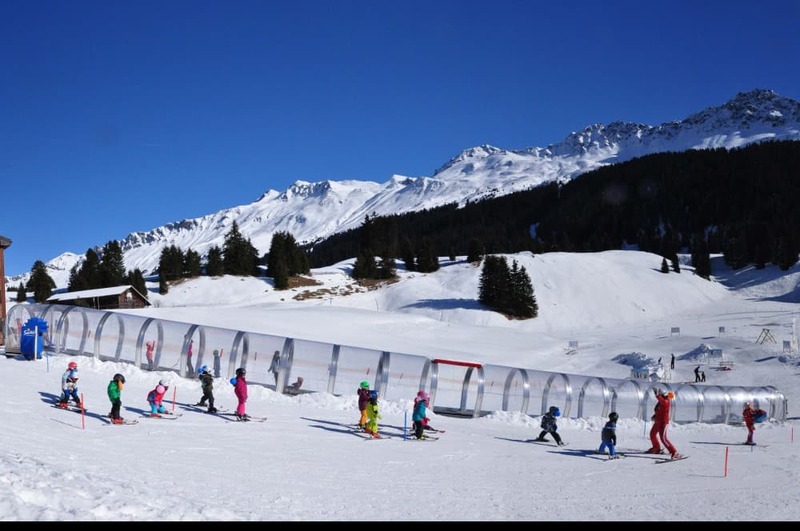 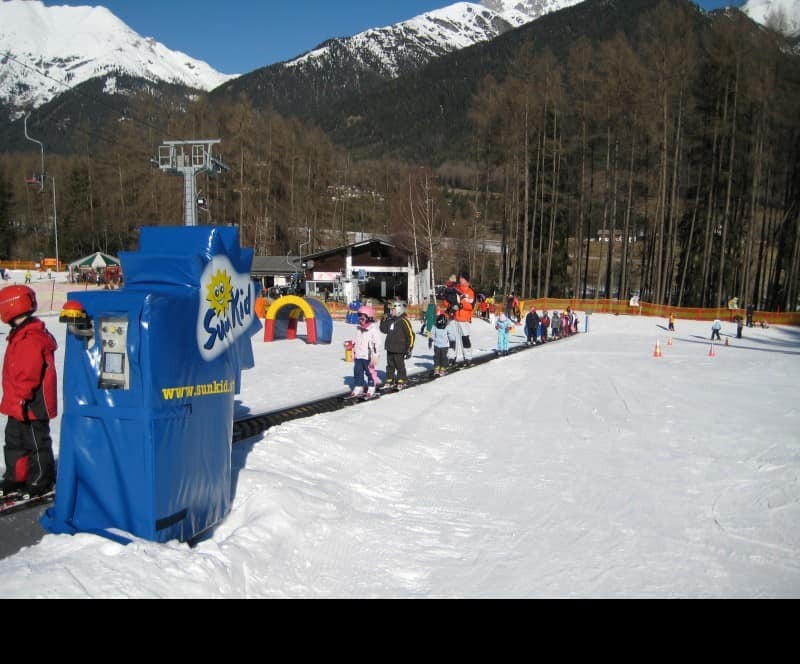 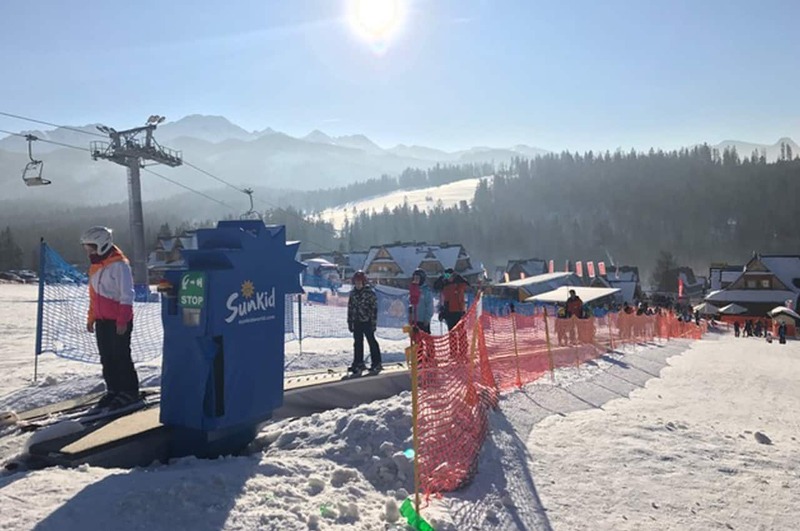 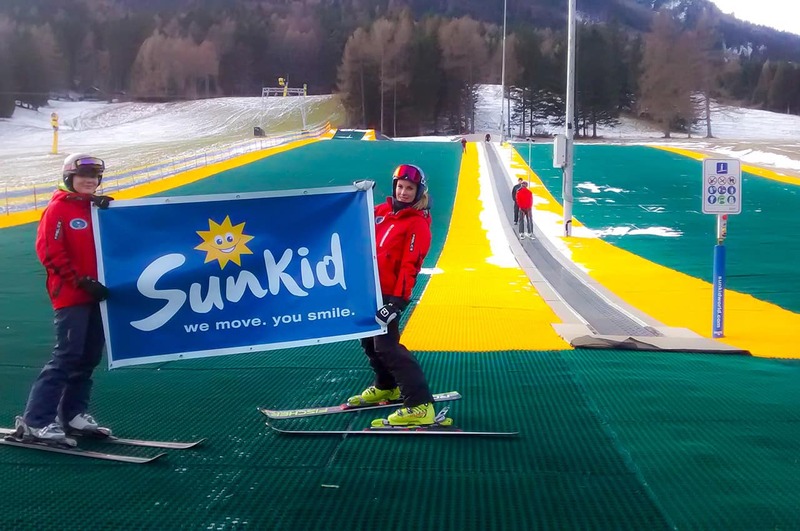 The Sunkid conveyor belt is the perfect solution for accessing new exercise slopes or replacing existing lift facilities not suitable for beginners. 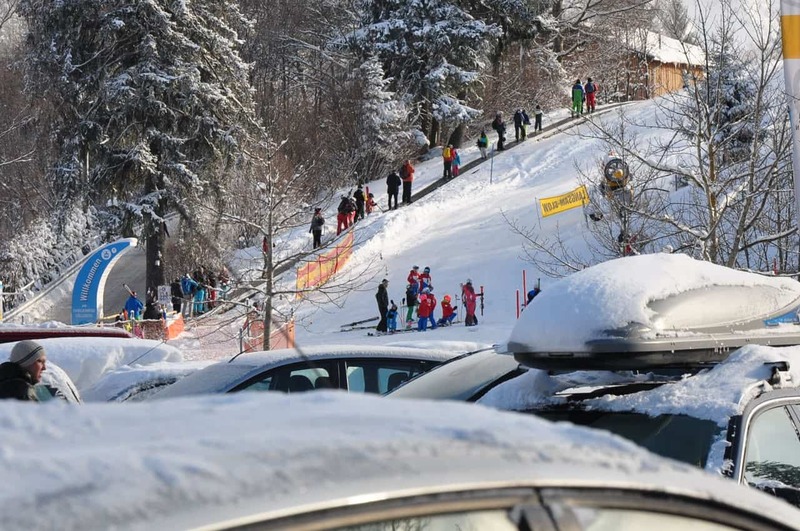 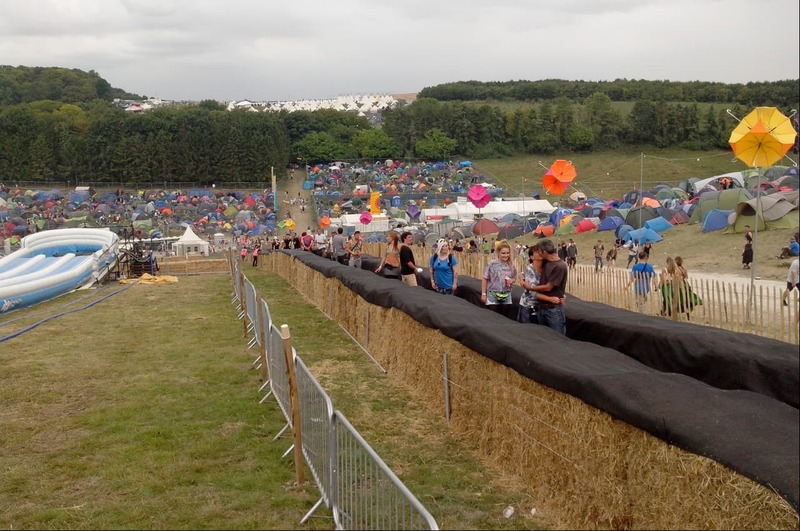 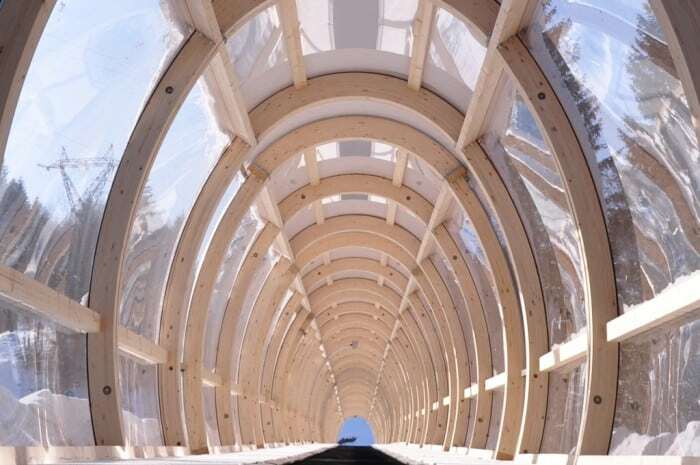 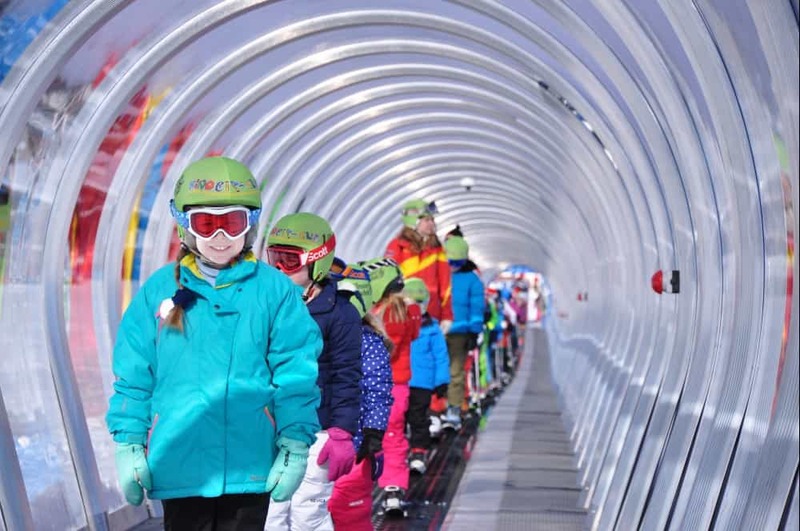 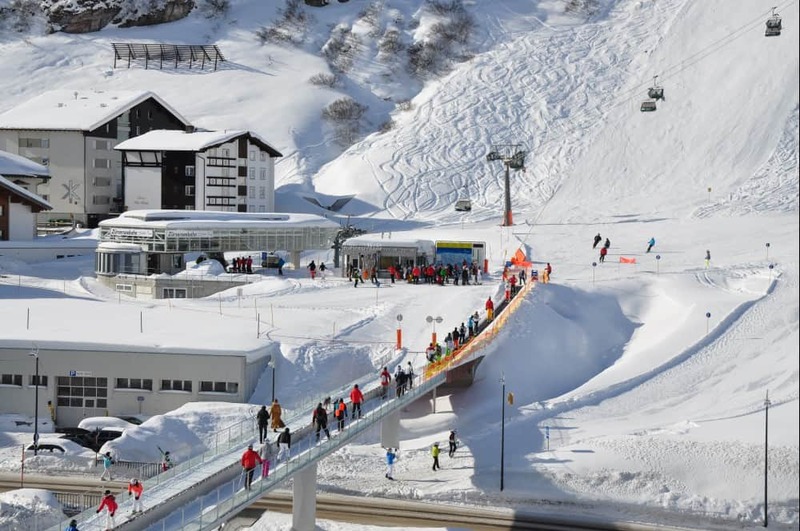 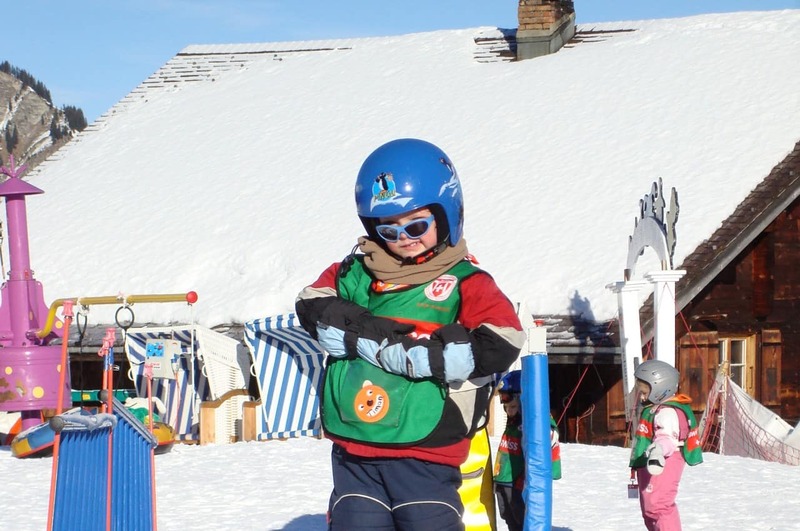 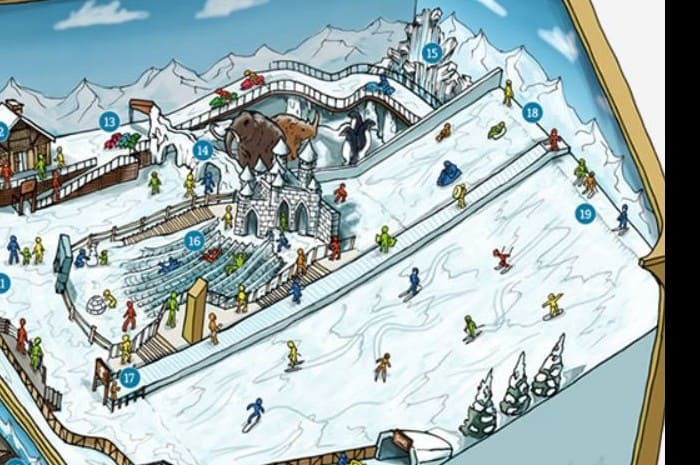 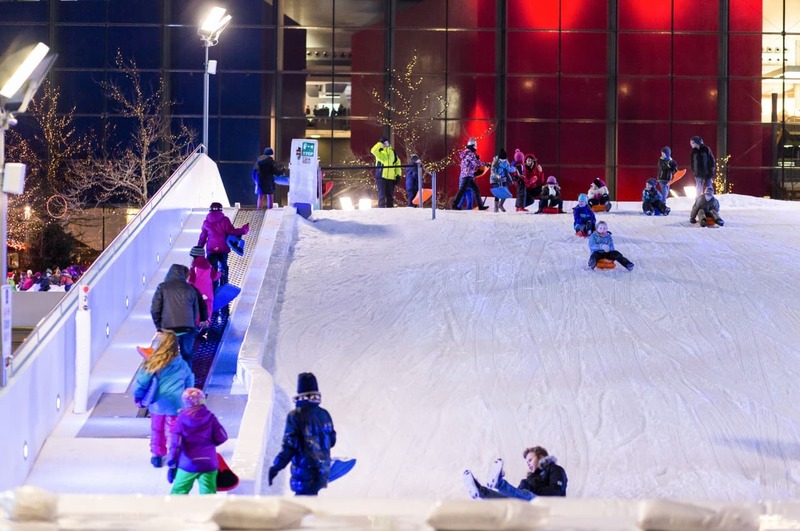 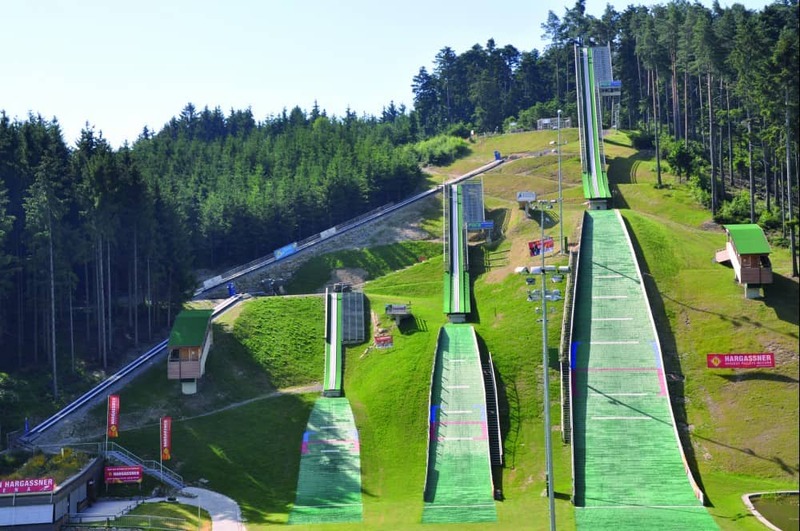 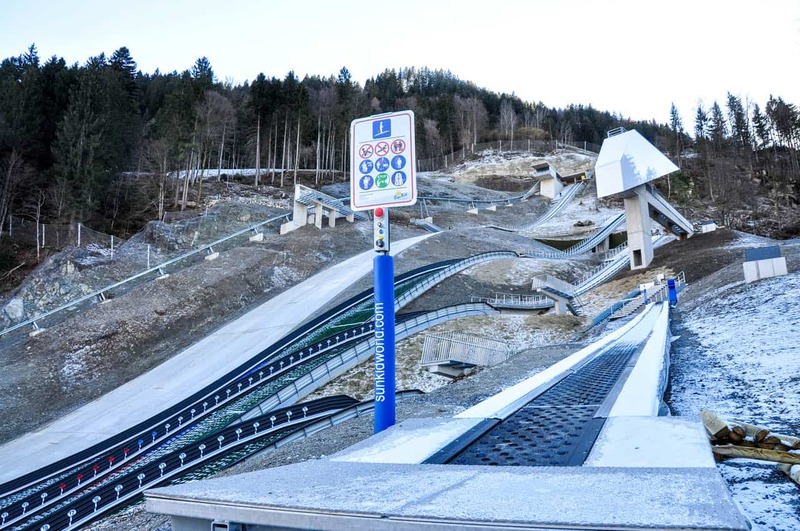 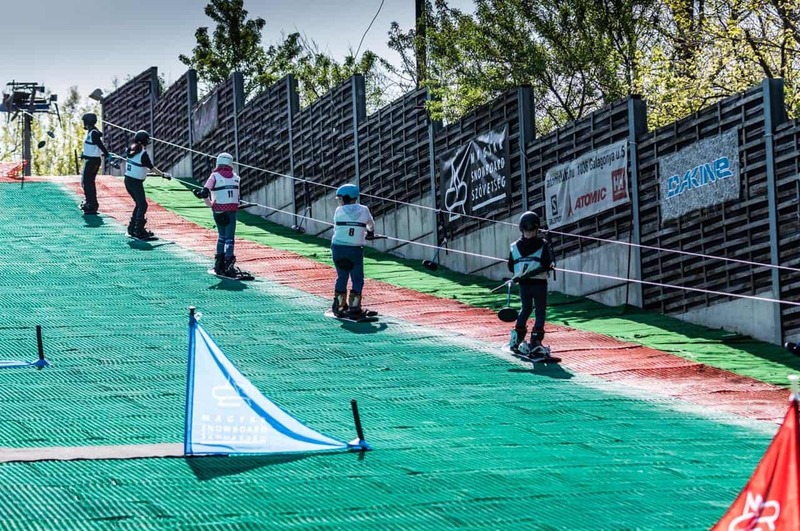 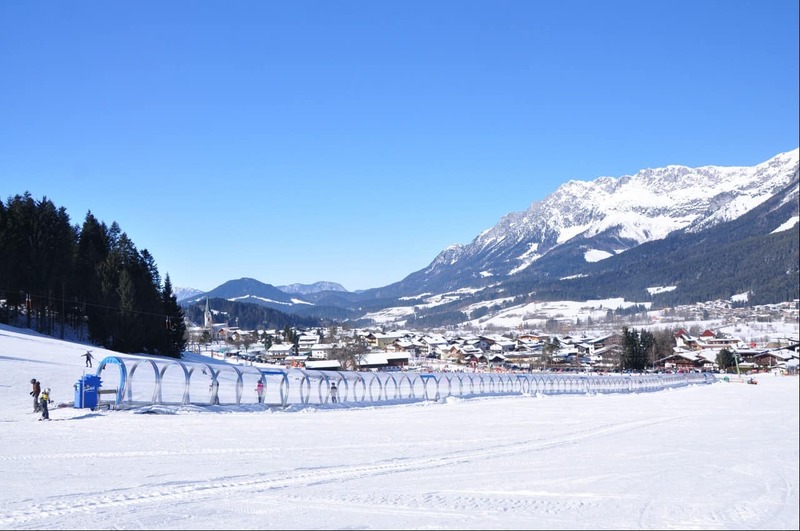 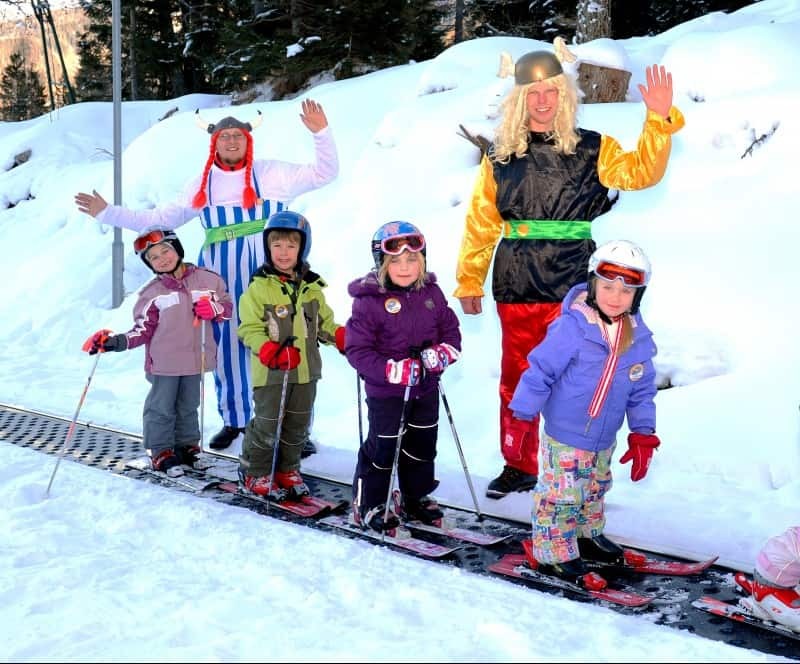 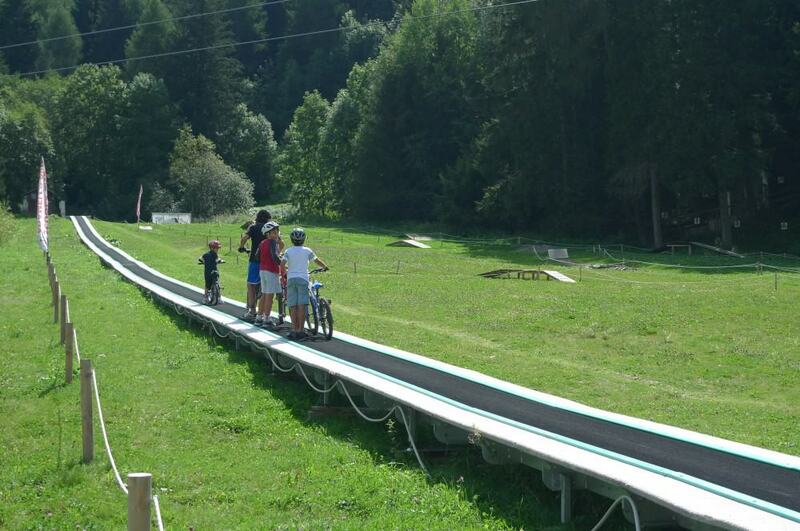 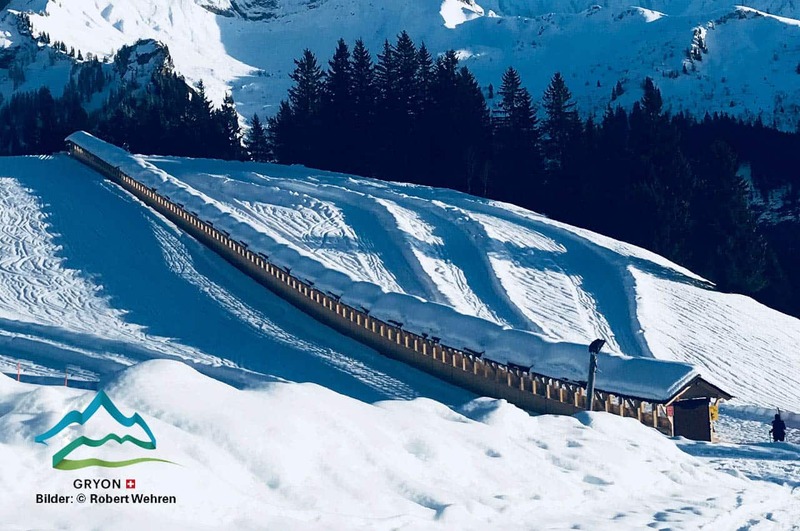 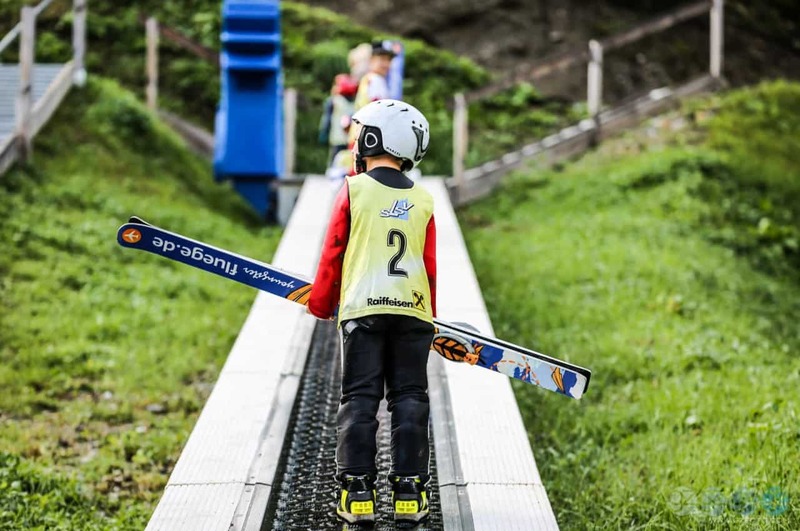 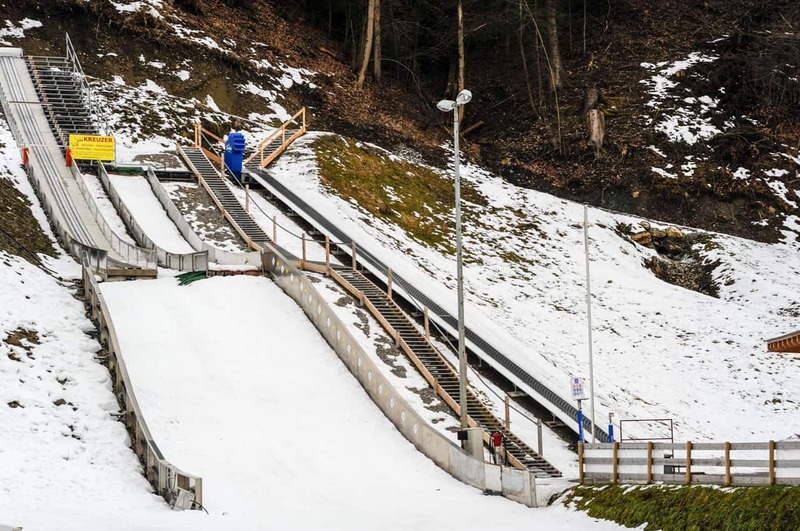 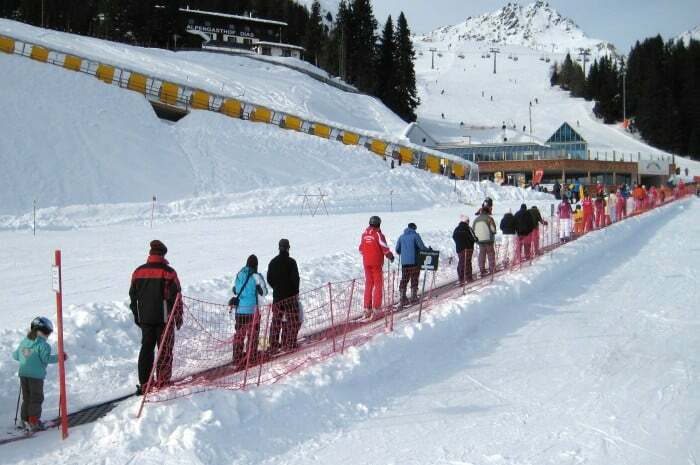 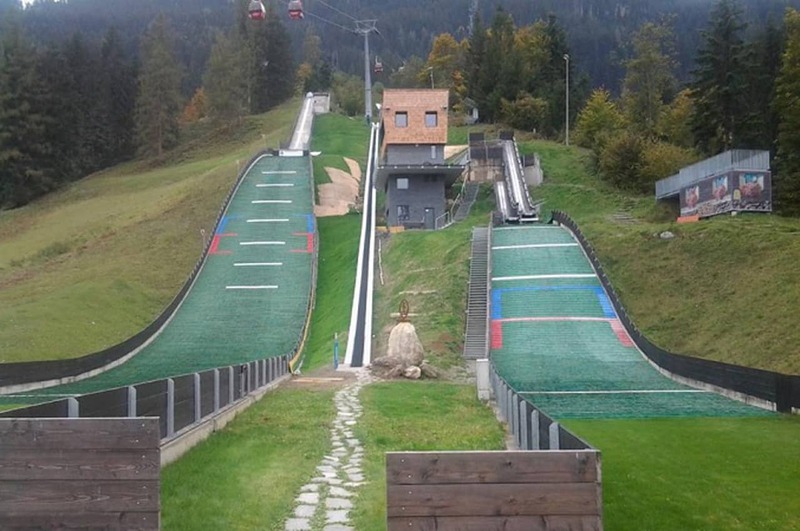 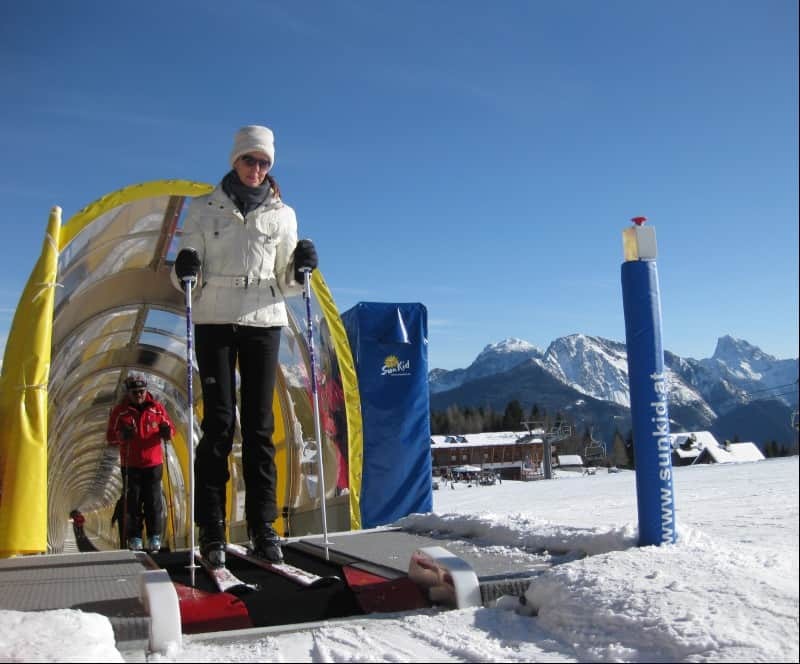 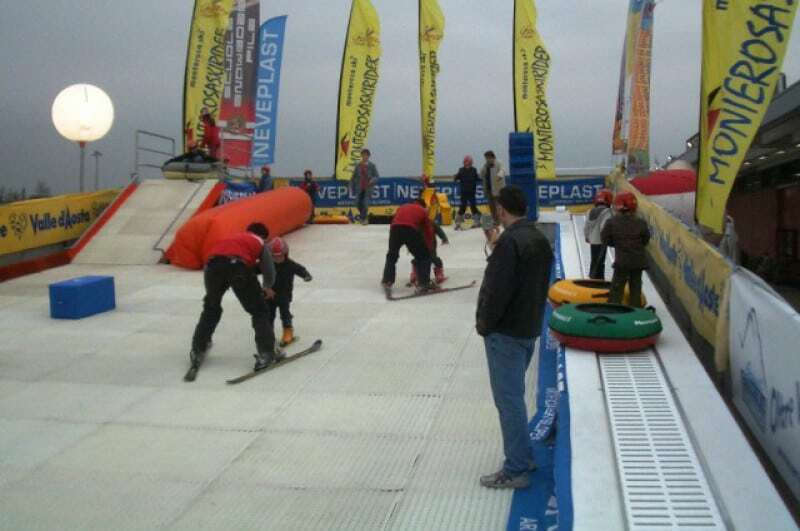 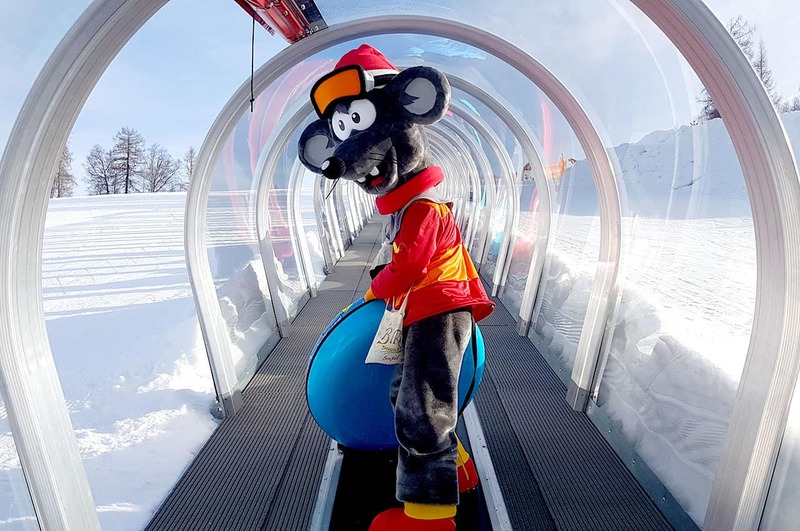 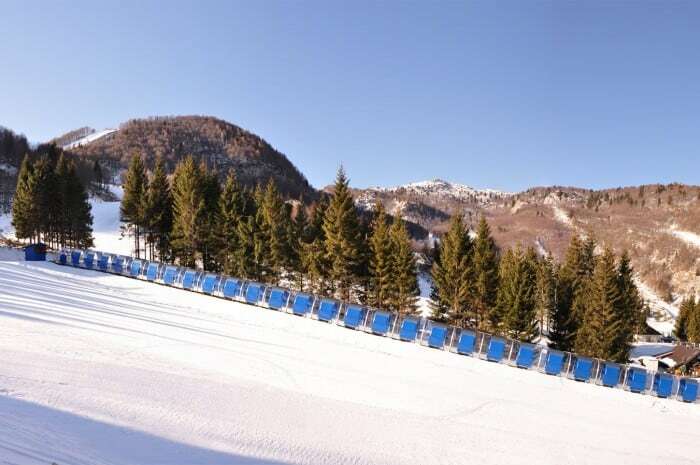 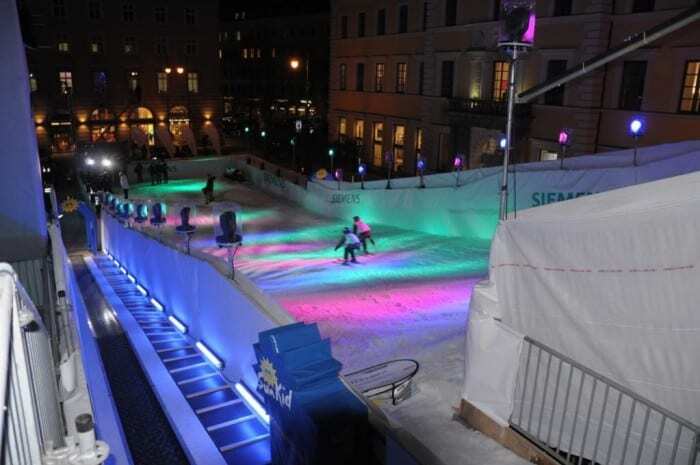 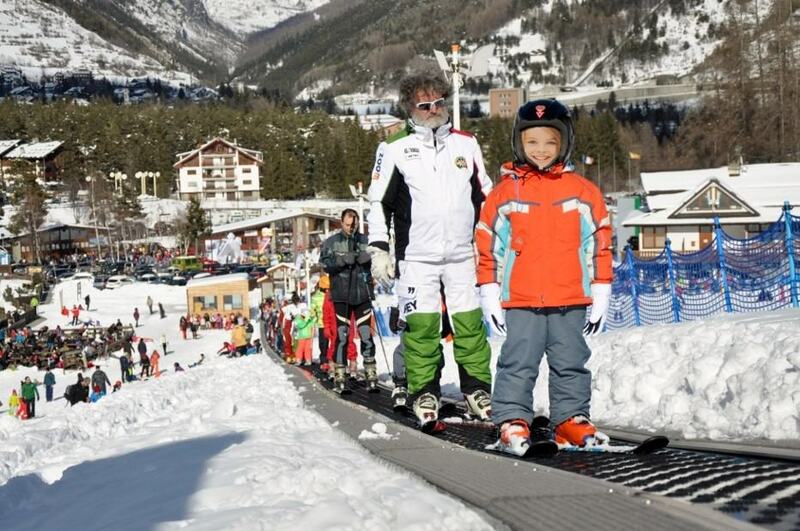 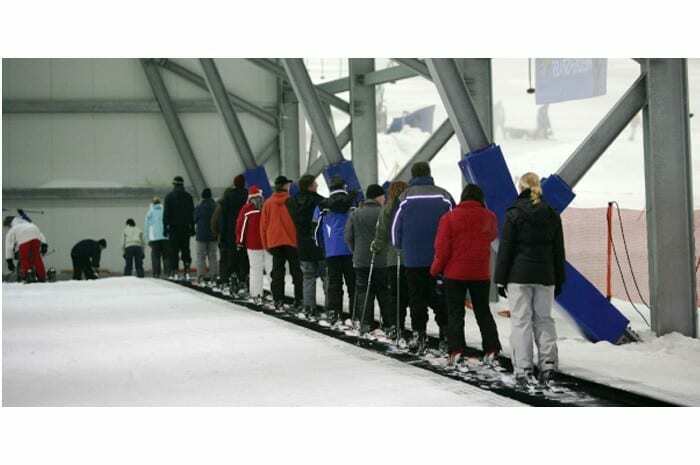 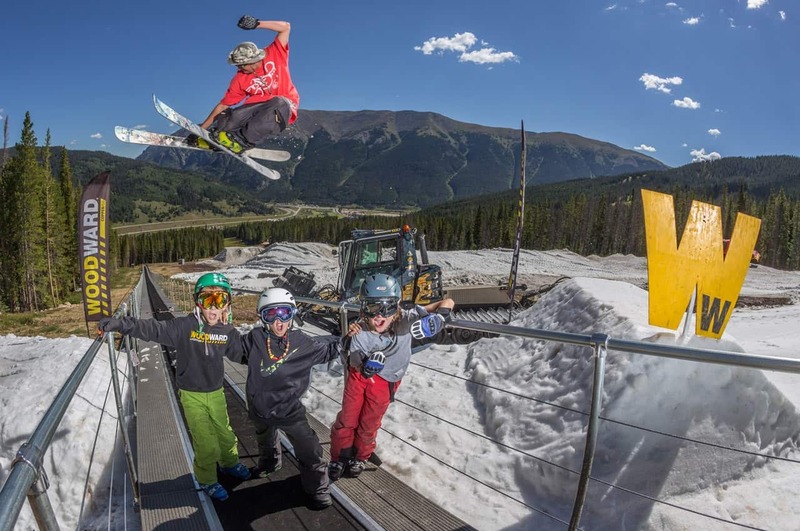 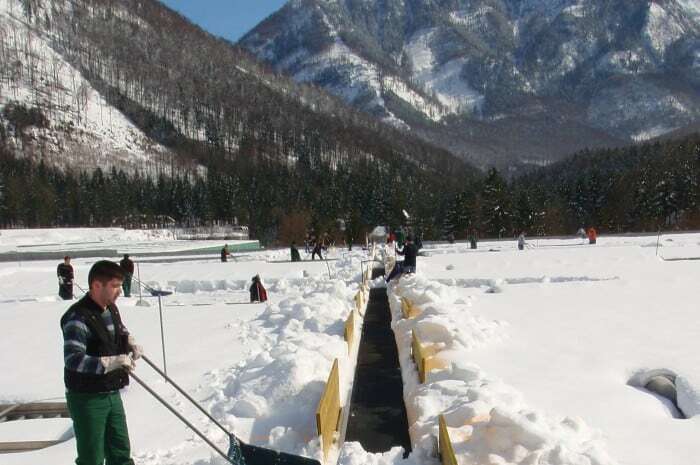 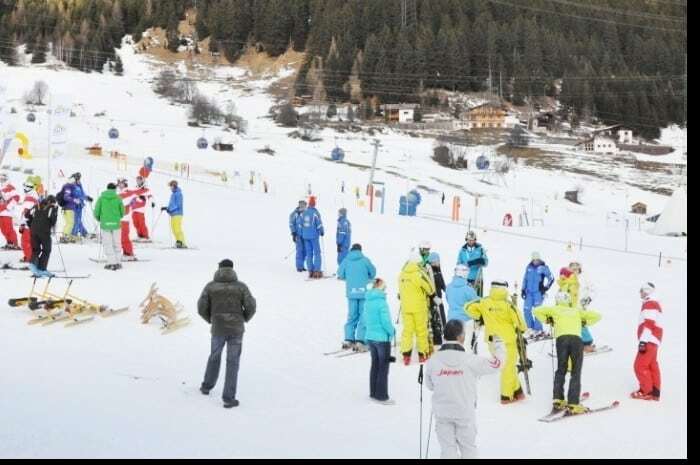 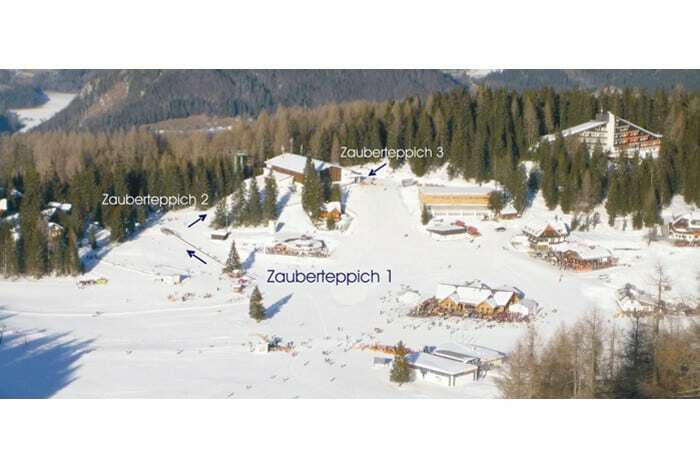 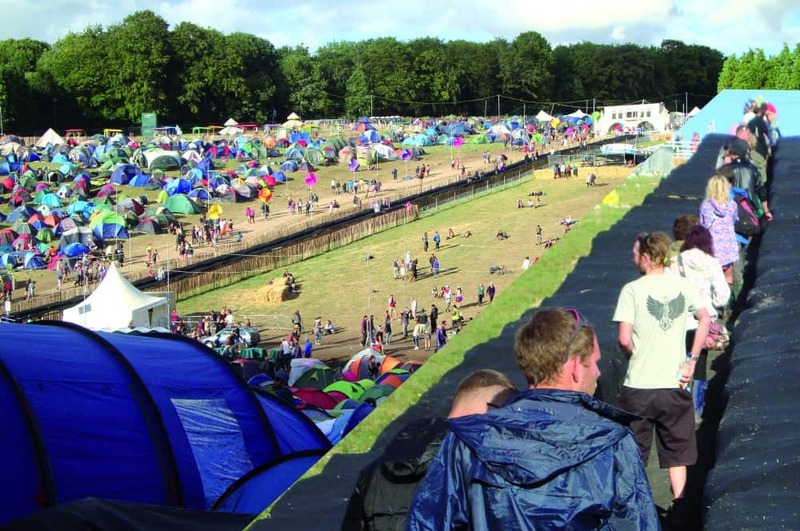 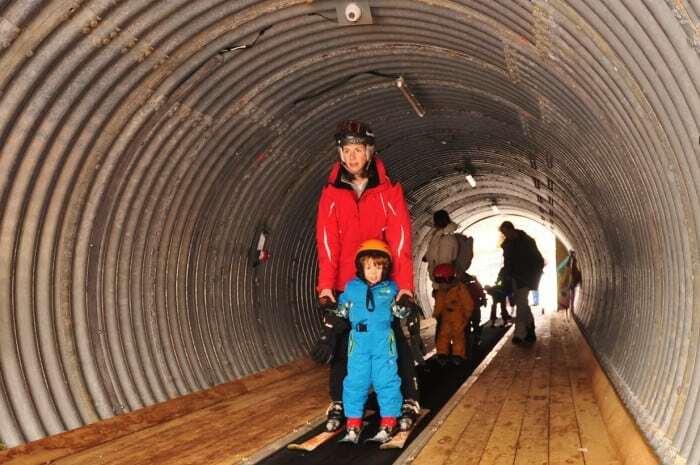 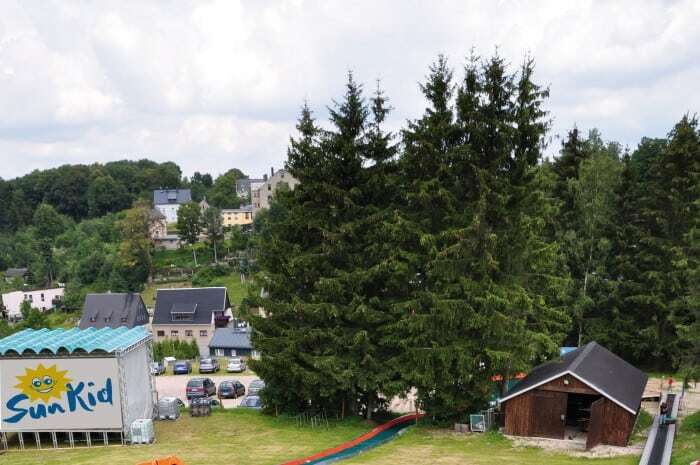 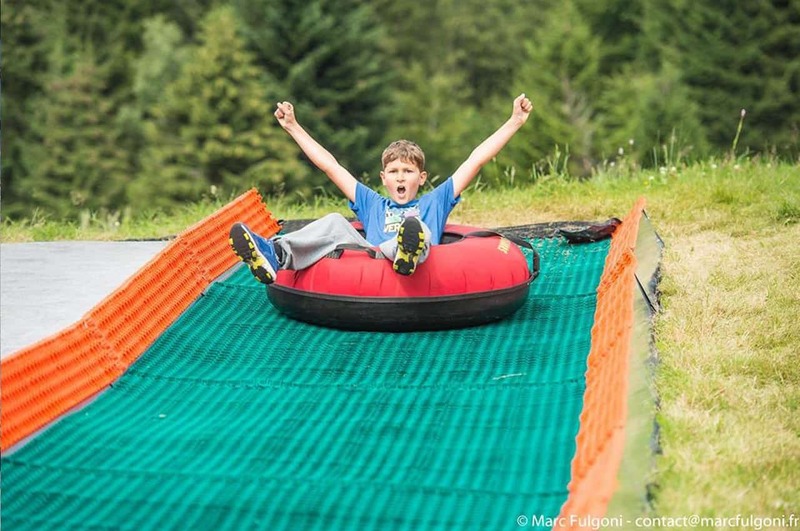 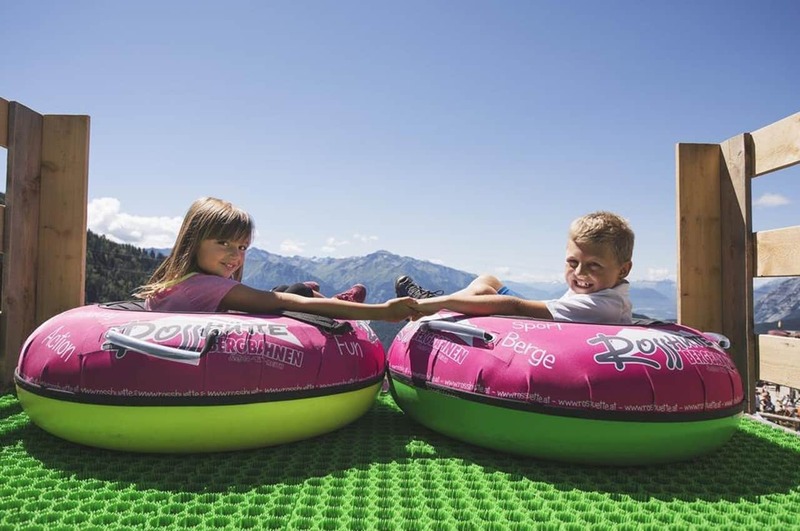 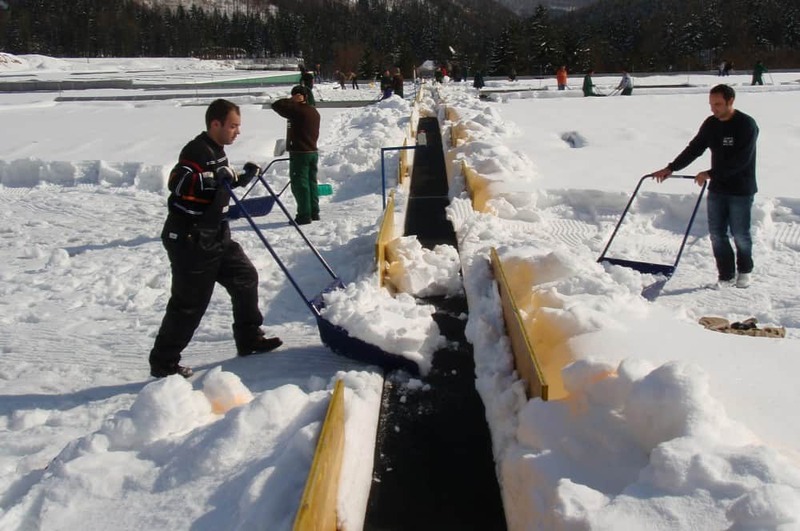 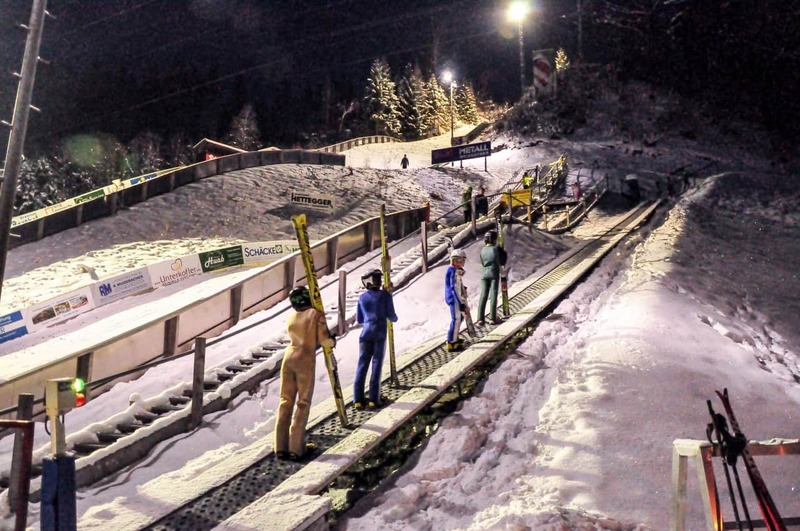 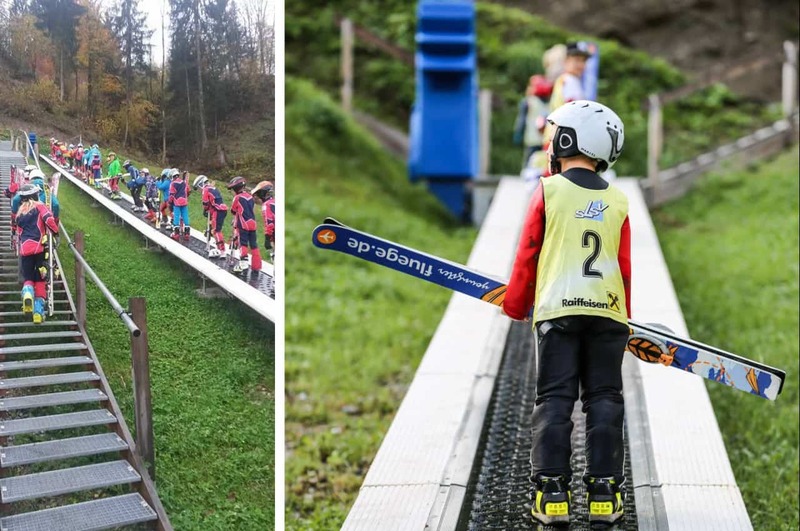 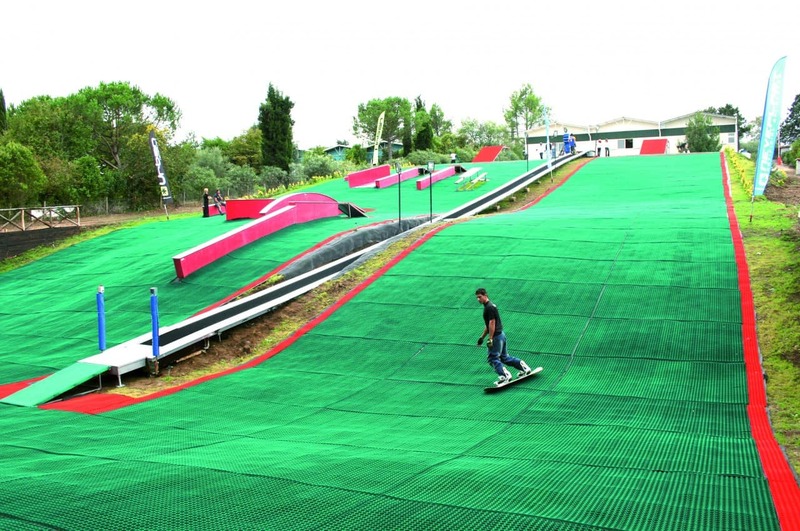 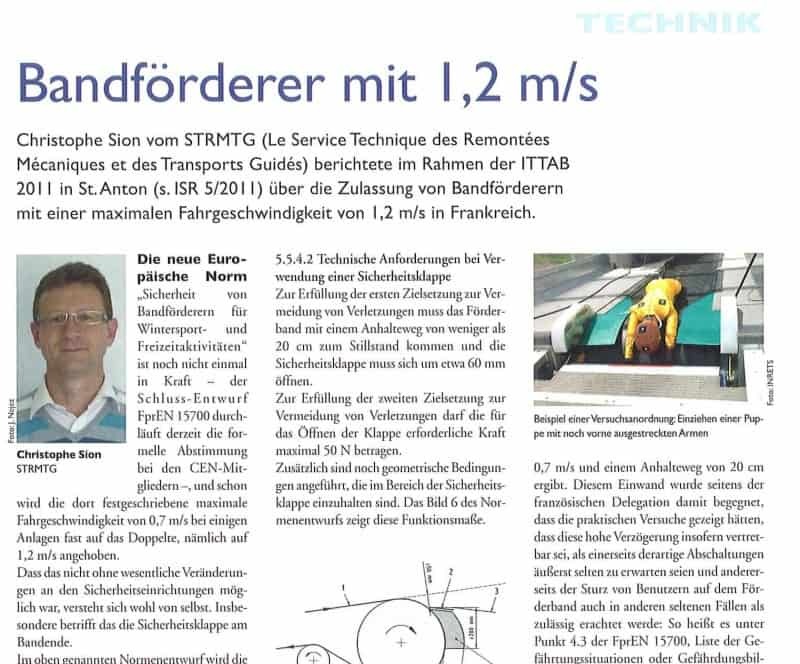 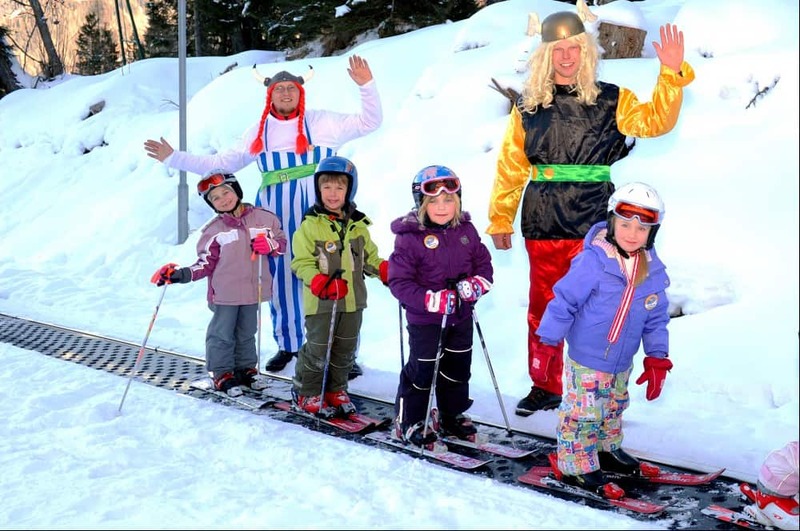 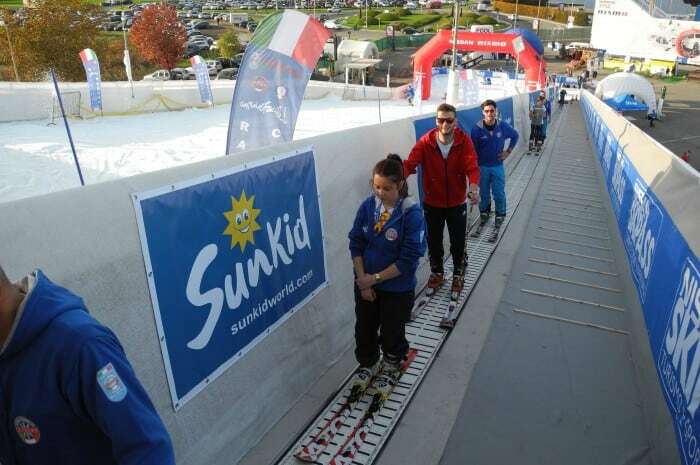 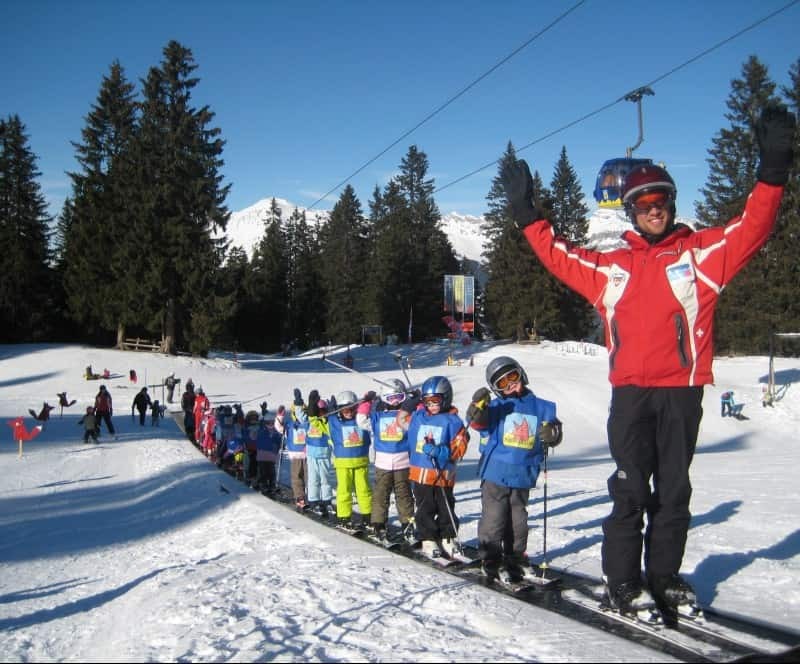 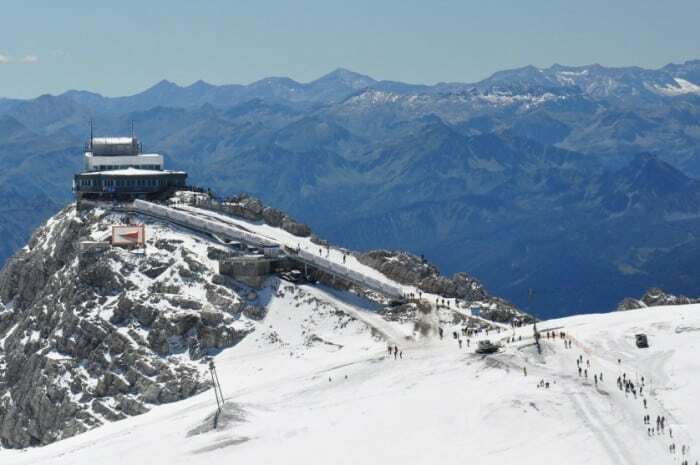 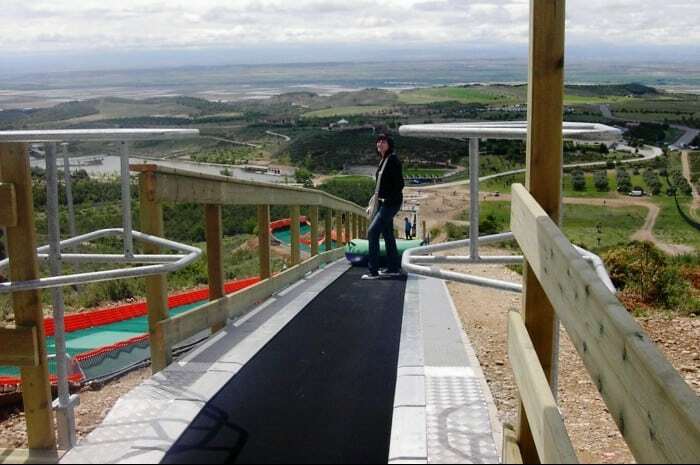 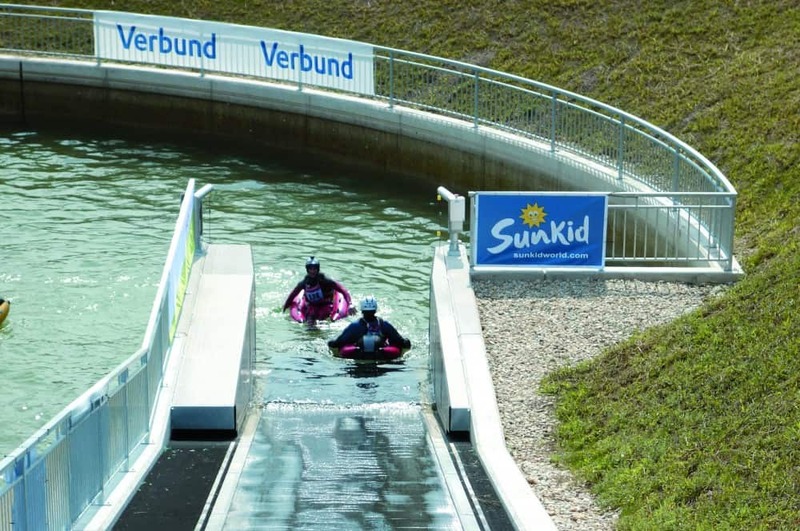 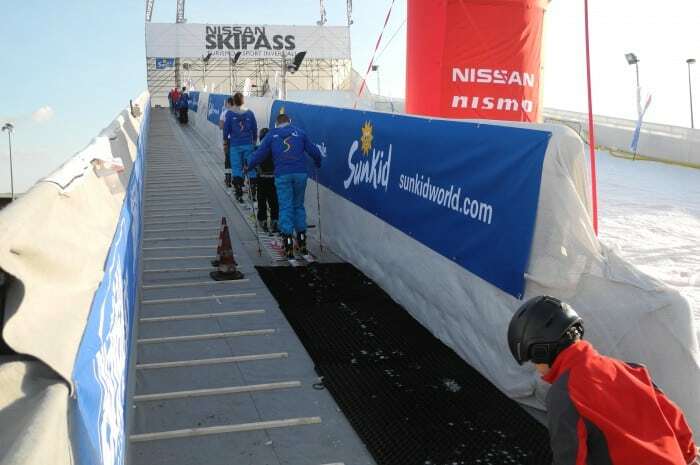 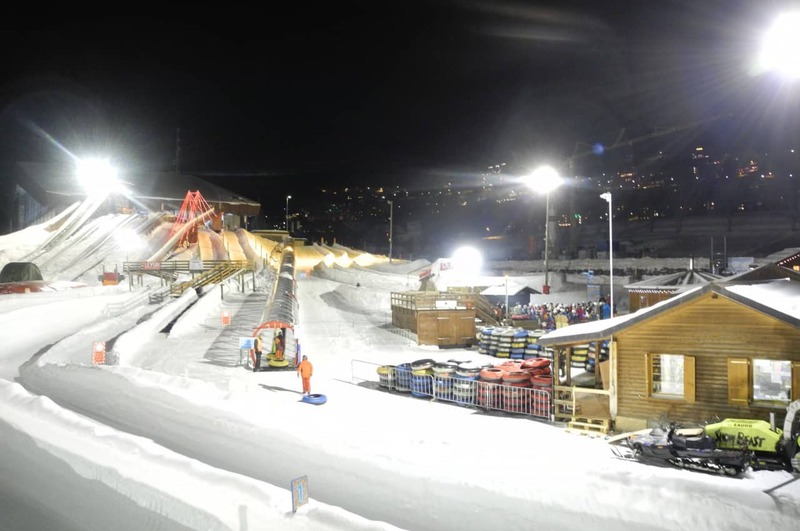 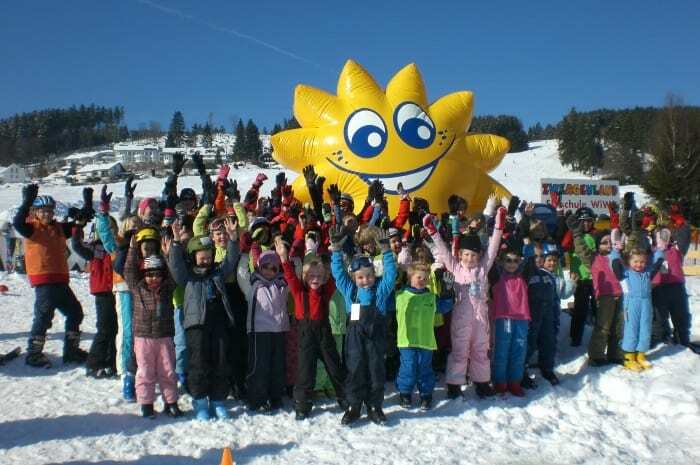 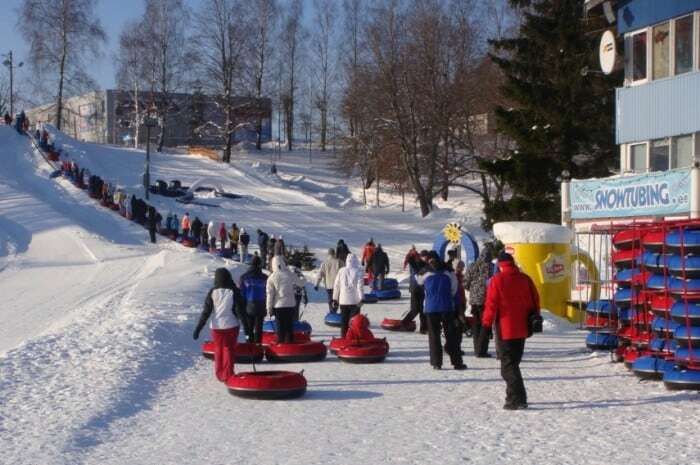 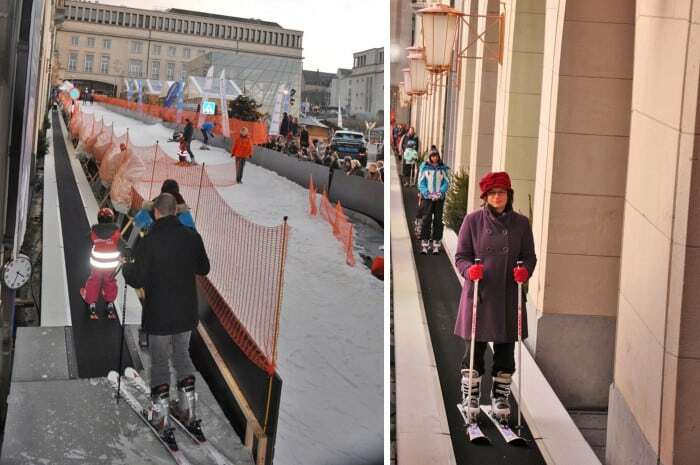 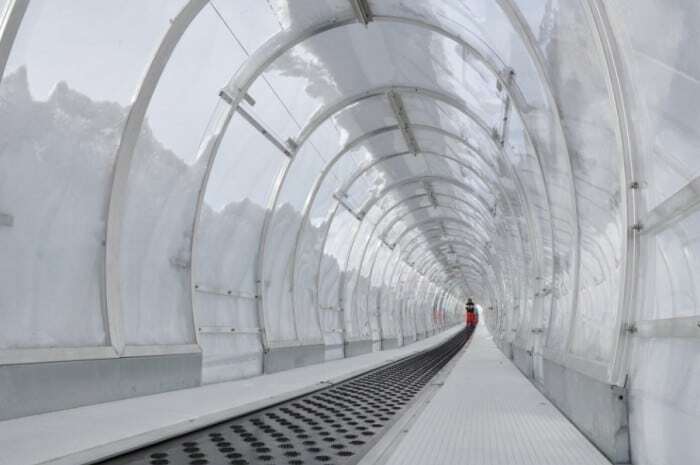 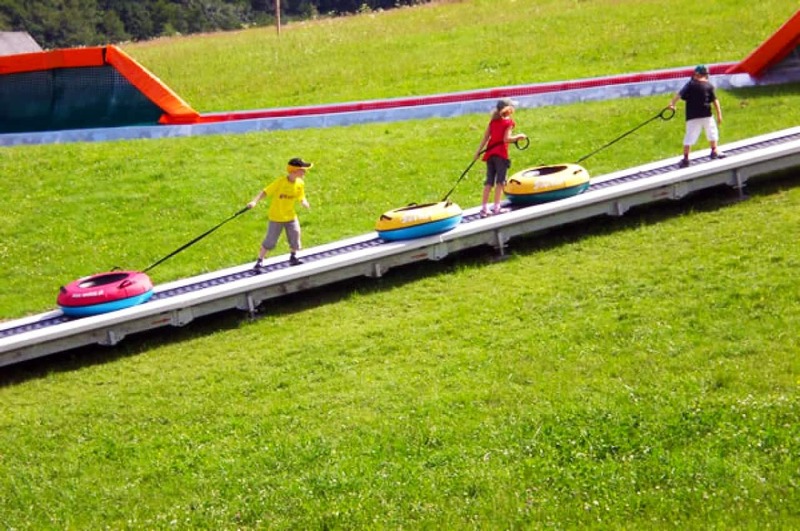 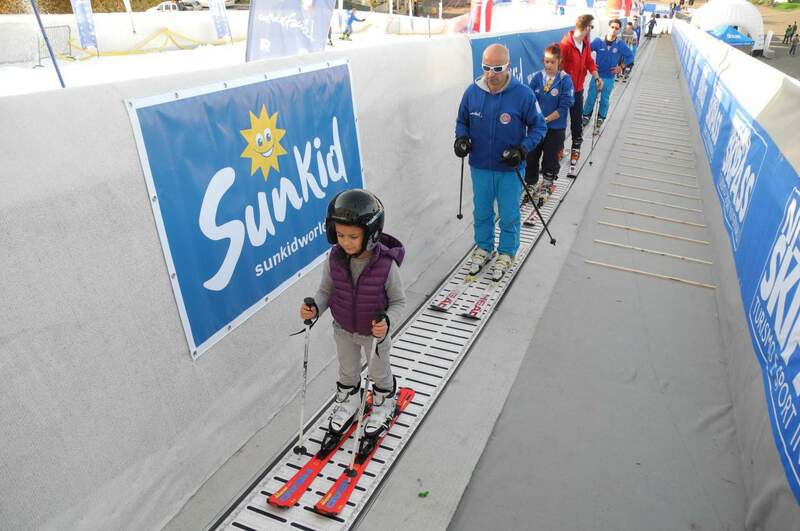 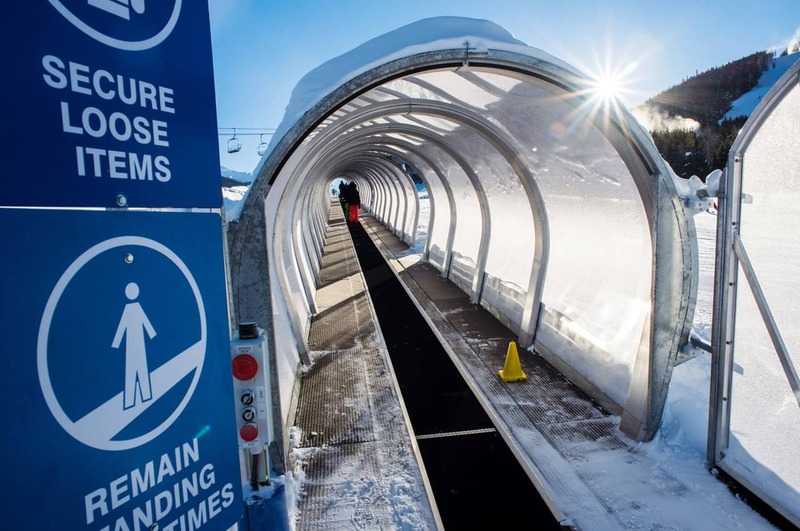 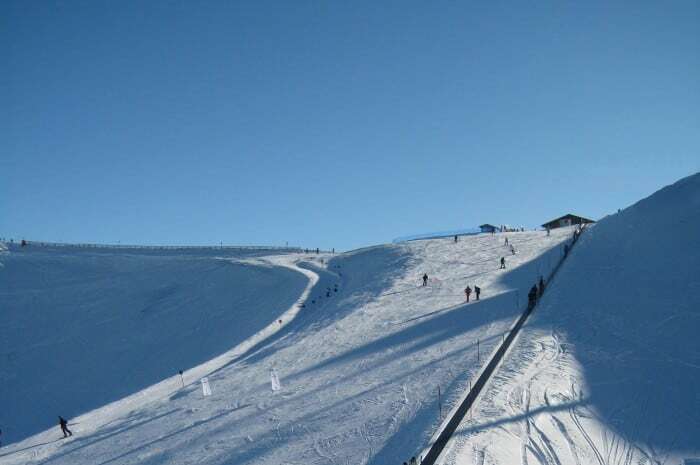 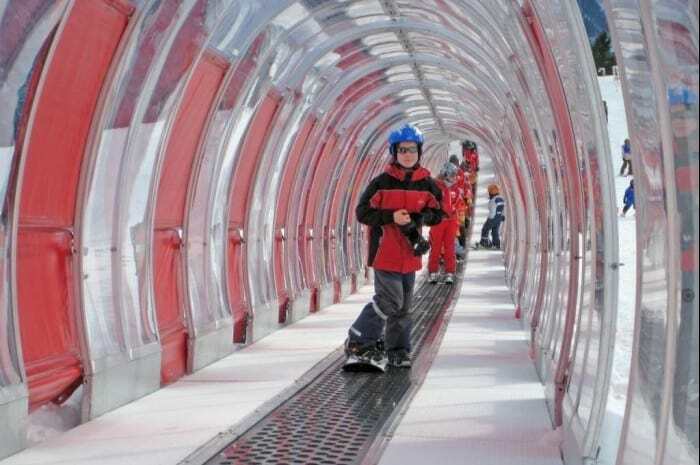 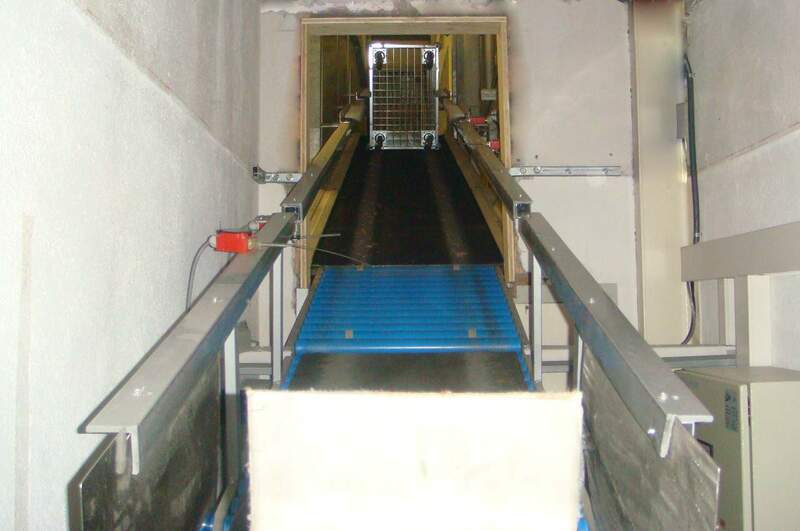 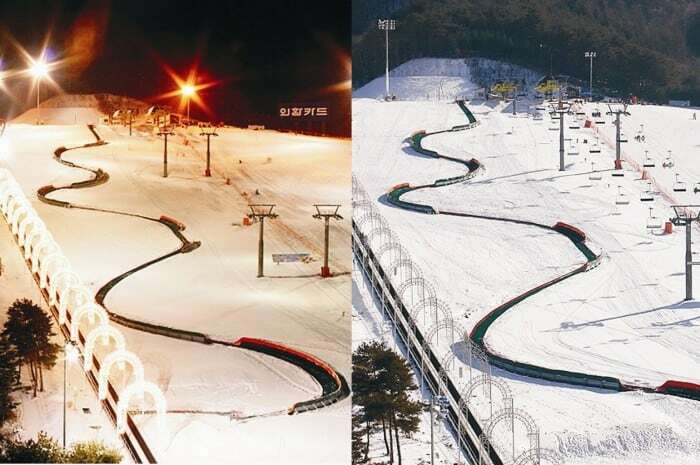 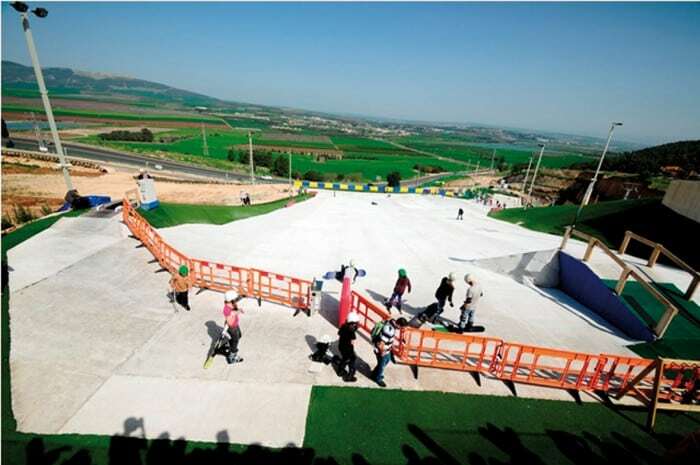 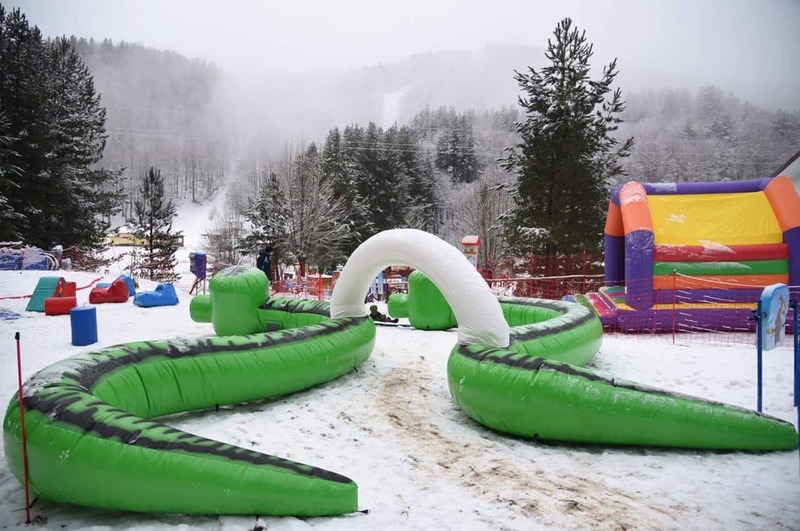 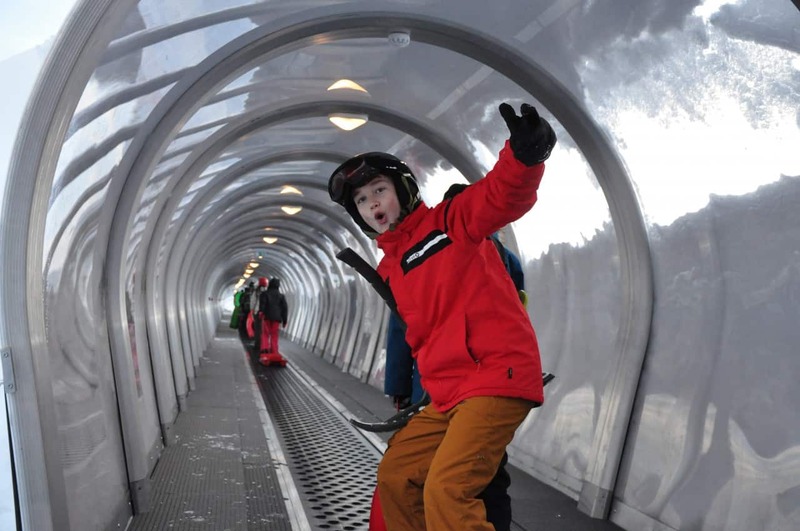 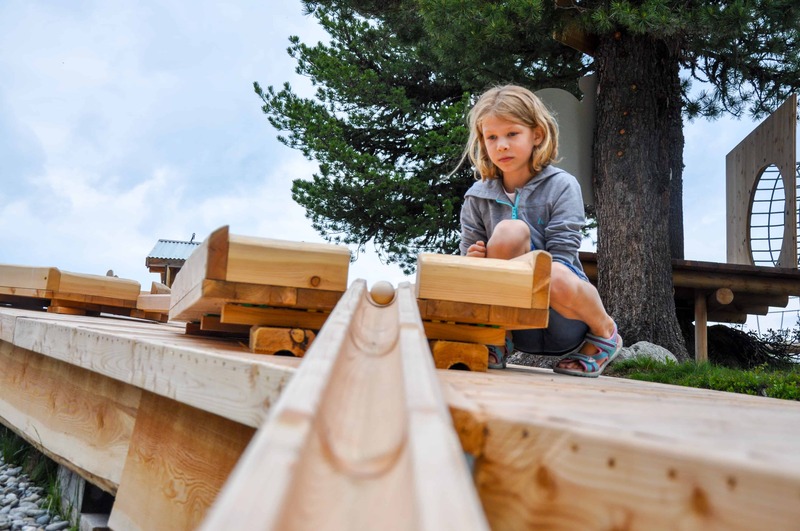 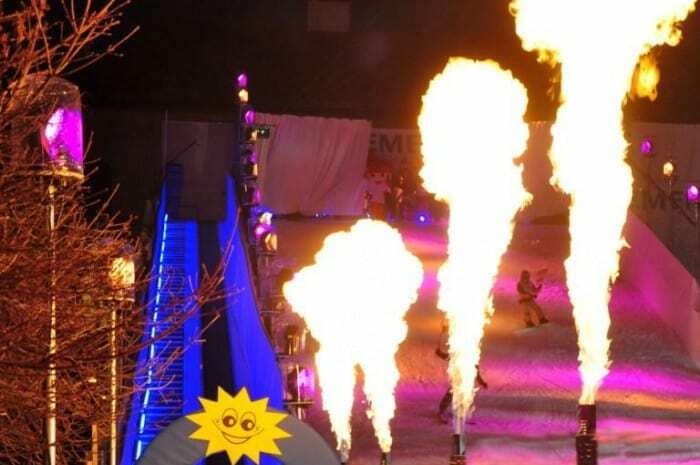 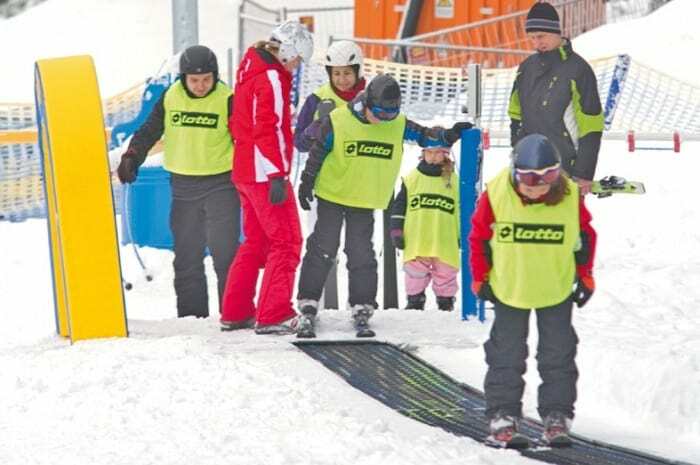 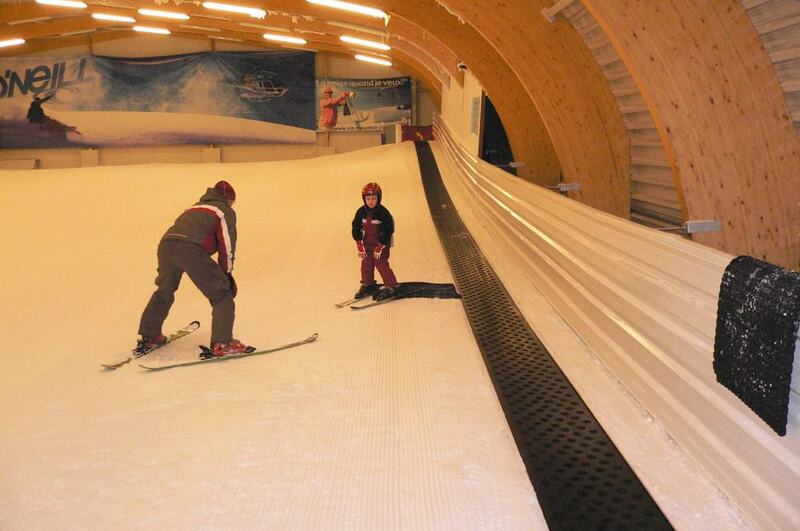 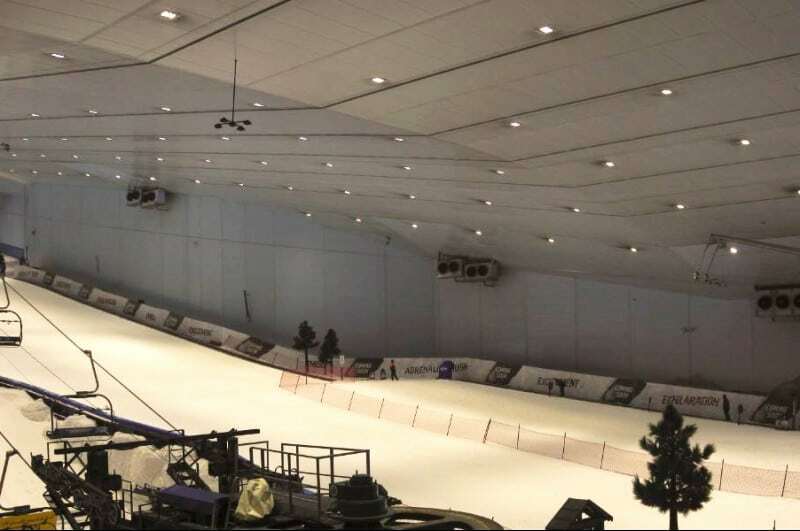 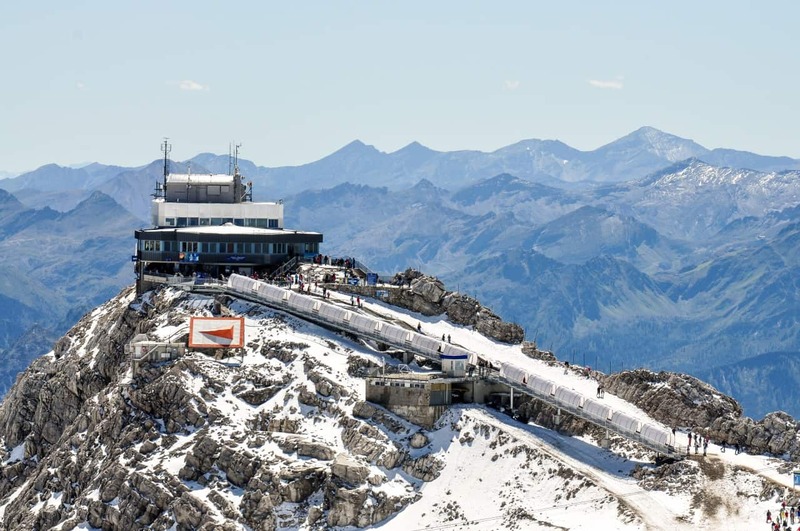 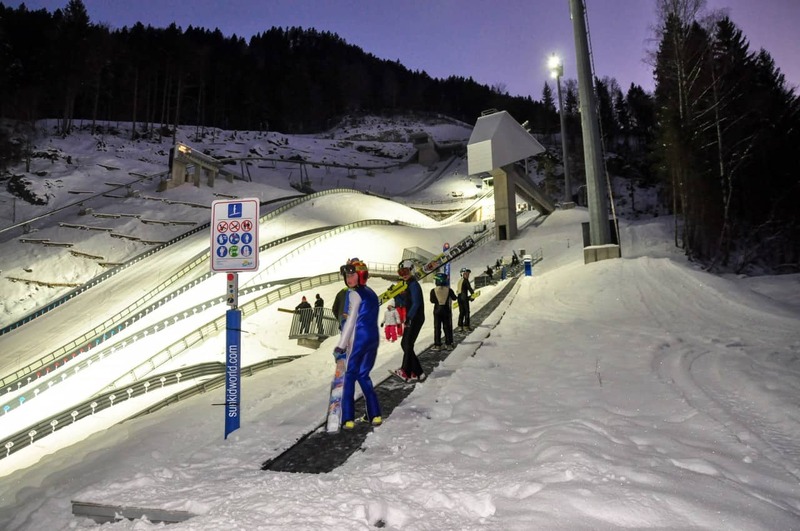 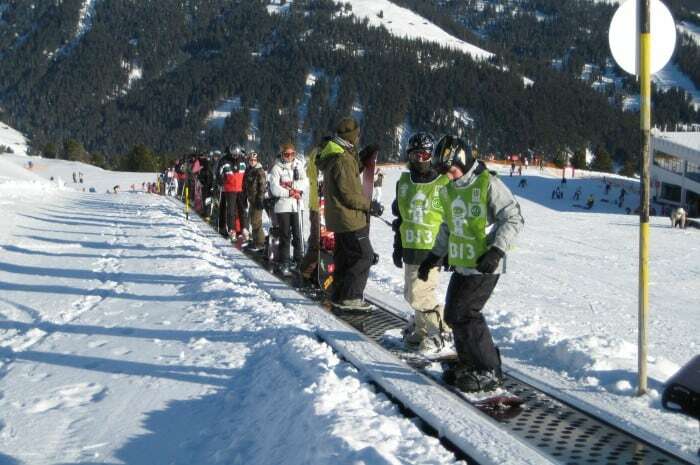 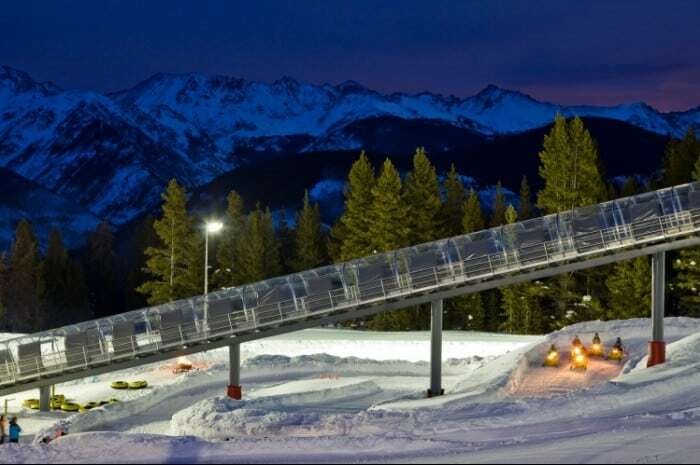 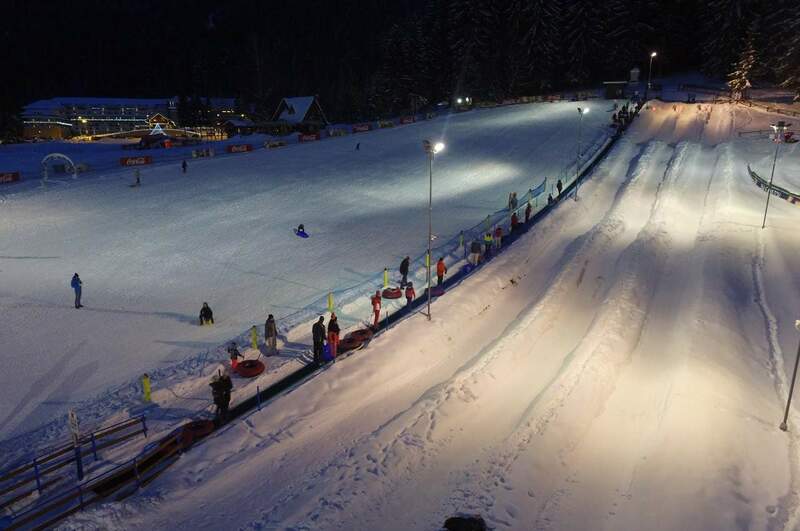 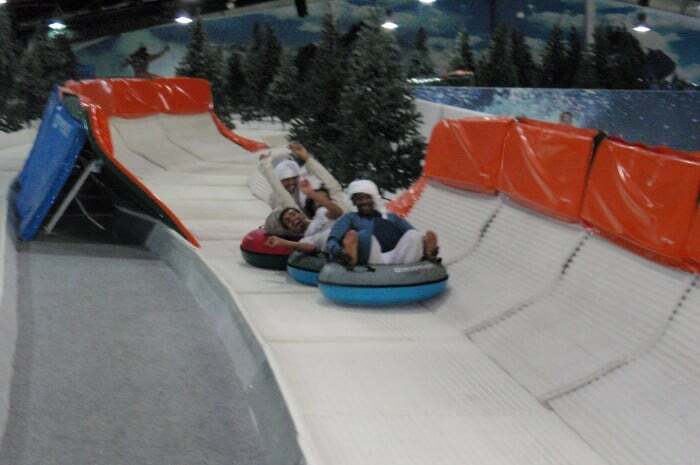 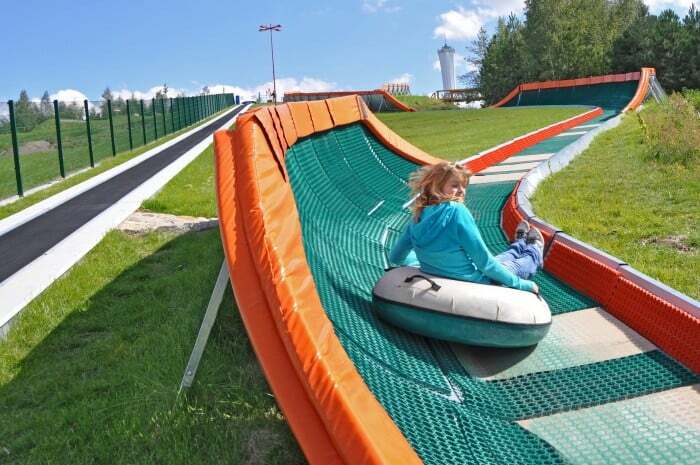 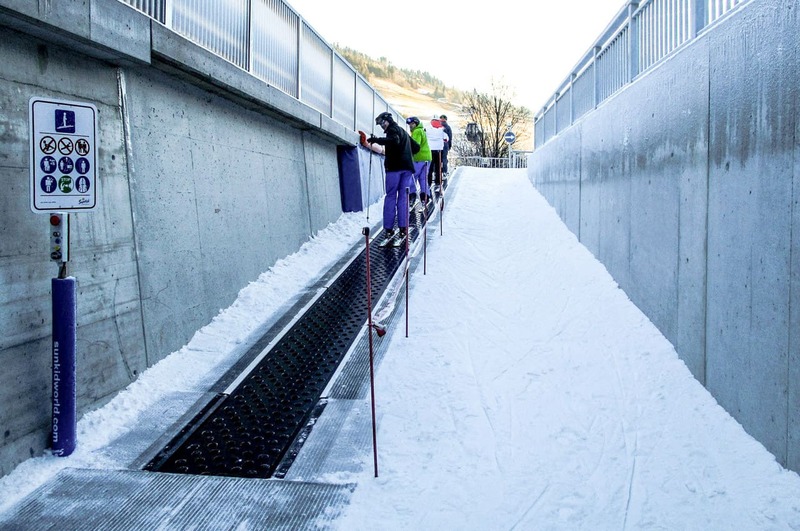 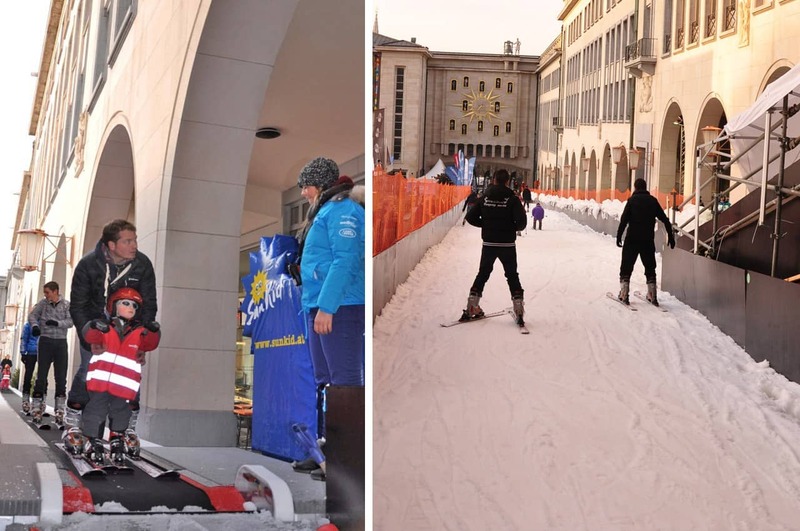 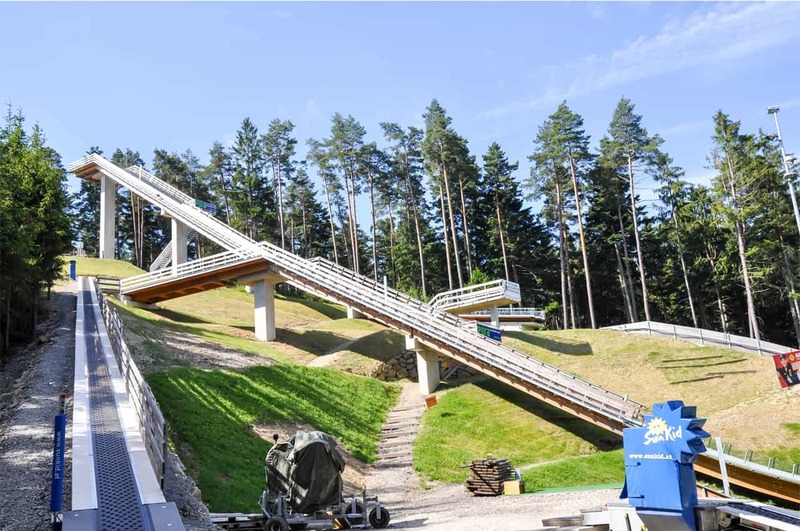 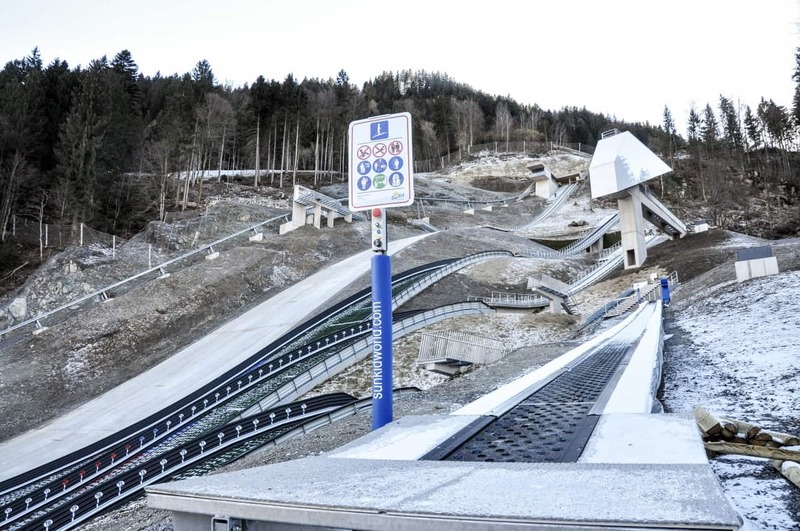 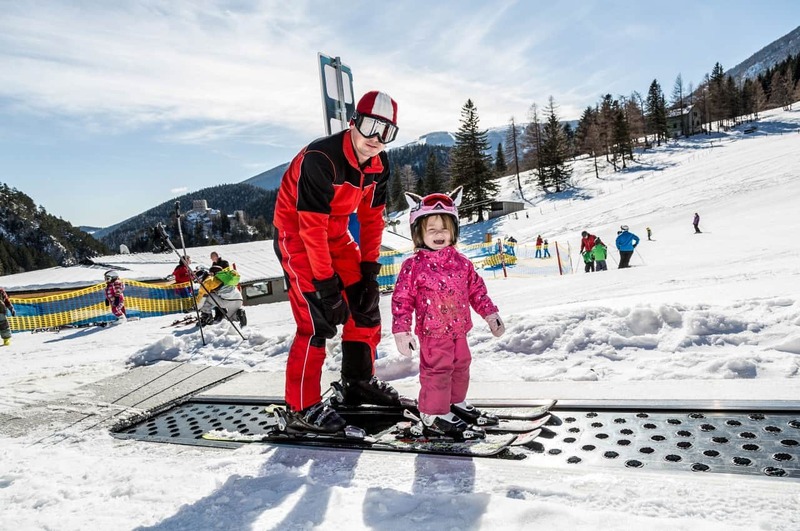 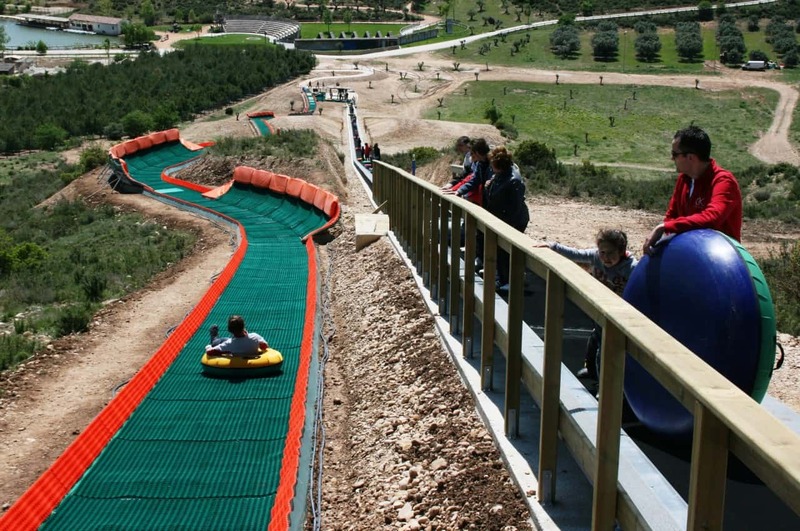 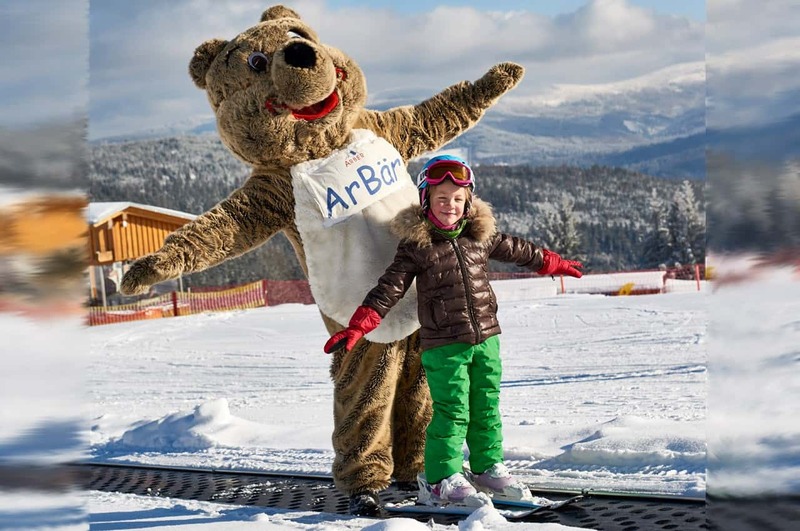 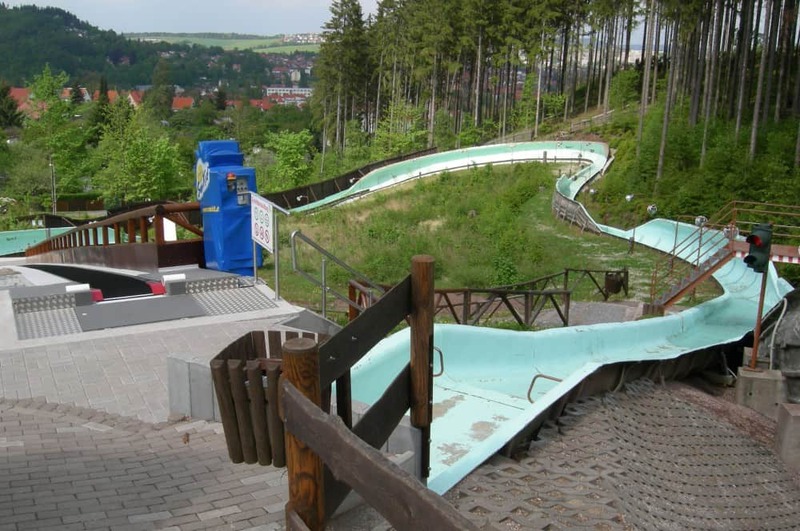 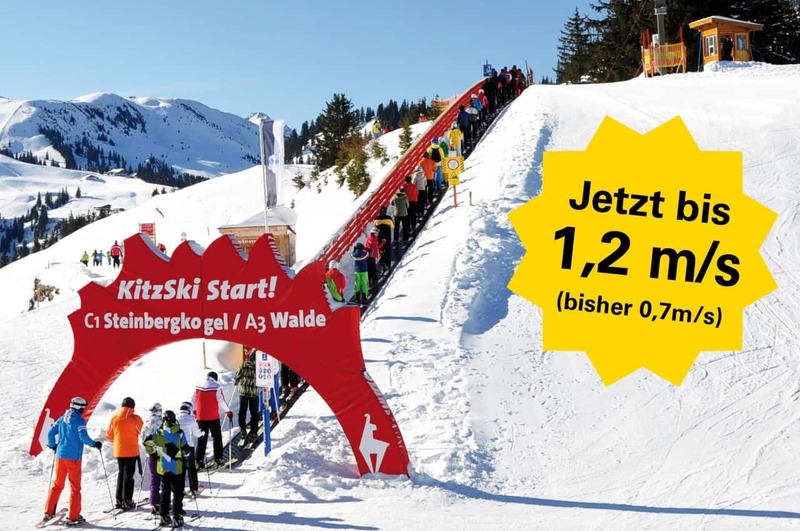 The Sunkid conveyor belt can be used as a climbing aid for ski jumping facilities around the year.